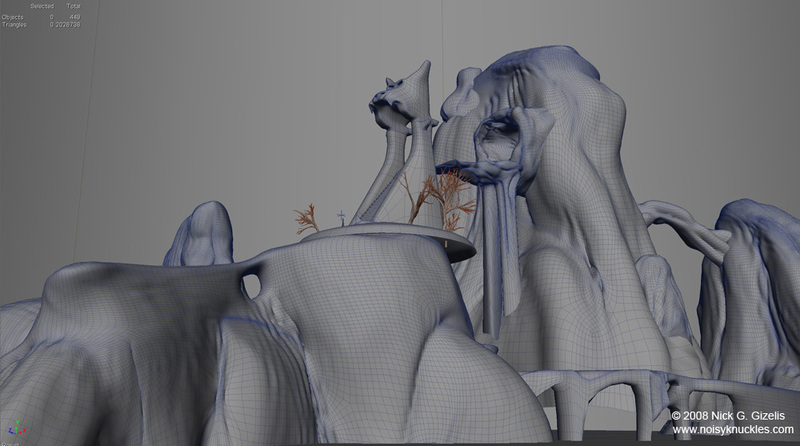 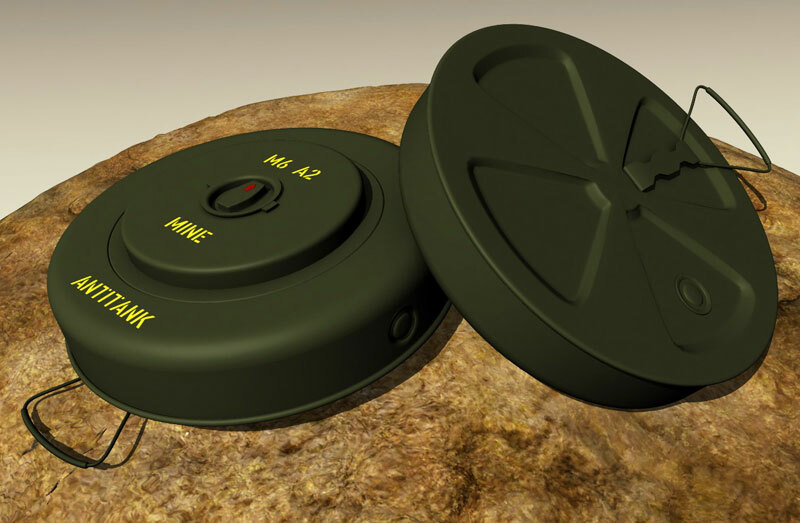 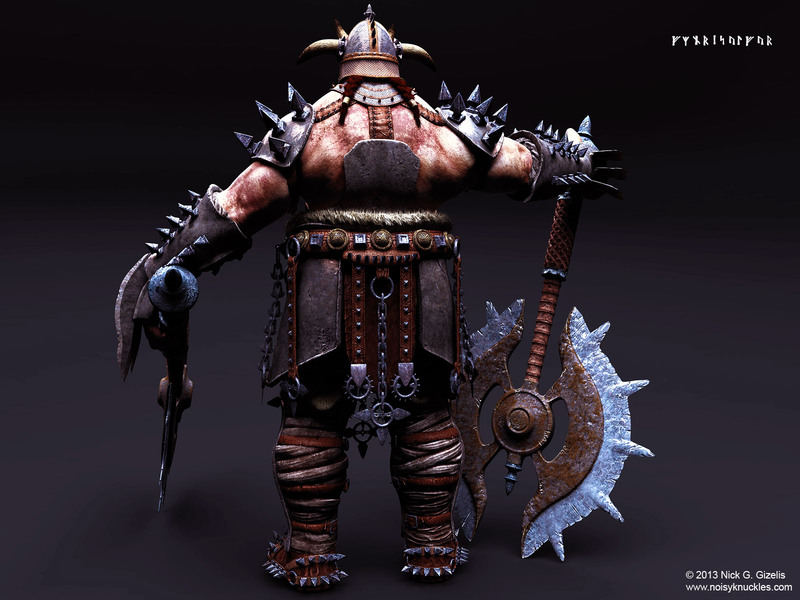 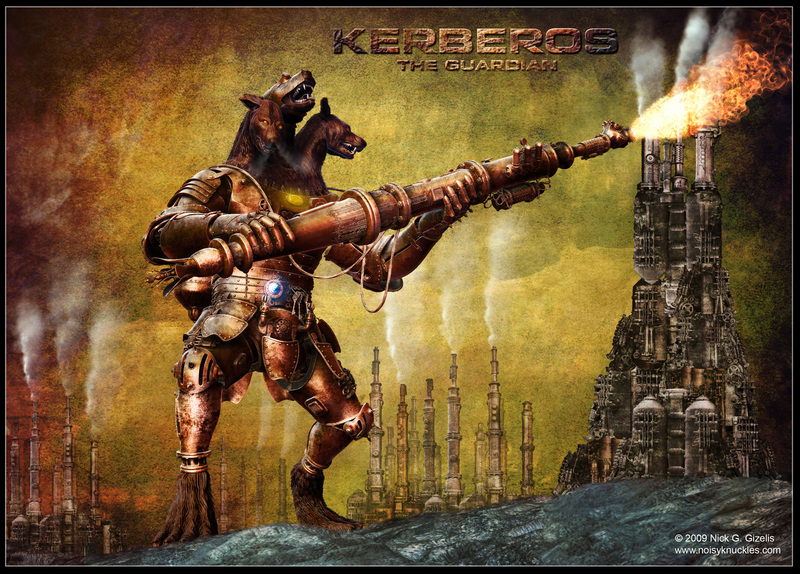 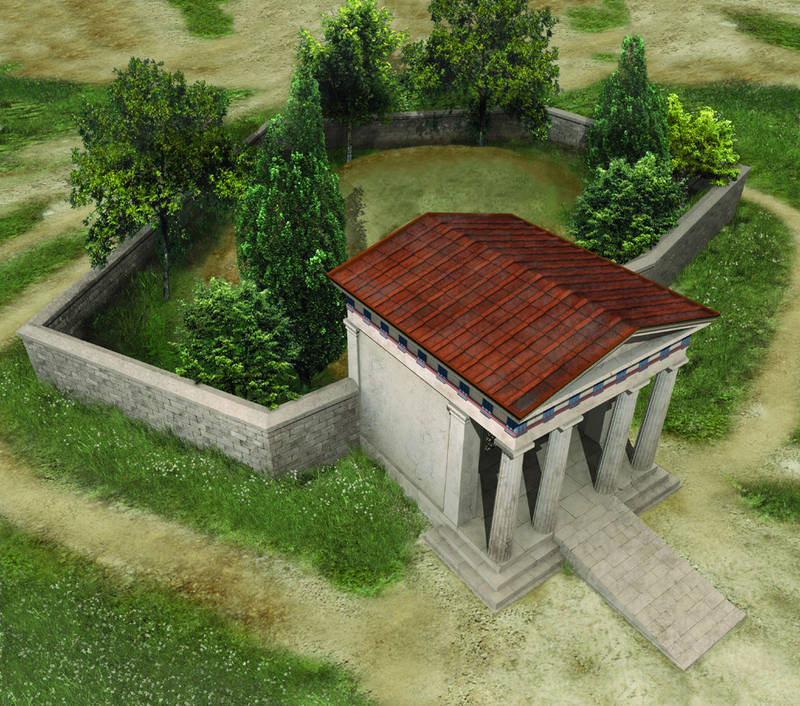 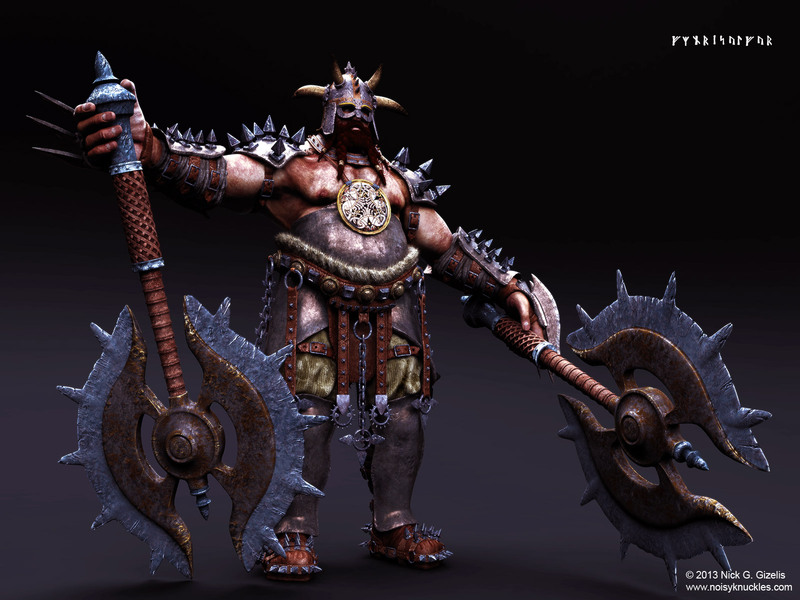 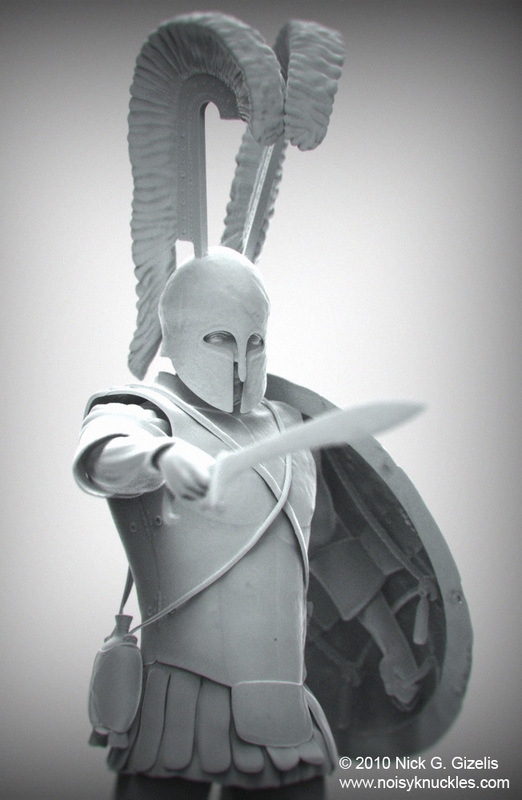 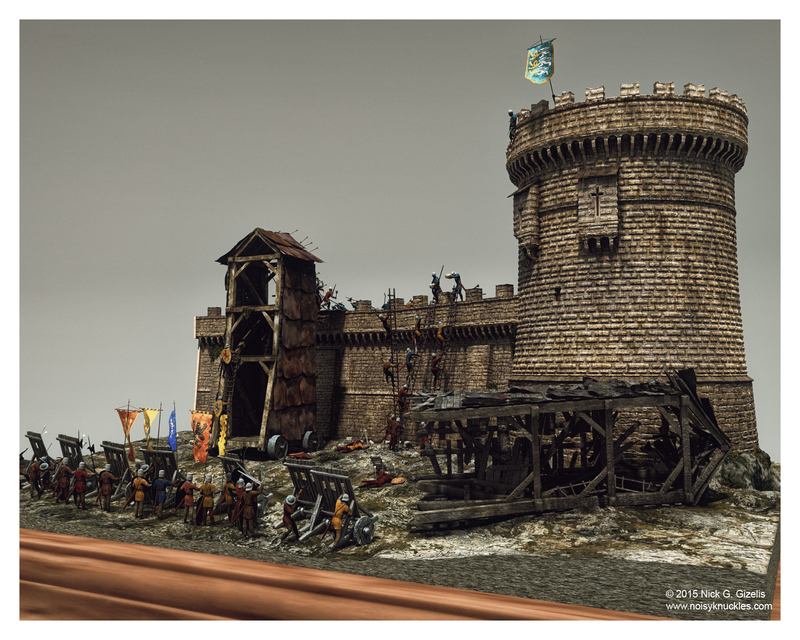 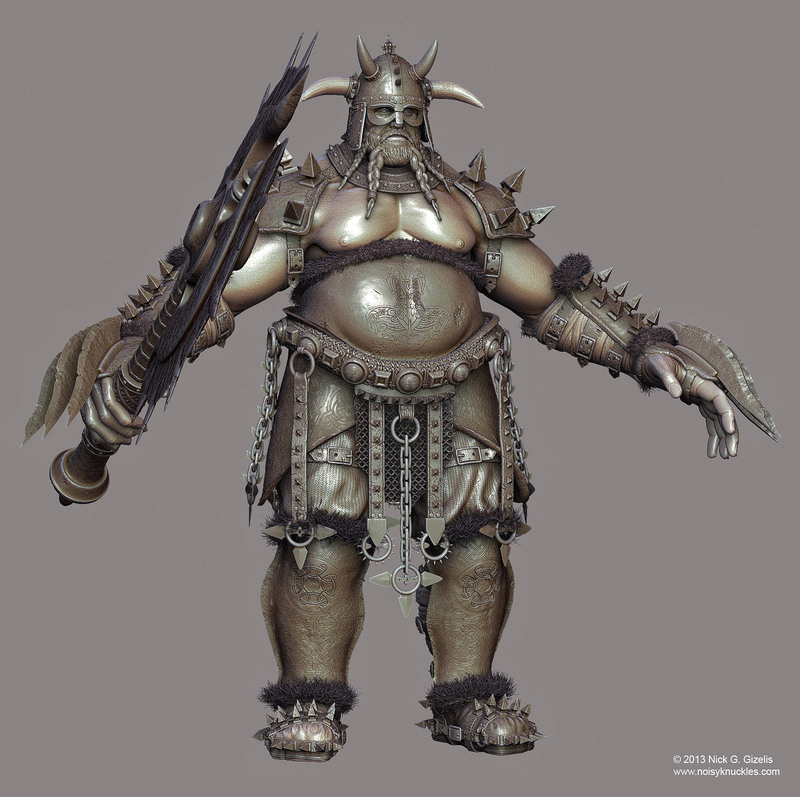 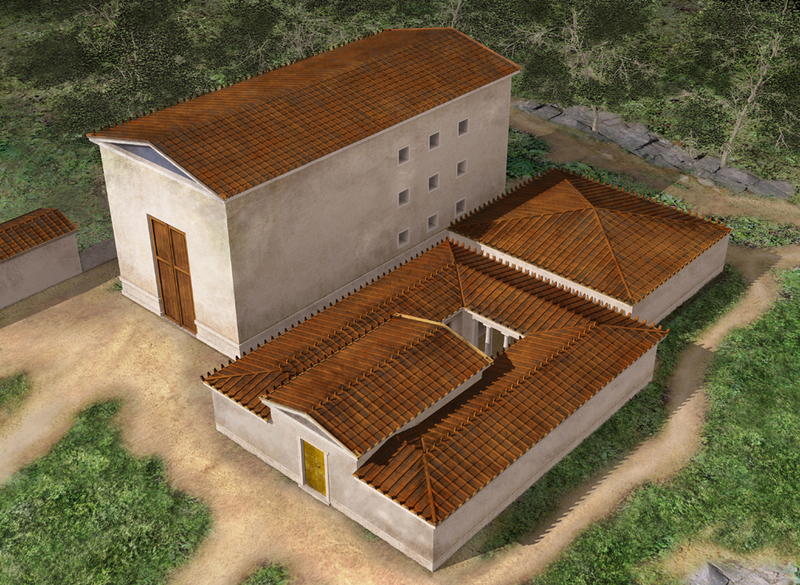 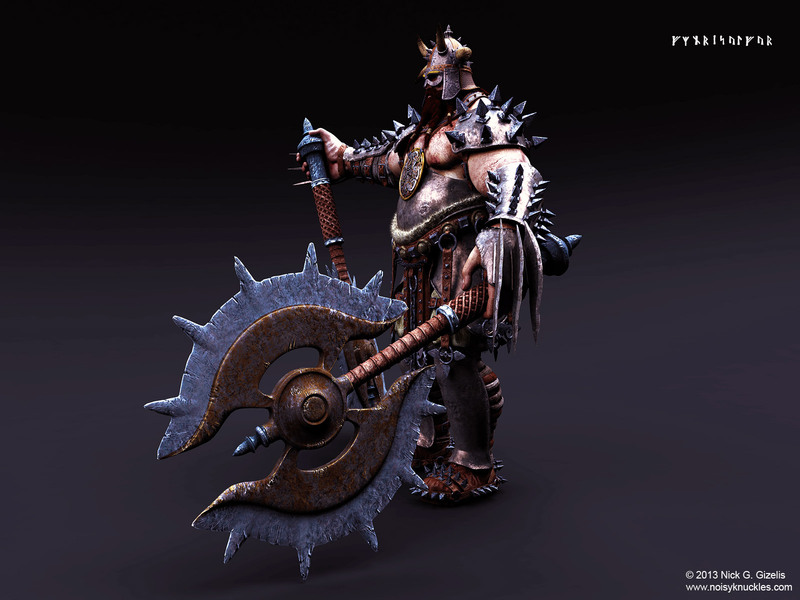 This project originally started as a team work on a 3d animation of a medieval siege. 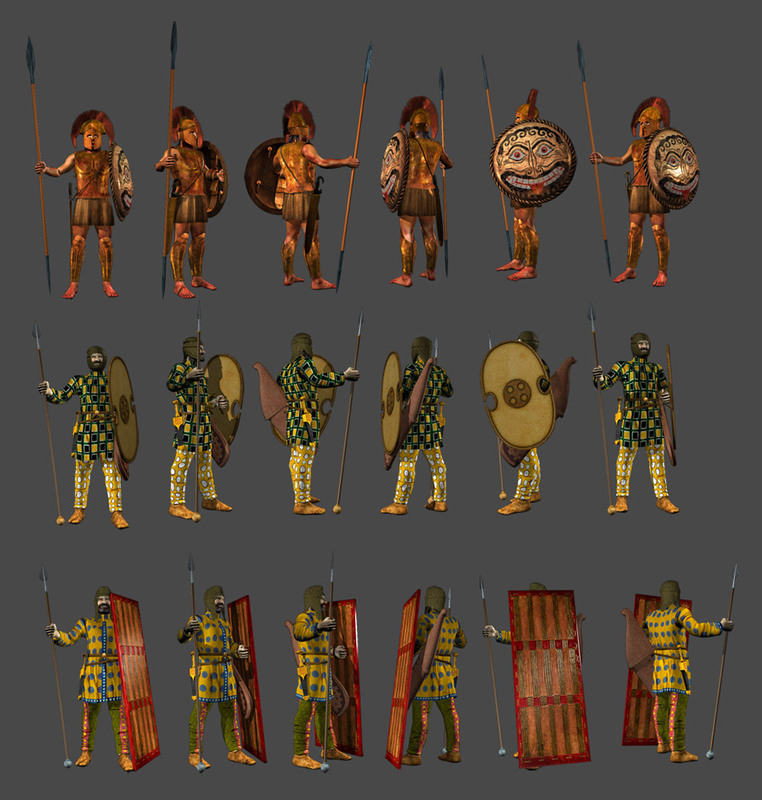 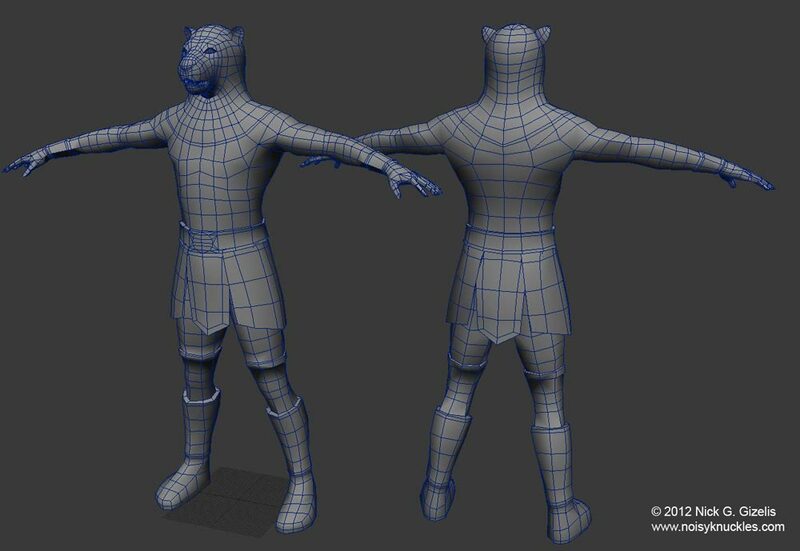 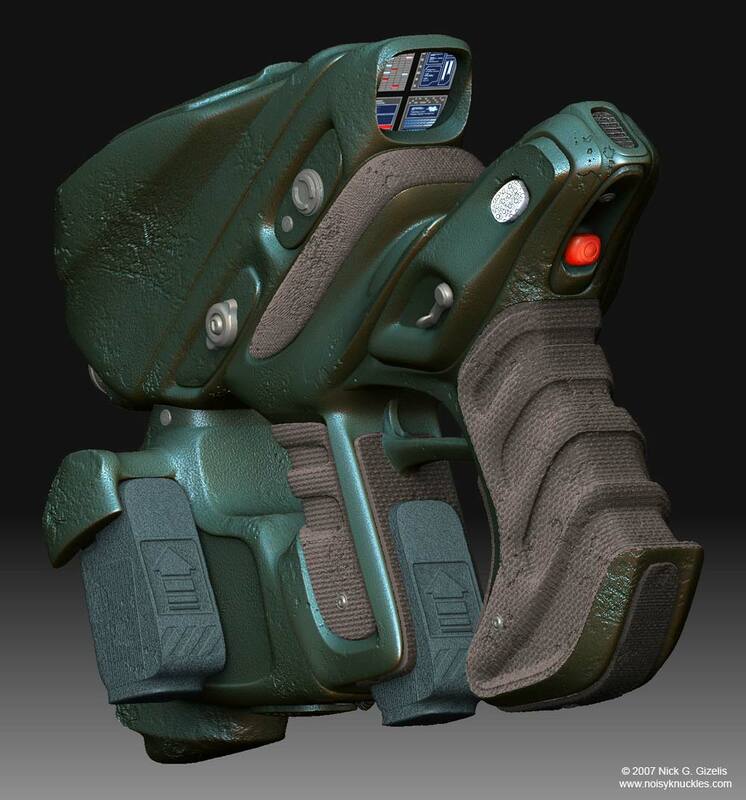 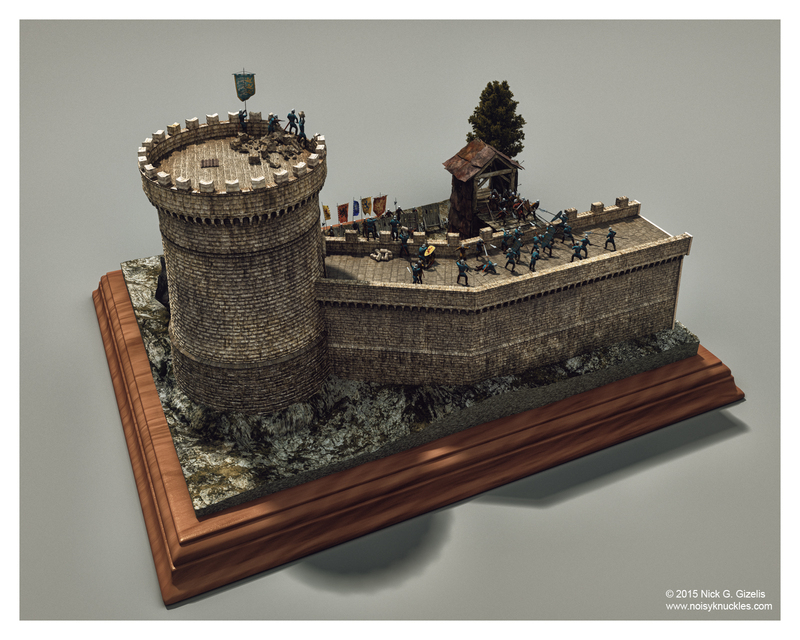 I was responsible for uv mapping, sculpting and texturing of the castle parts, modeling, uv mapping and texturing of the characters and their props, and also modeling, uv mapping and texturing of the several props like siege towers and infantry protection plates. 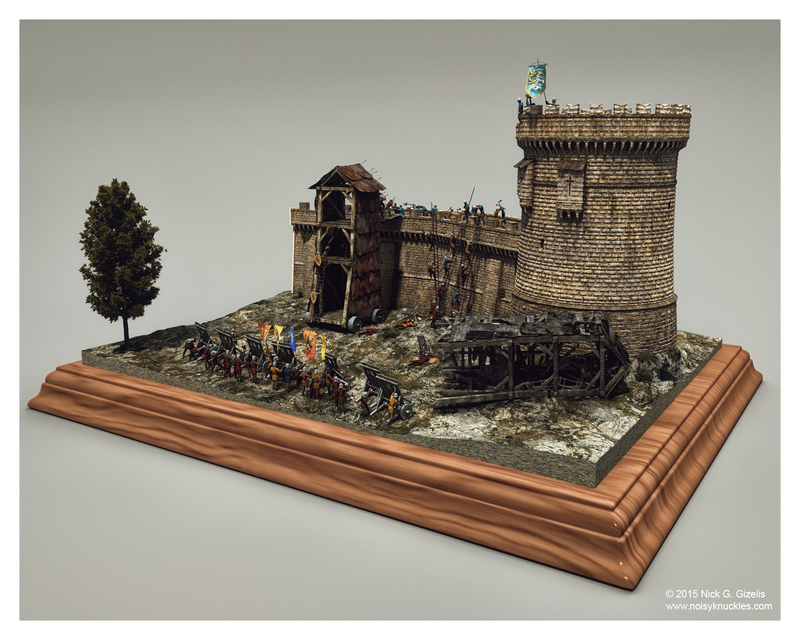 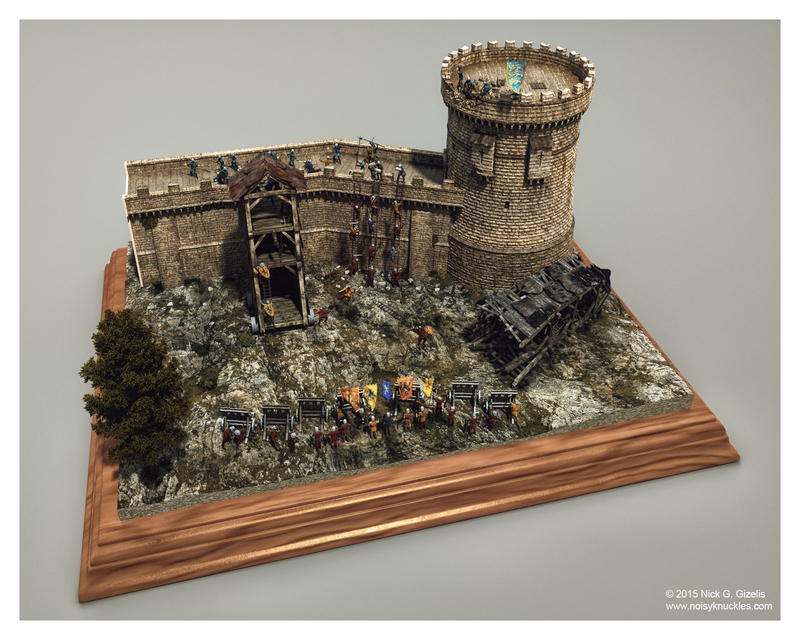 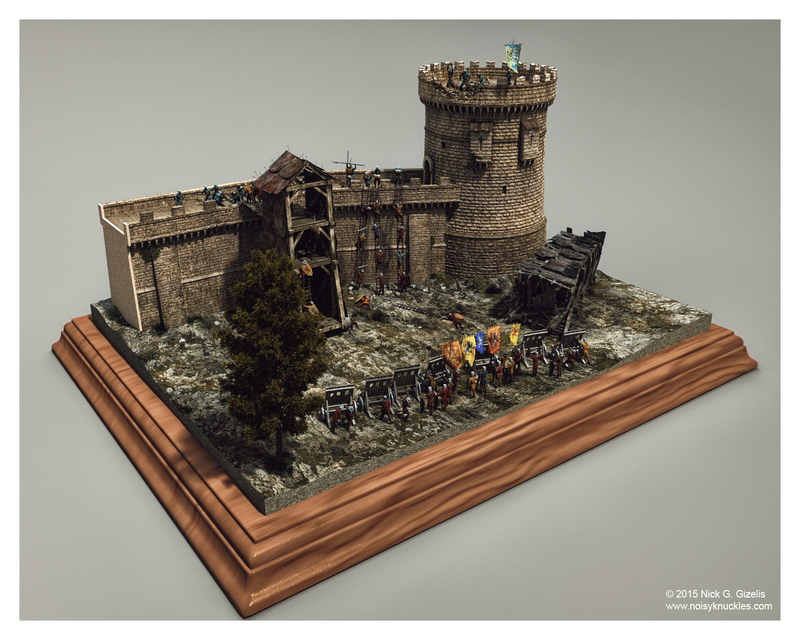 Eventually, that project was canceled, so I decided to use a few of the assets I had built to make a small diorama of a siege. 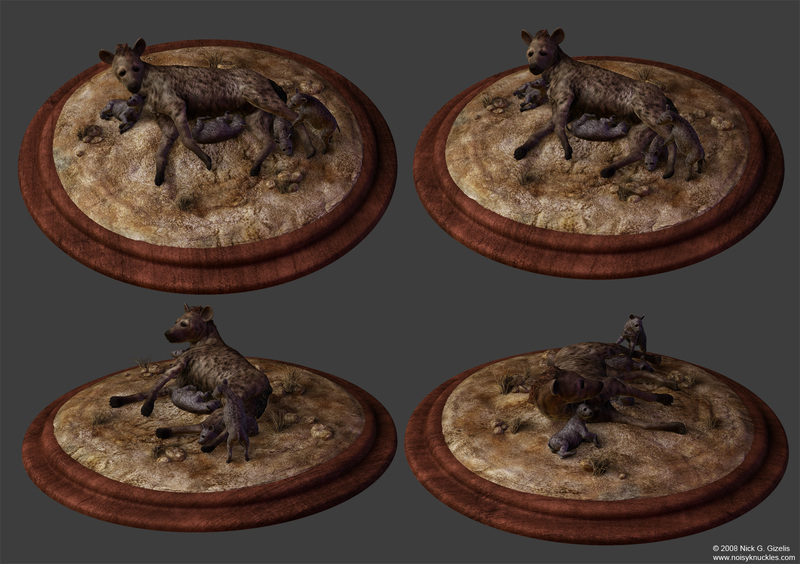 You can see some renders of the 3d diorama and also a few screenshots of make-of material from the diorama and the initial assets I built. 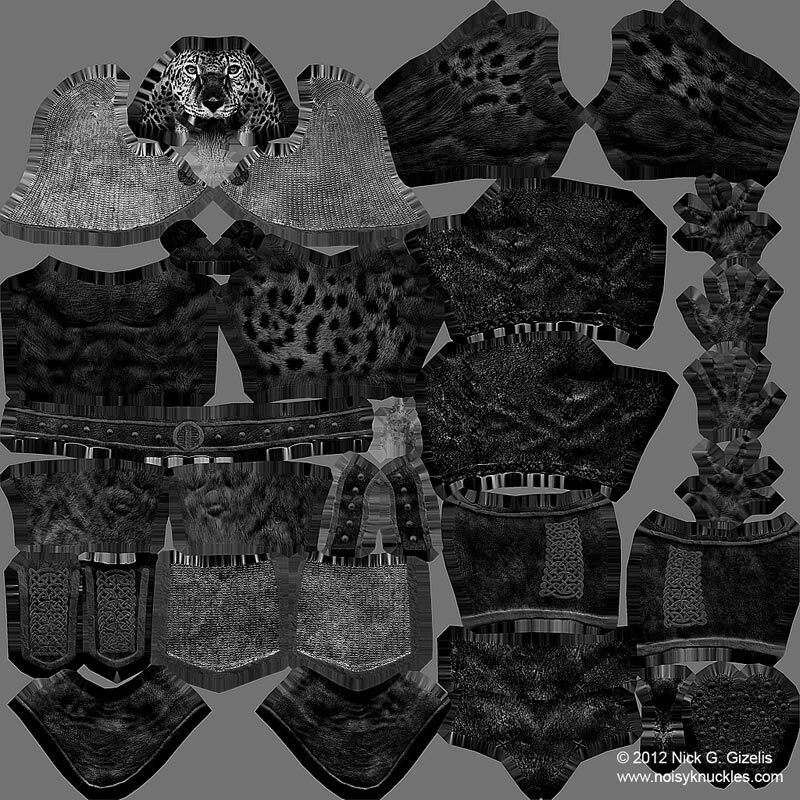 I was given only the cage geometries of the castle parts and then I did the uv mapping, sculpting, baking, texturing, shading and rendering of them. 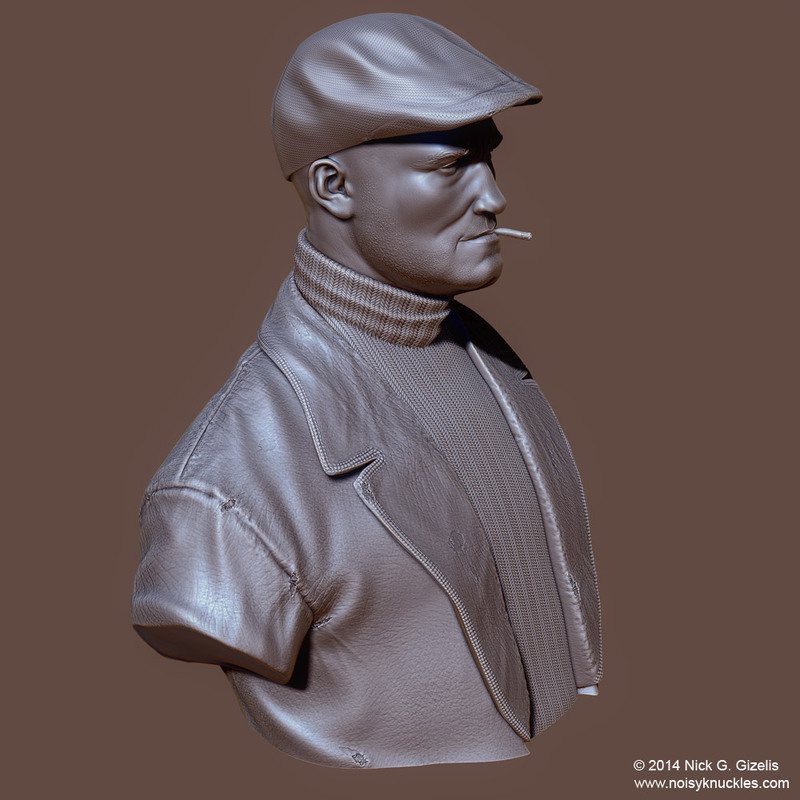 A bust I sculpted for practice. 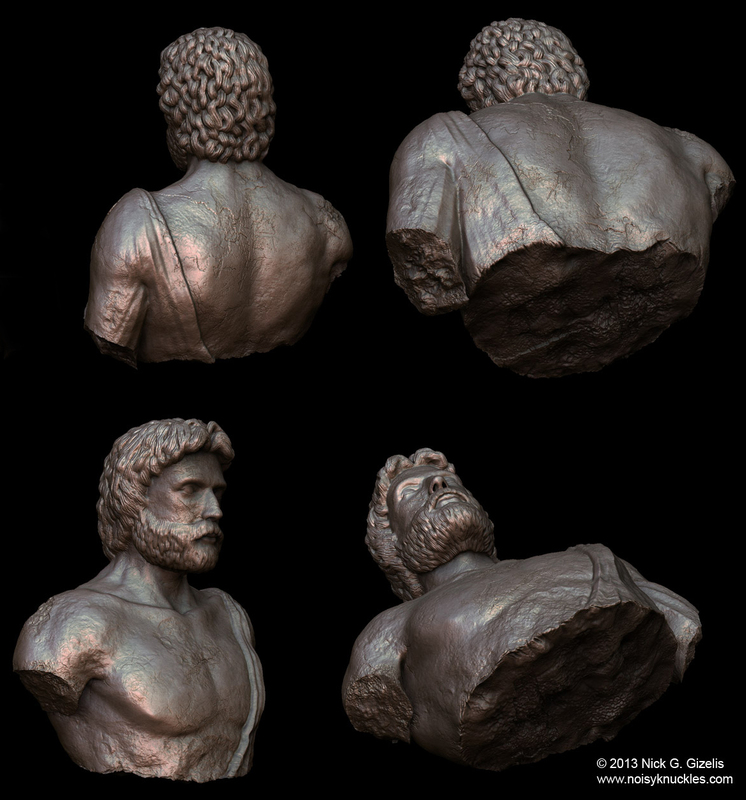 A model I sculpted as a commission for the bust of the ancient Greek philosopher Kleovoulos, to be used in a Greek TV commercial. 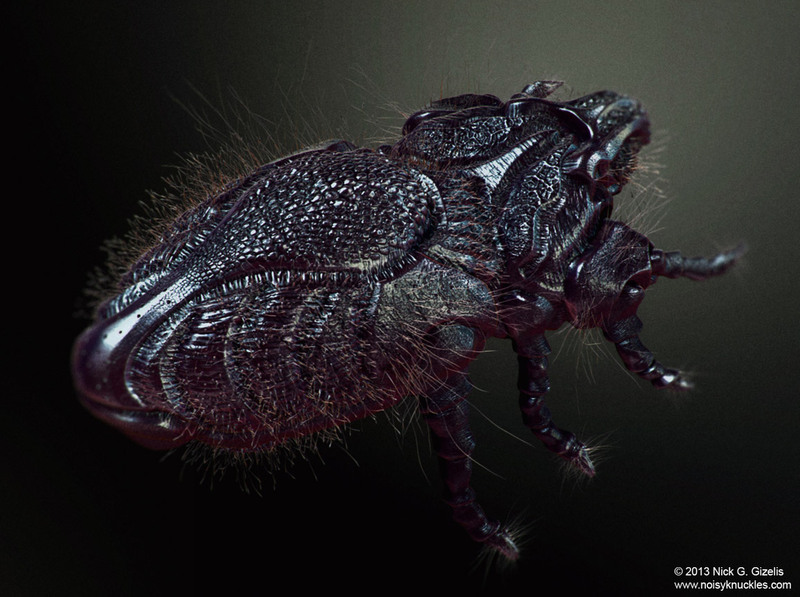 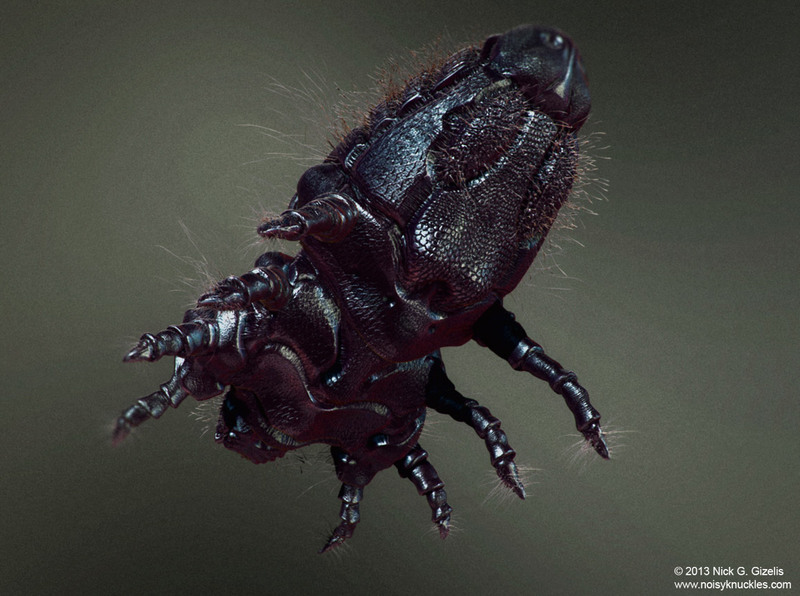 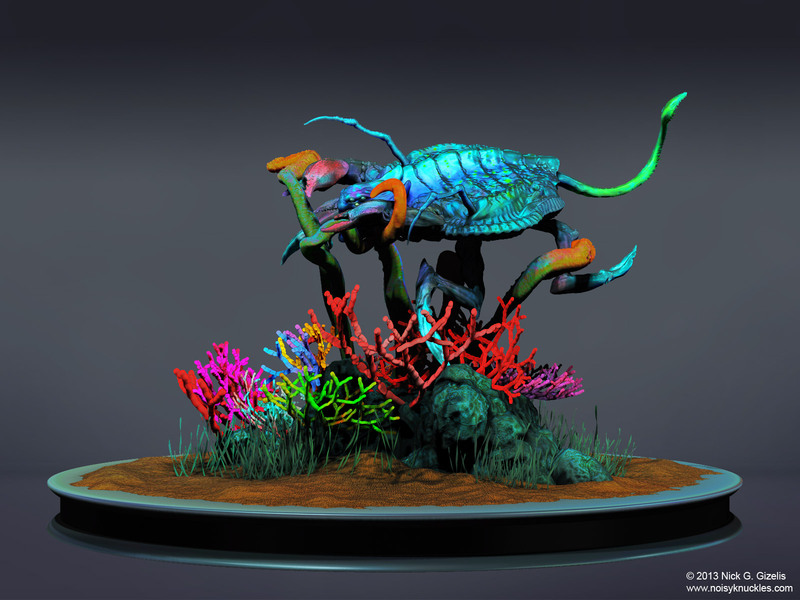 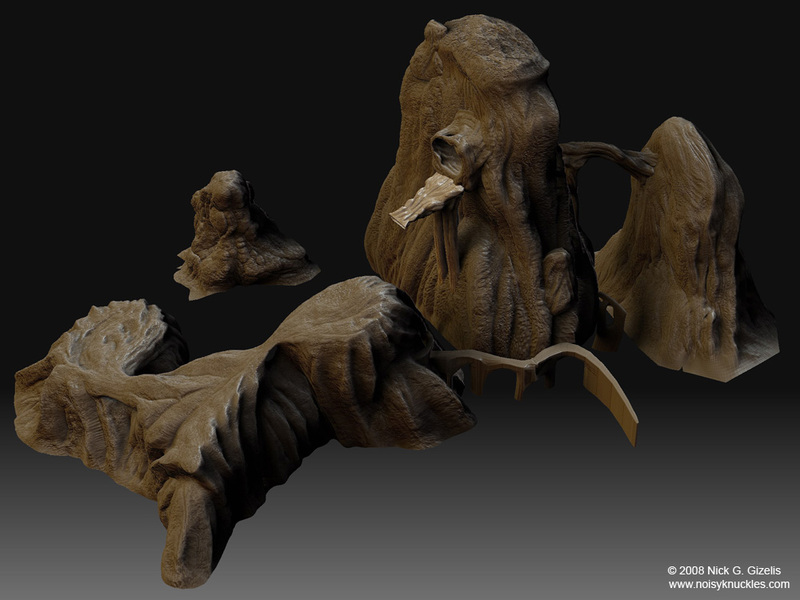 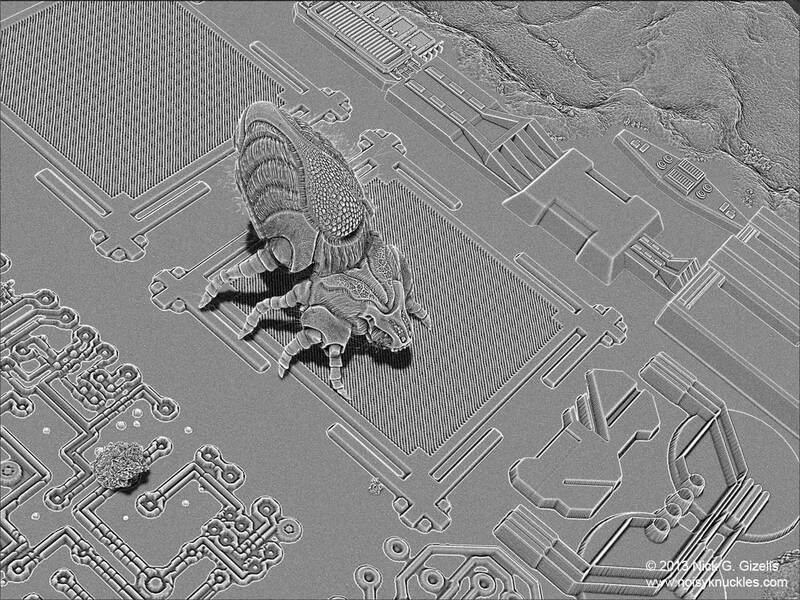 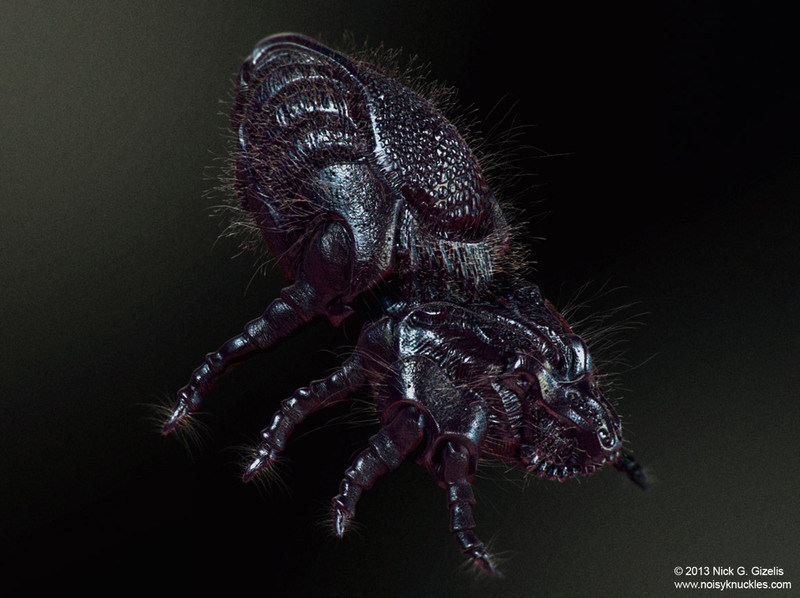 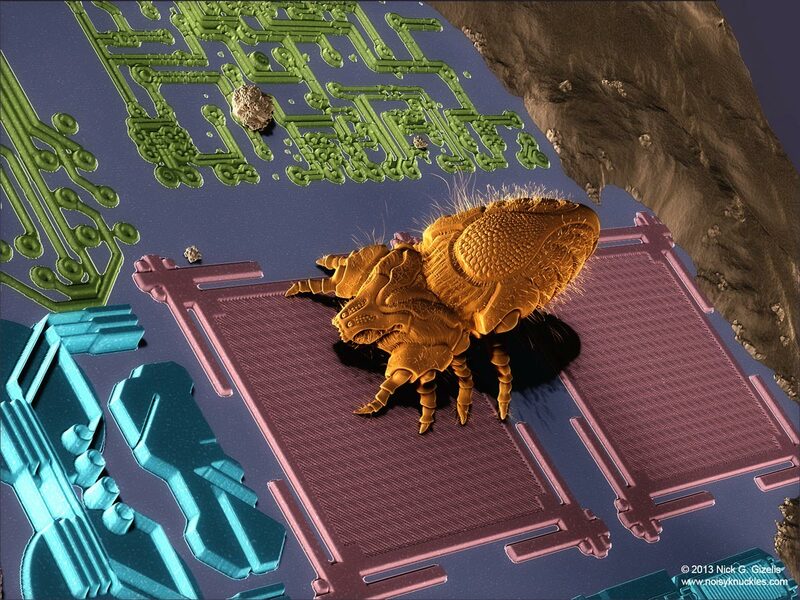 My submission for CGFeedback’s Mini Challenge titled -Microscopic Life-.The theme was microscopic life forms. 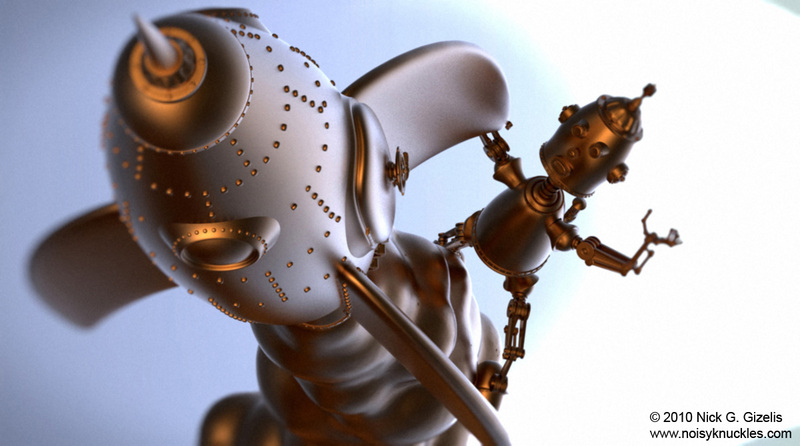 So I decided to make an imaginary dustmite fooling around on a nanomachine installation. 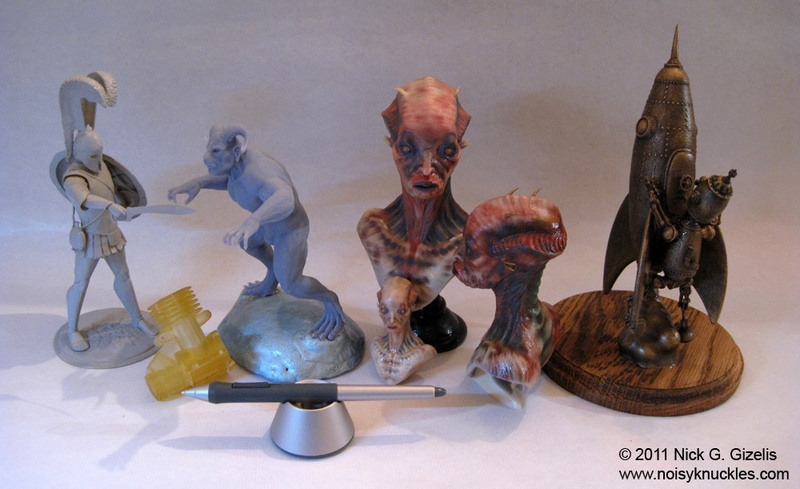 My submissions to BadKing’s Monster Brush Challenge. 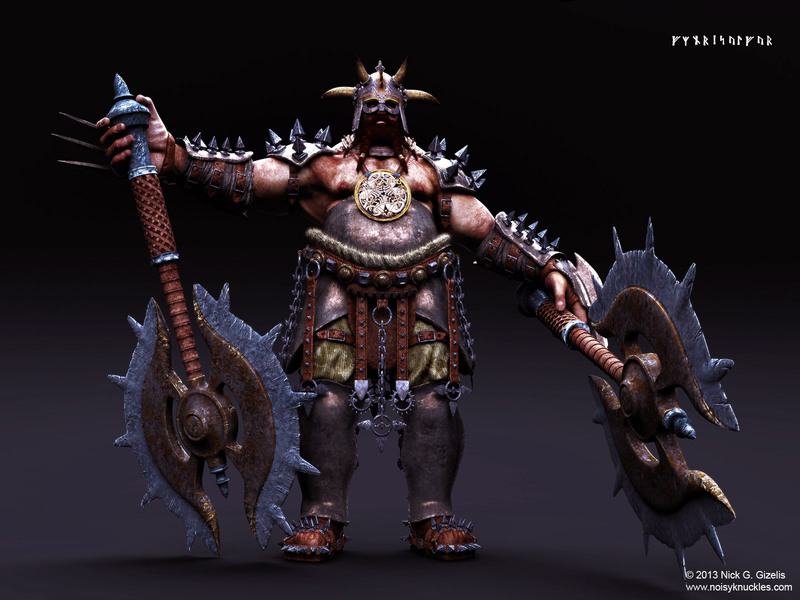 A fantasy Norse Warlord character I made, initially as a personal project. 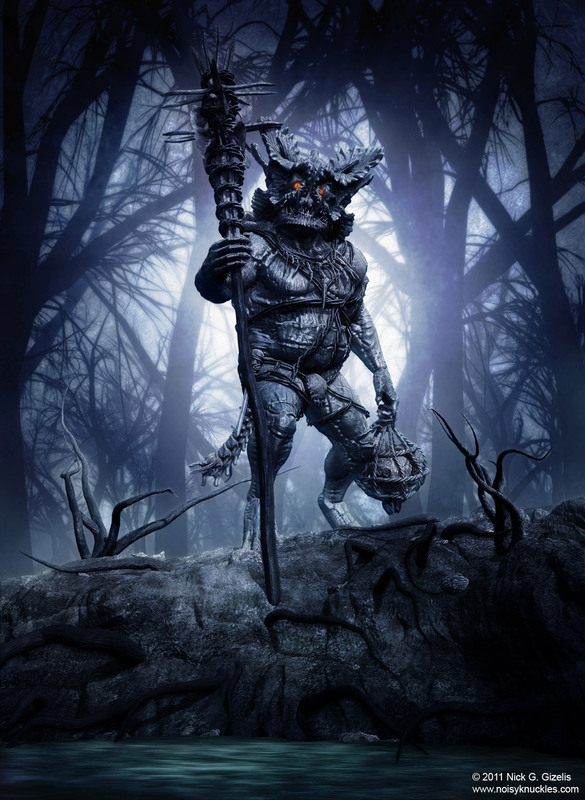 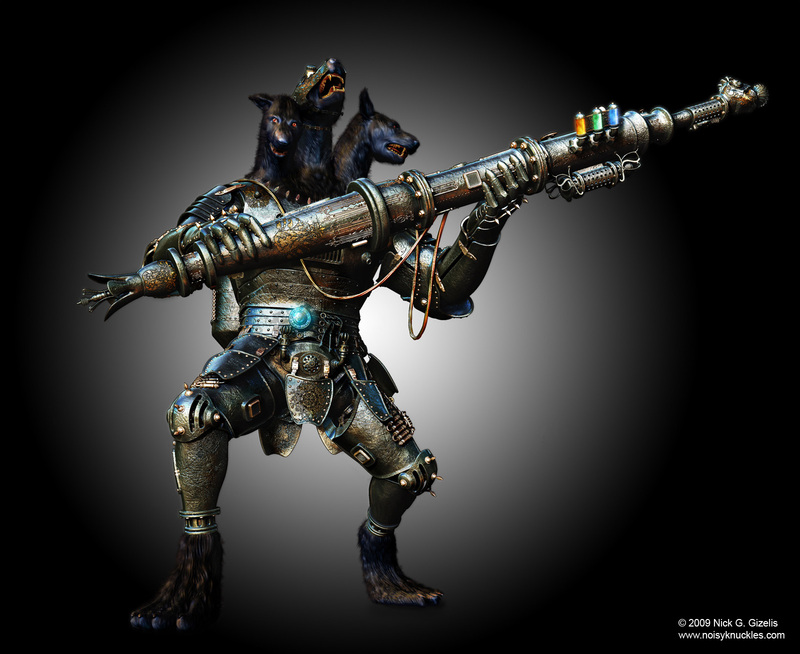 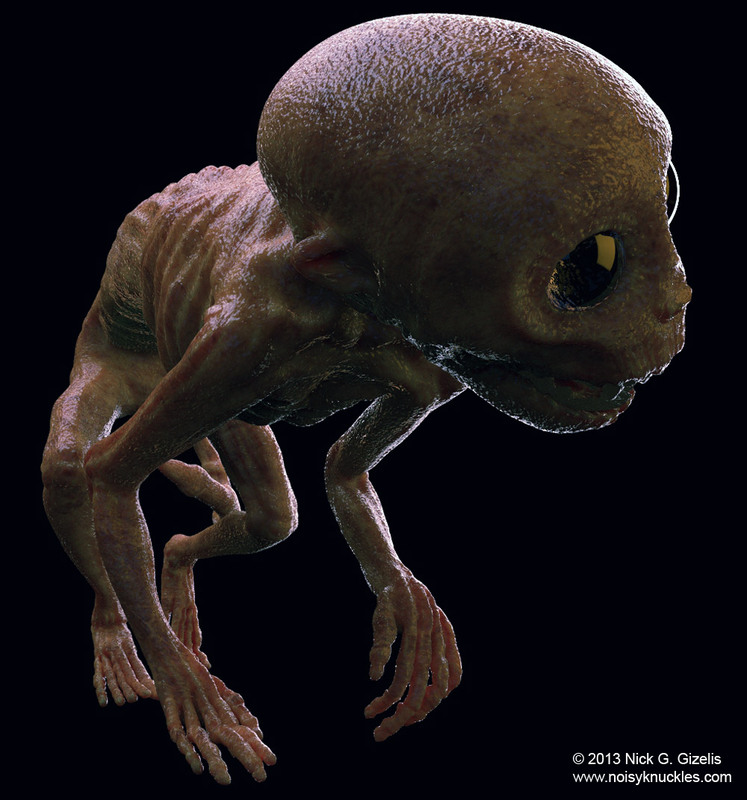 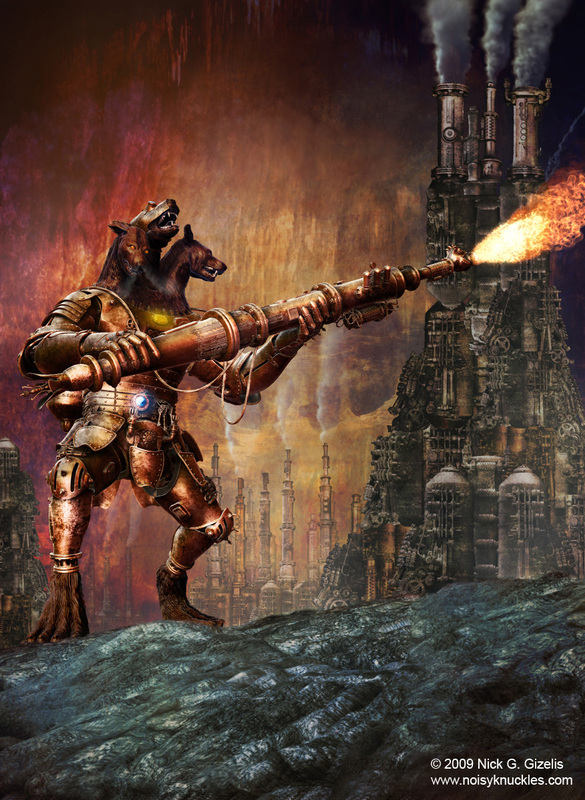 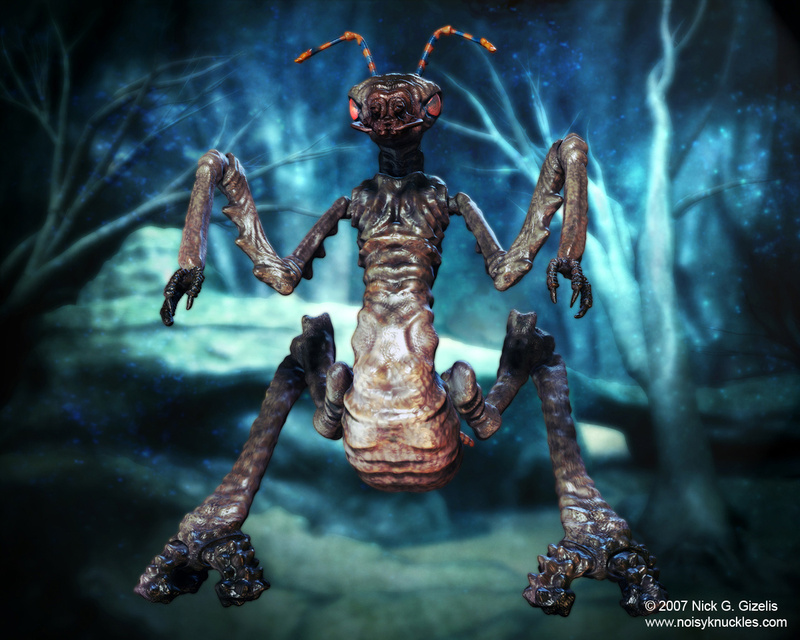 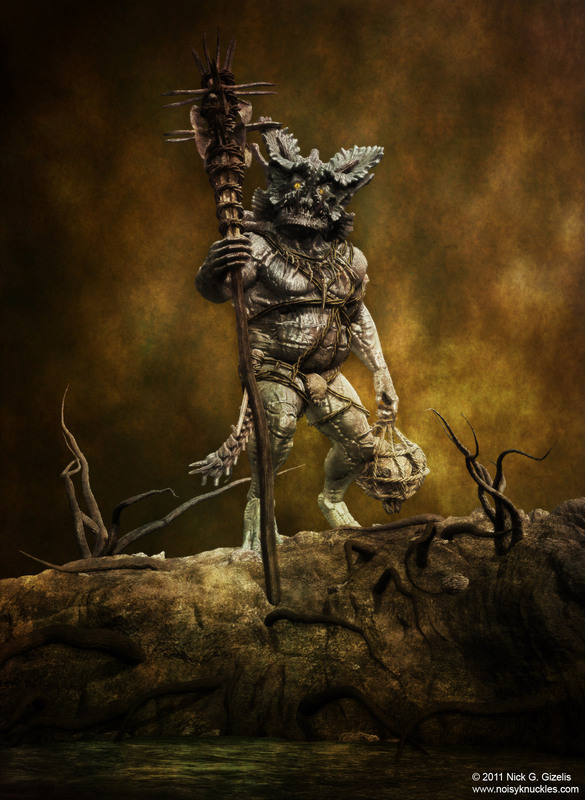 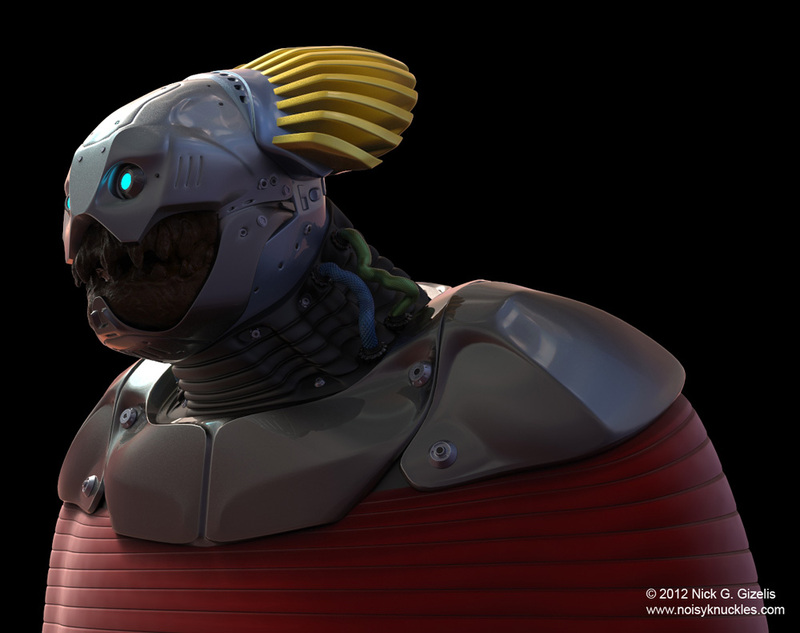 Eventually, I accepted a commission to make a texturing tutorial series about this character for 3D Creative magazine. 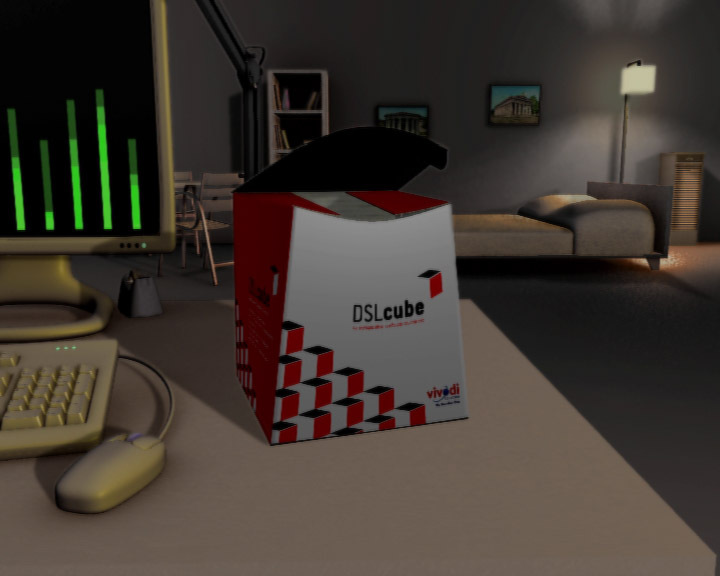 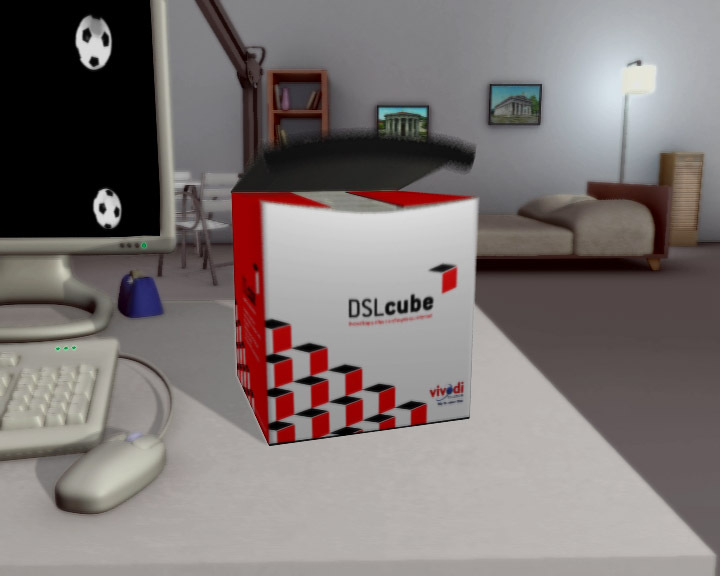 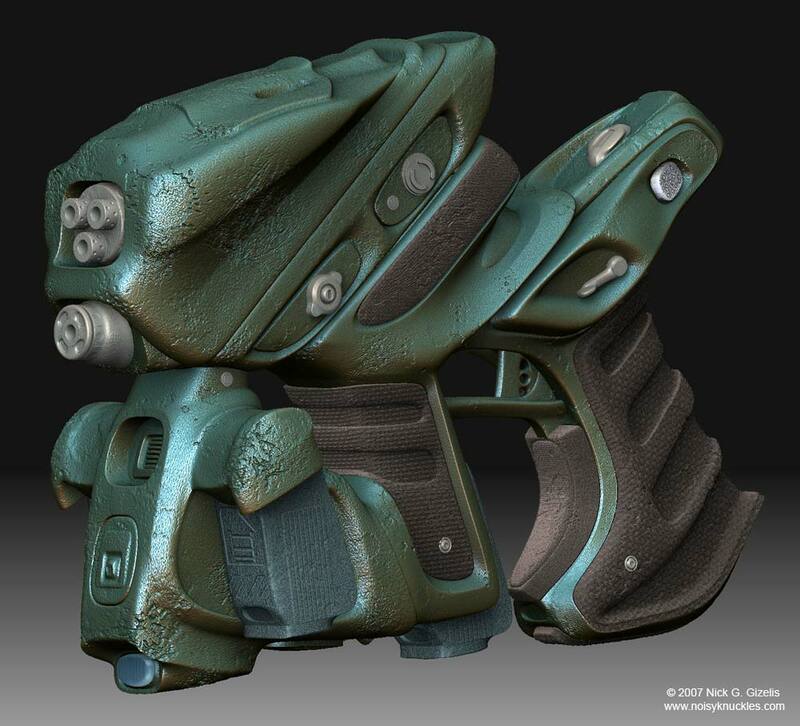 The tutorial series was published in issues 104, 105 and 106 of the magazine. 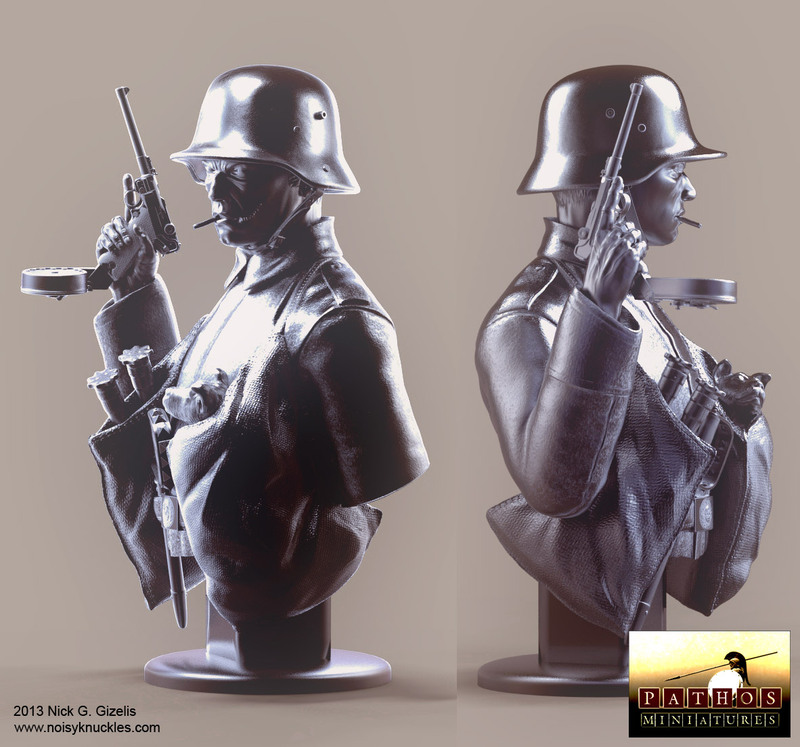 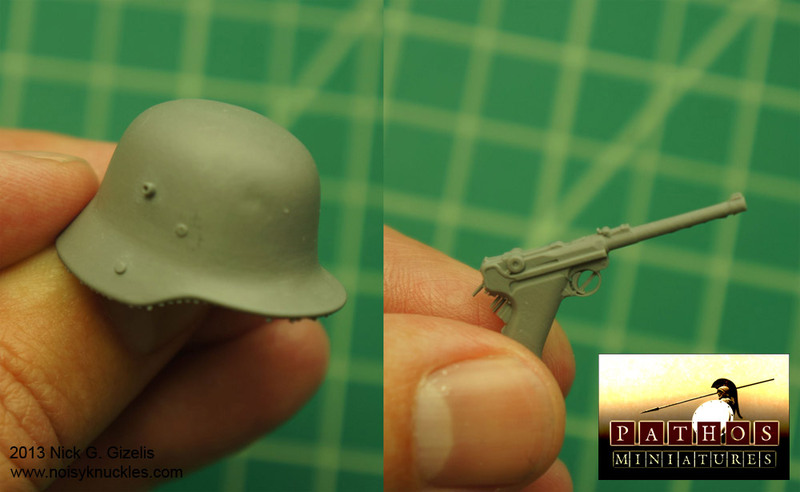 A bust of a WW I German trench raider I sculpted for Pathos Miniatures, www.pathosminiatures.com, to be 3d printed and reproduced as a resin kit. 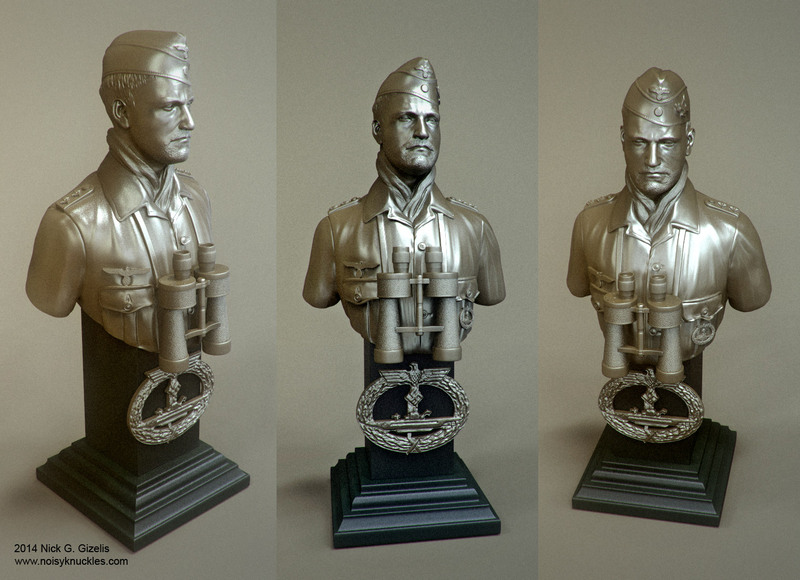 The paint job on the resin bust was done by Roberto Ramirez Gutierrez. 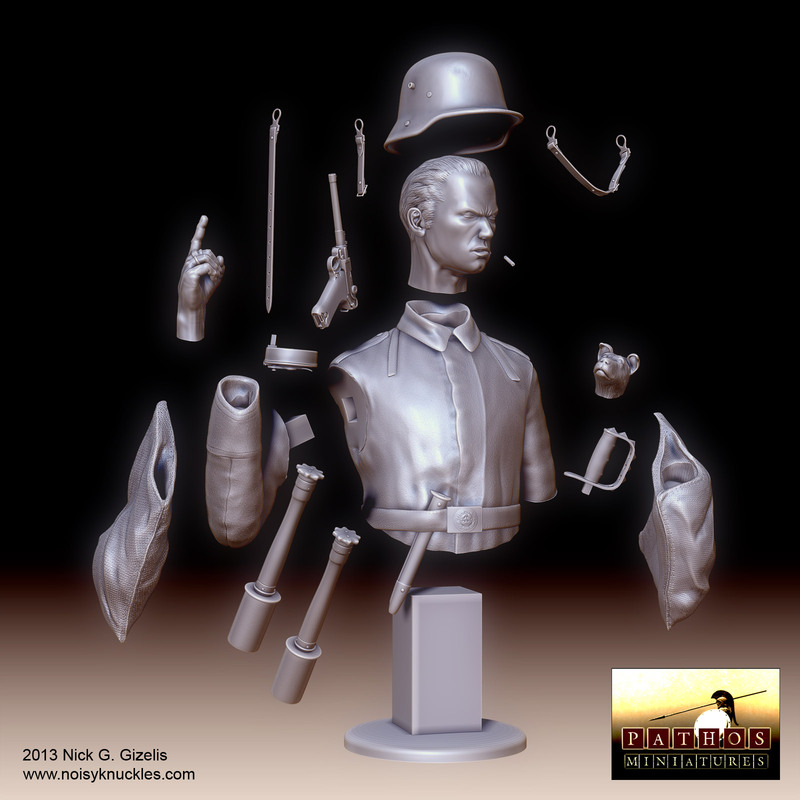 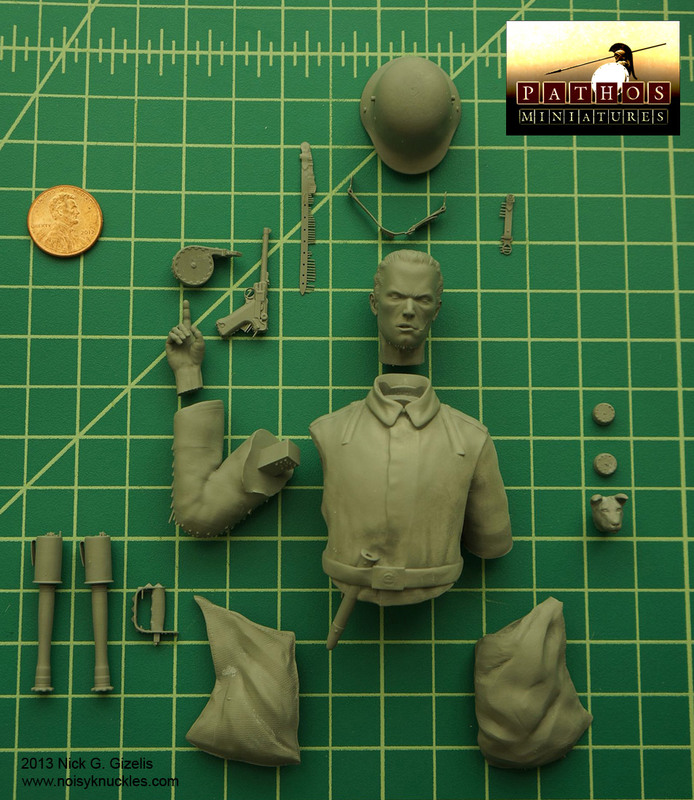 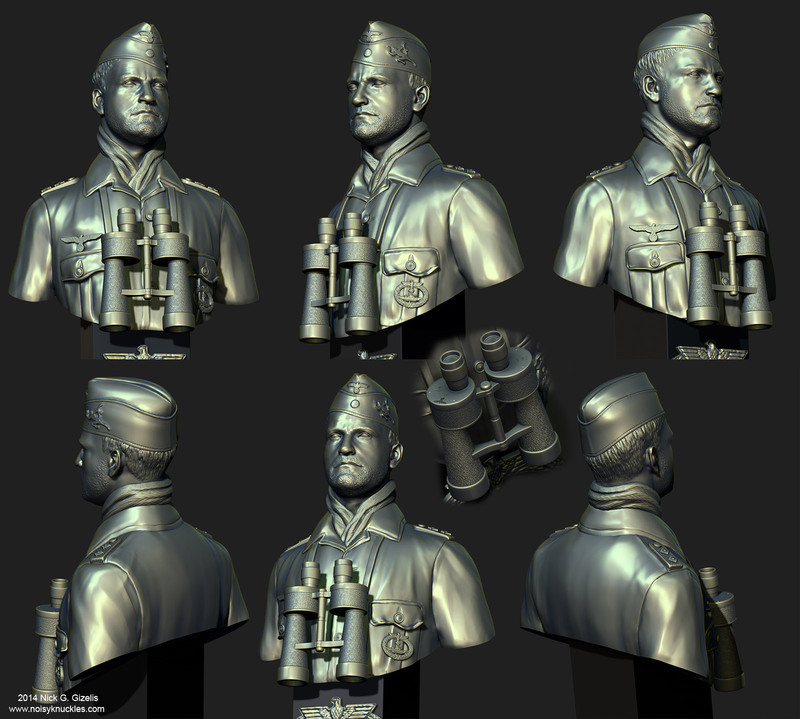 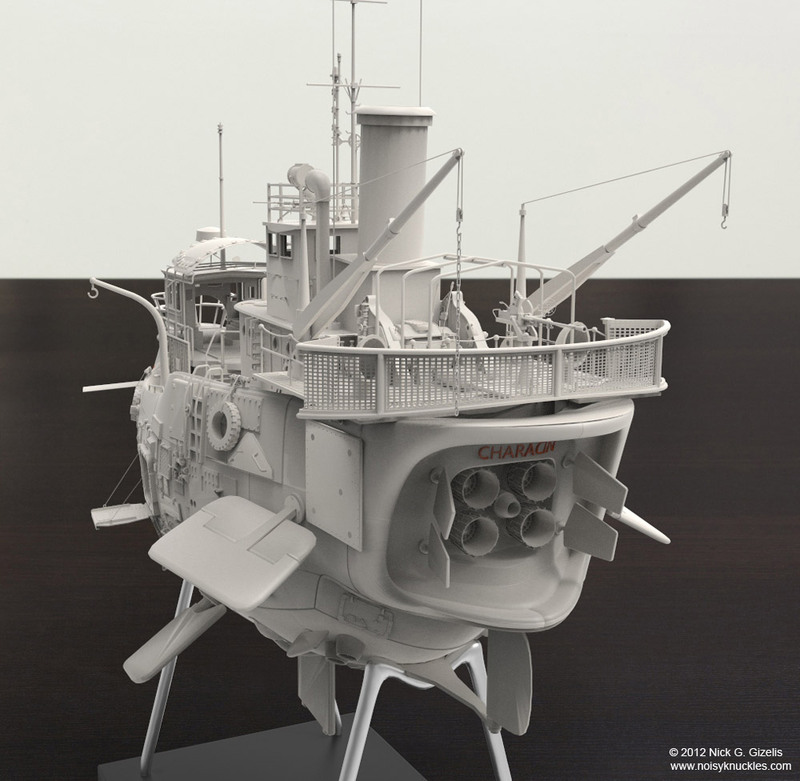 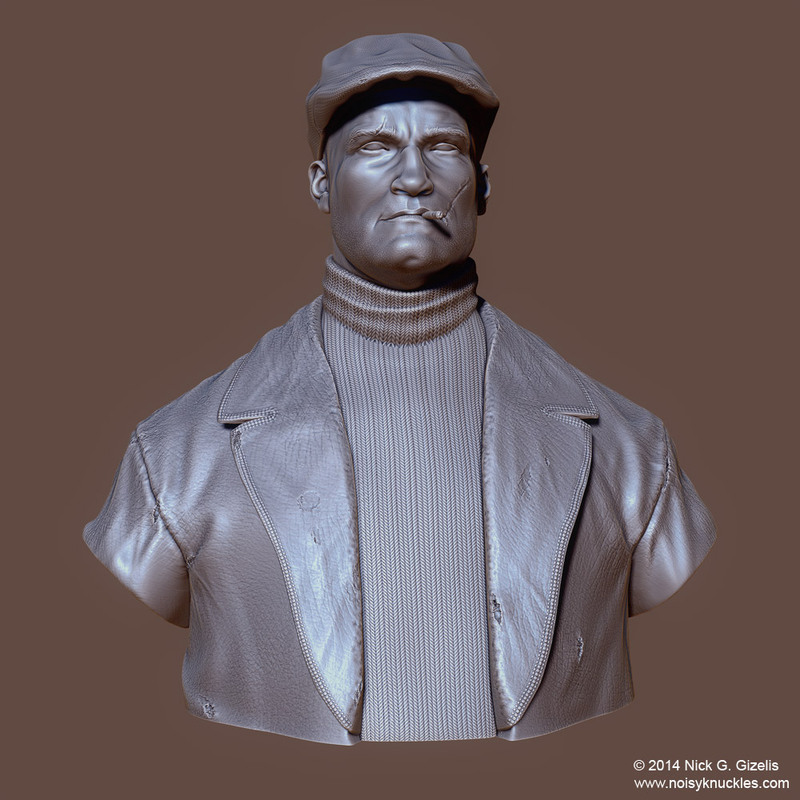 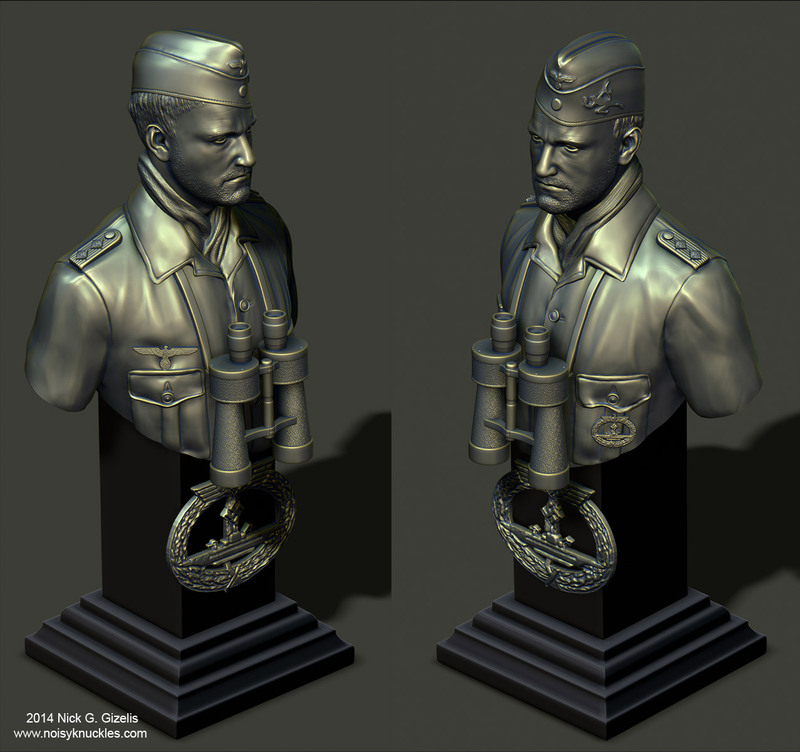 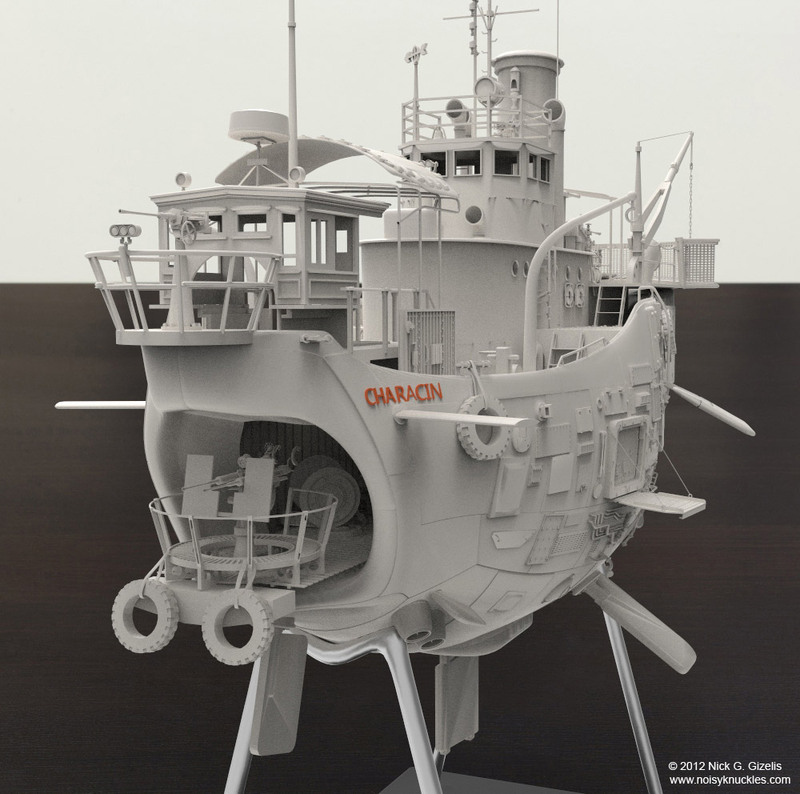 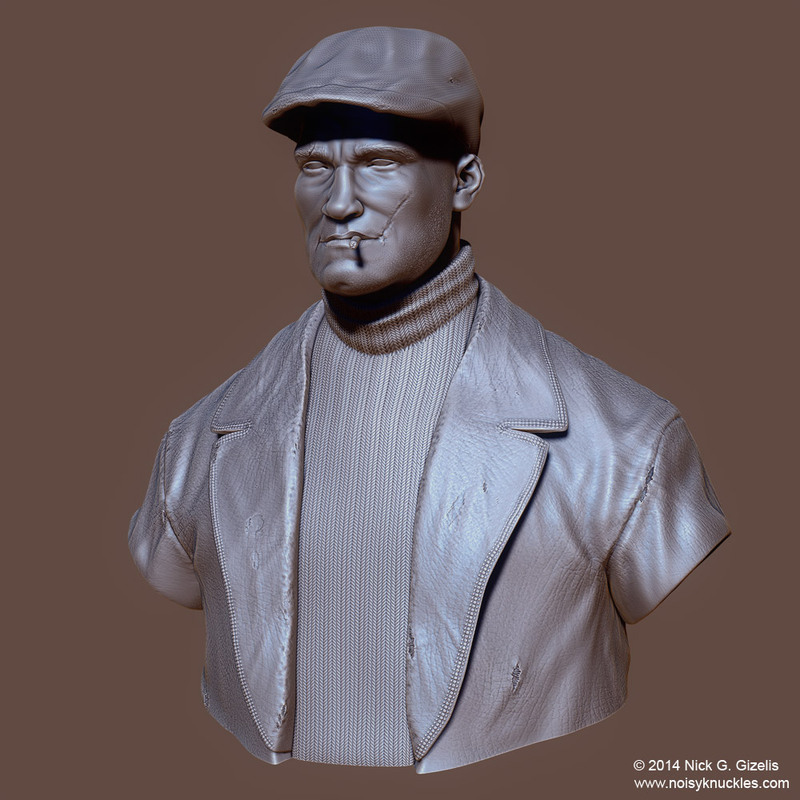 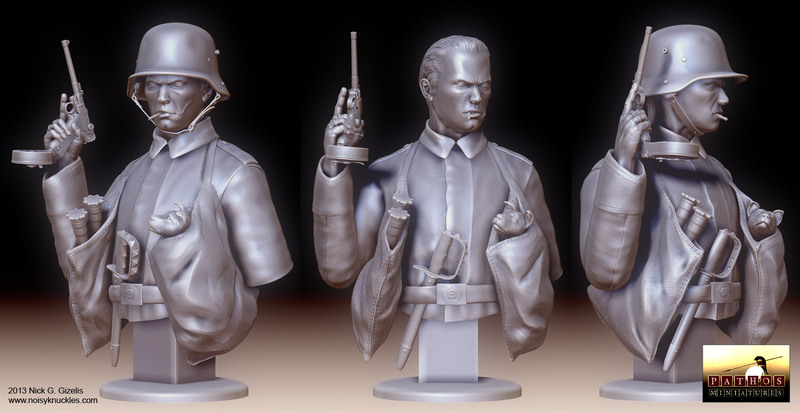 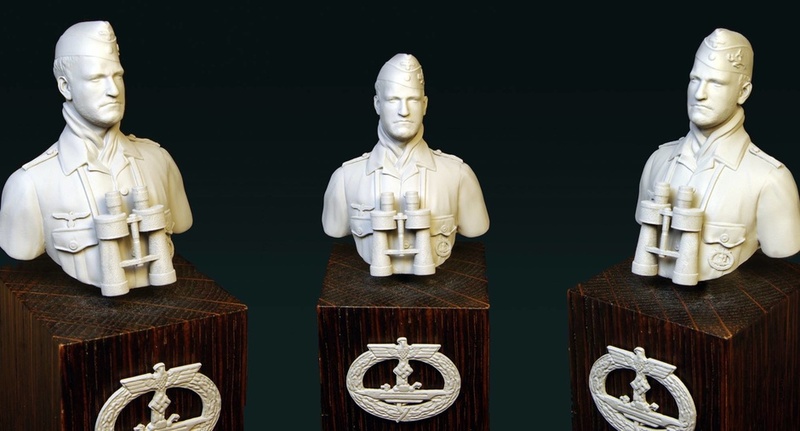 A bust of a WW II German U-Boat Captain I sculpted as a commission for Pathos Miniatures, www.pathosminiatures.com, to be 3d printed and reproduced as a resin kit. 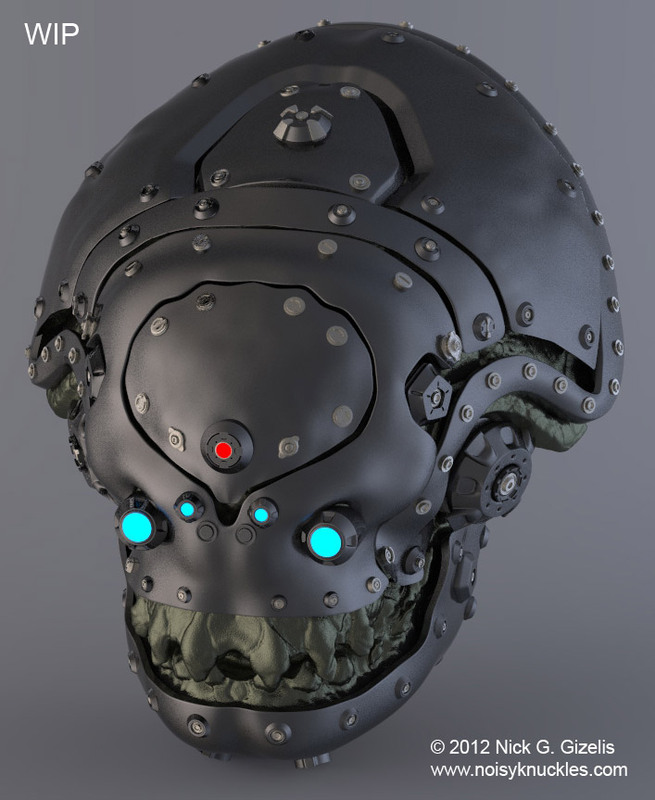 A personal project for a cyborg character bust. 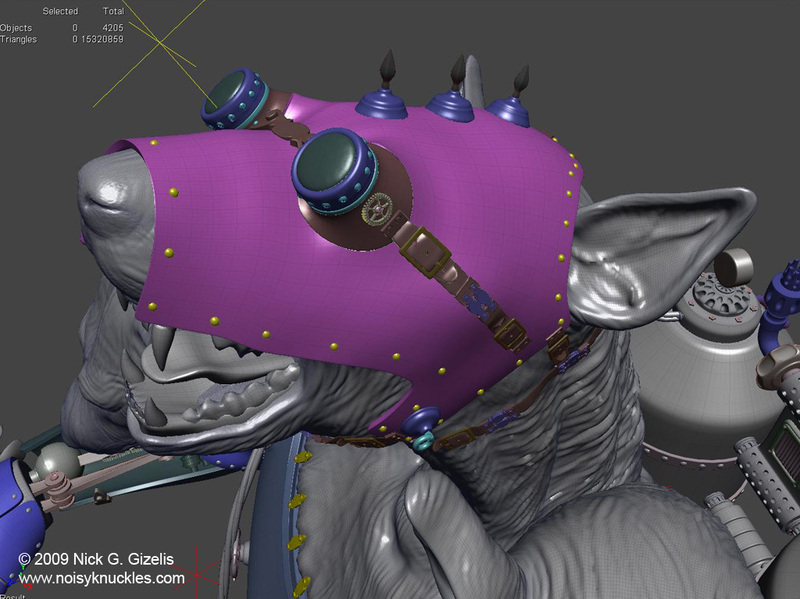 My aim was to complete the whole workflow, from a high poly assembly to get normal and cavity maps from, to retopologize a low poly mesh and finally to produce a fully textured realtime version of the bust with a polygon count under 5k triangles. 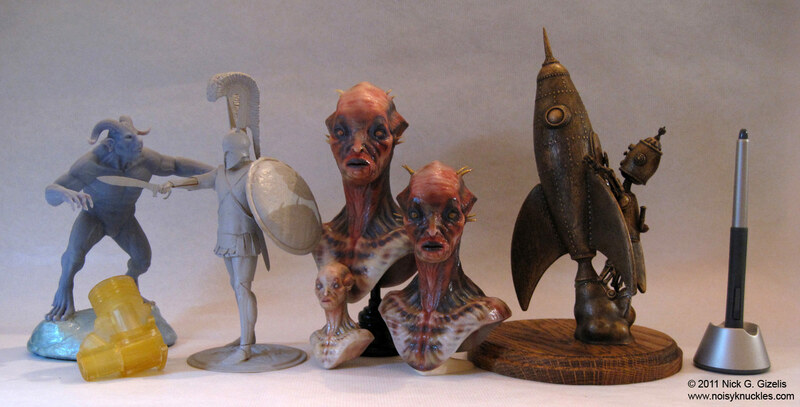 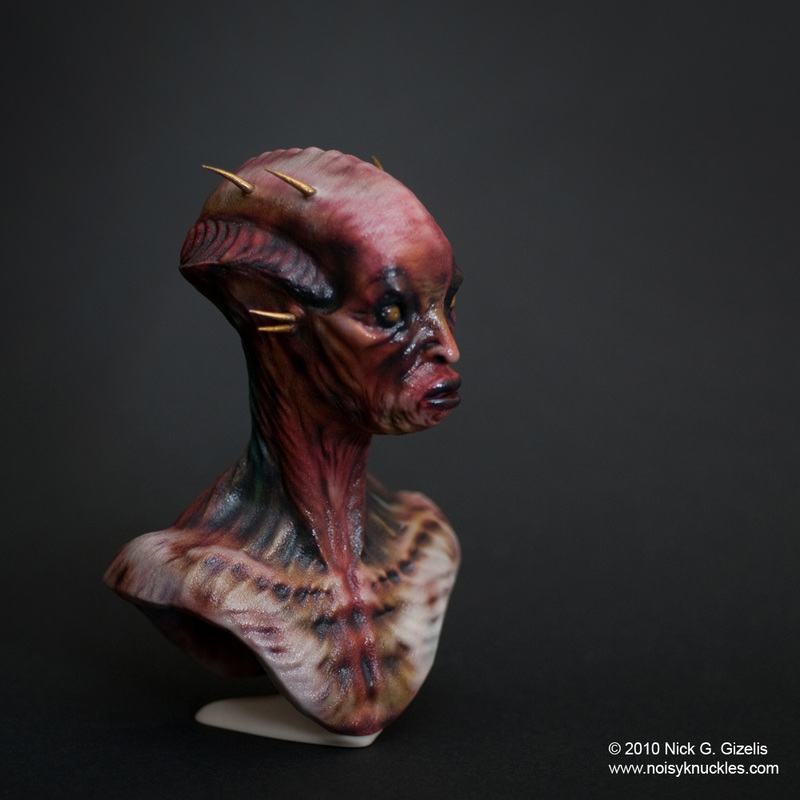 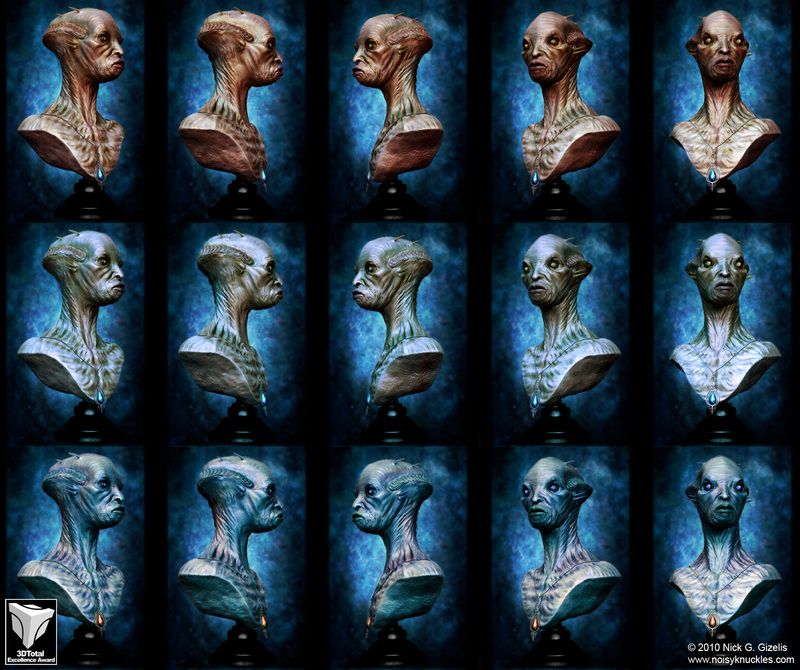 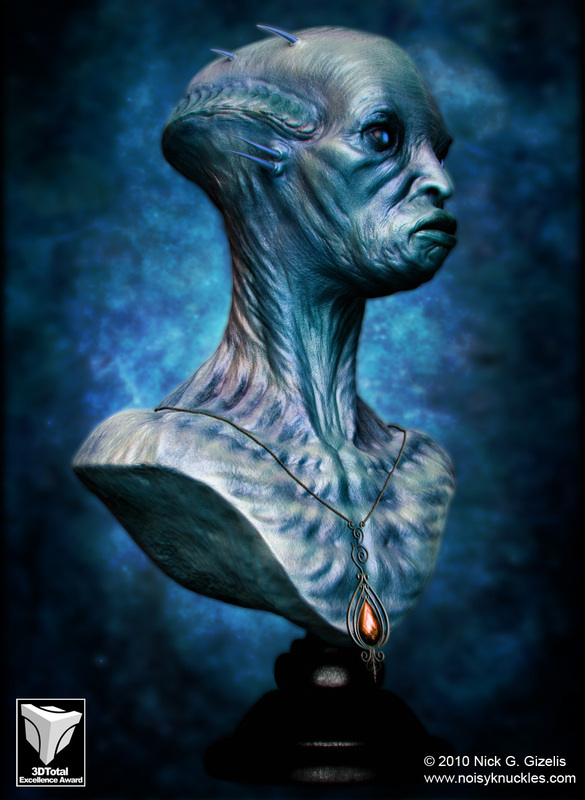 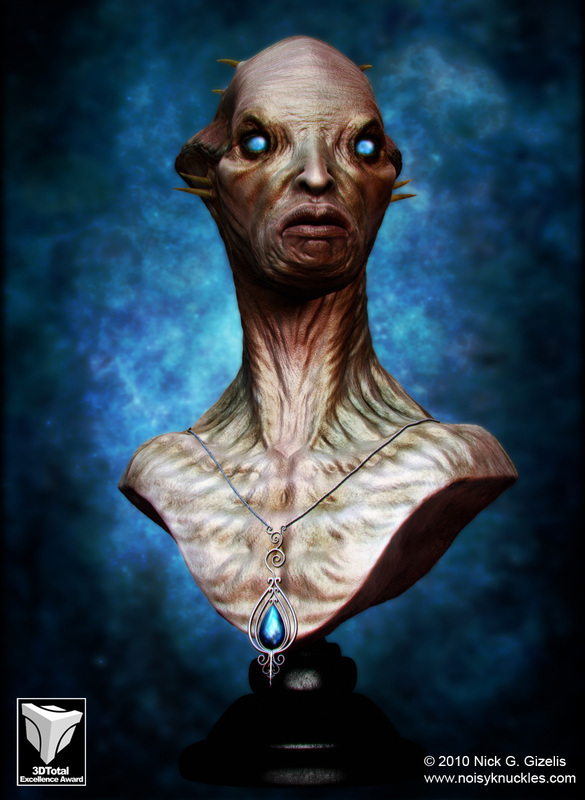 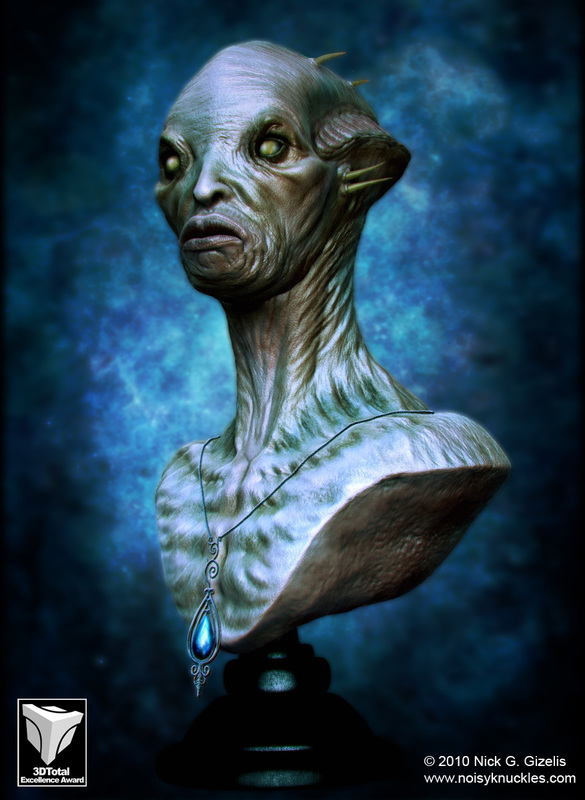 I got the idea for the bust from a creature head I had worked on, some time ago. 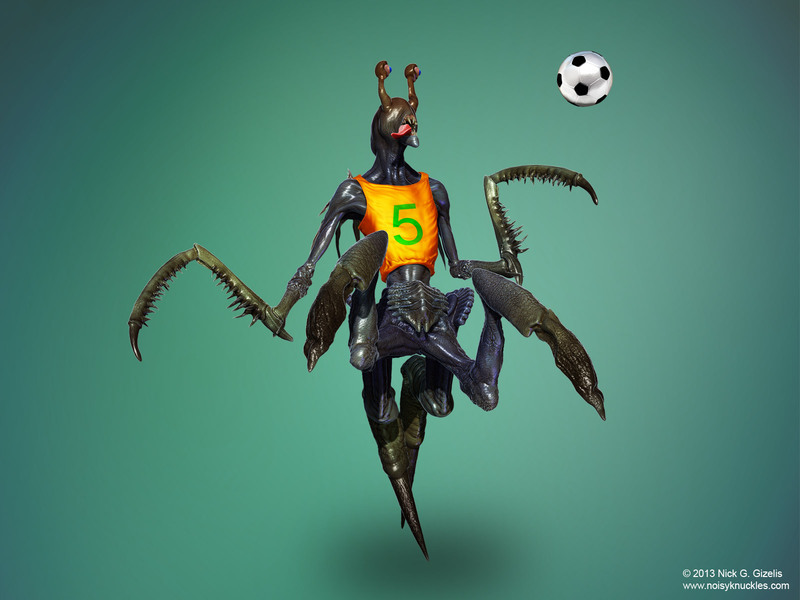 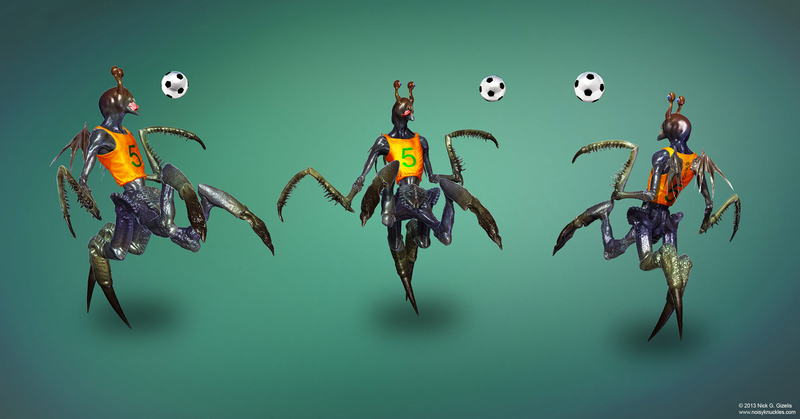 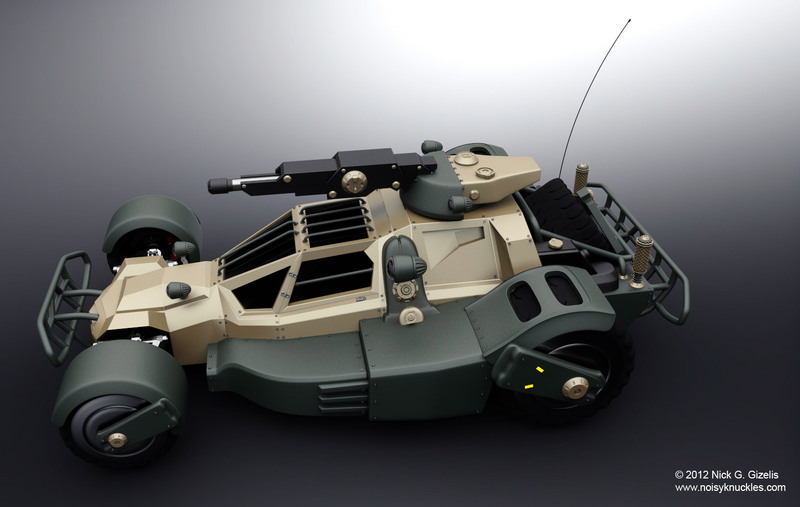 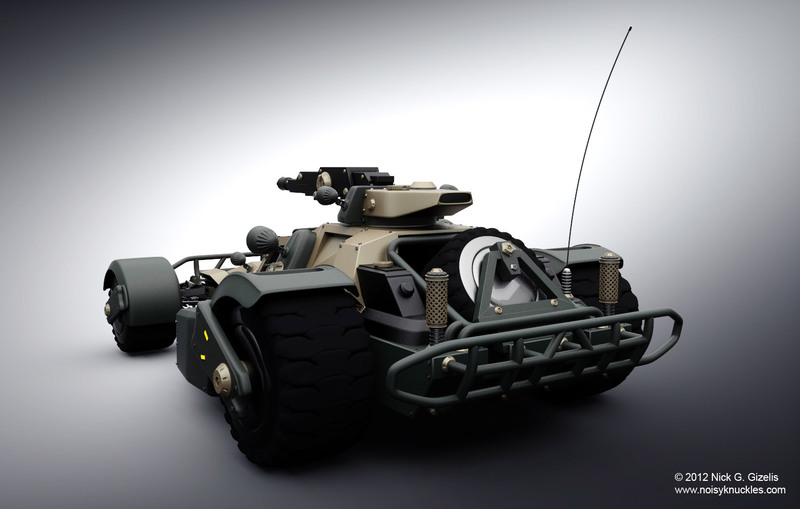 A Marine Buggy, heavily influenced by QUAKE and RAGE games concept art. 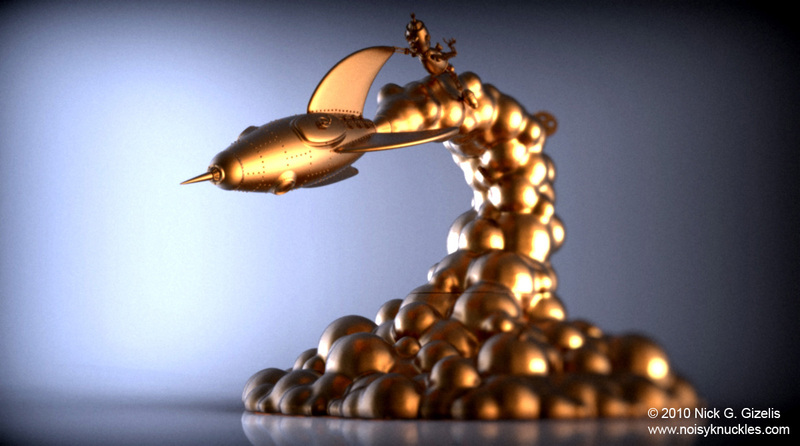 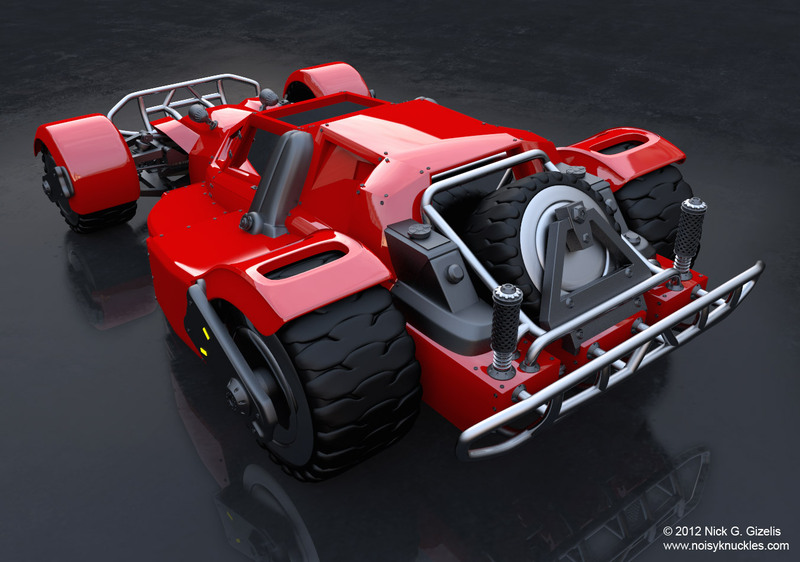 Softimage XSI. 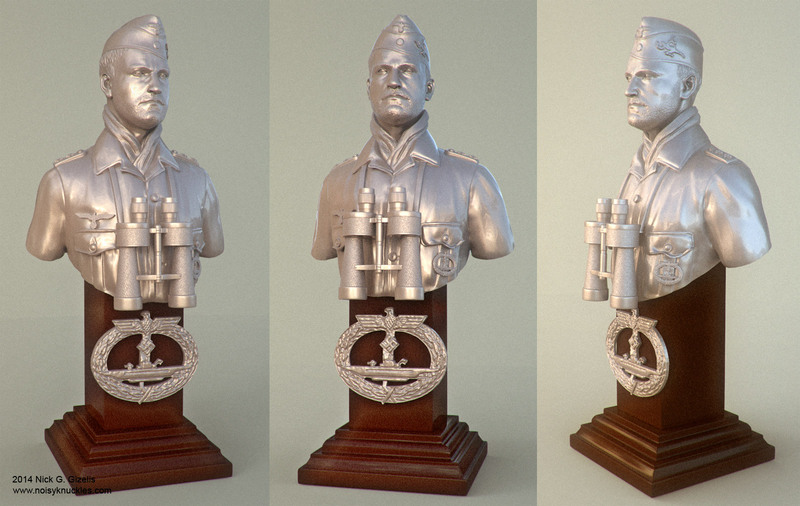 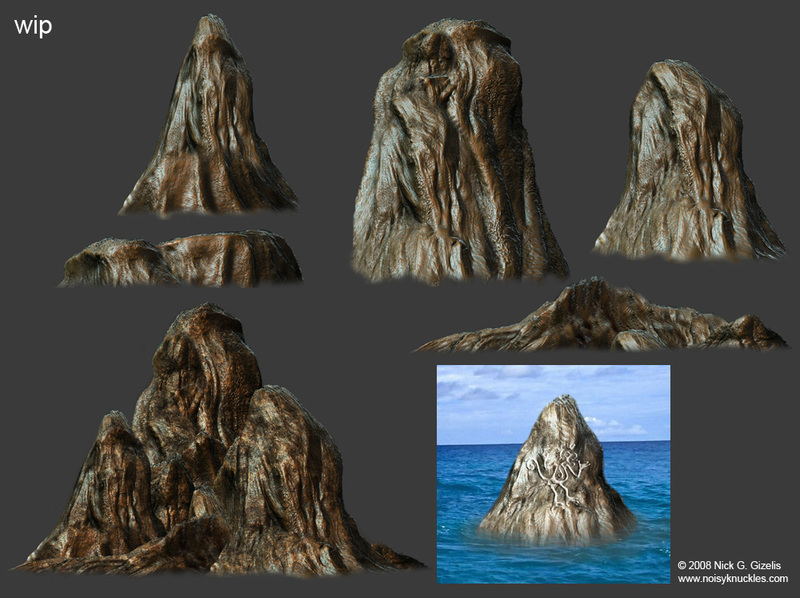 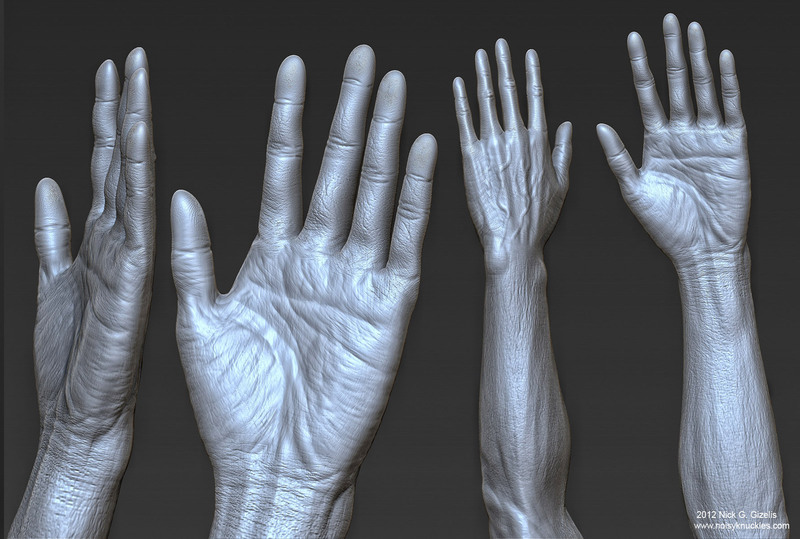 of maximum polycount 5000 triangles with 3x1024 maps (diffuse, normal, specular). 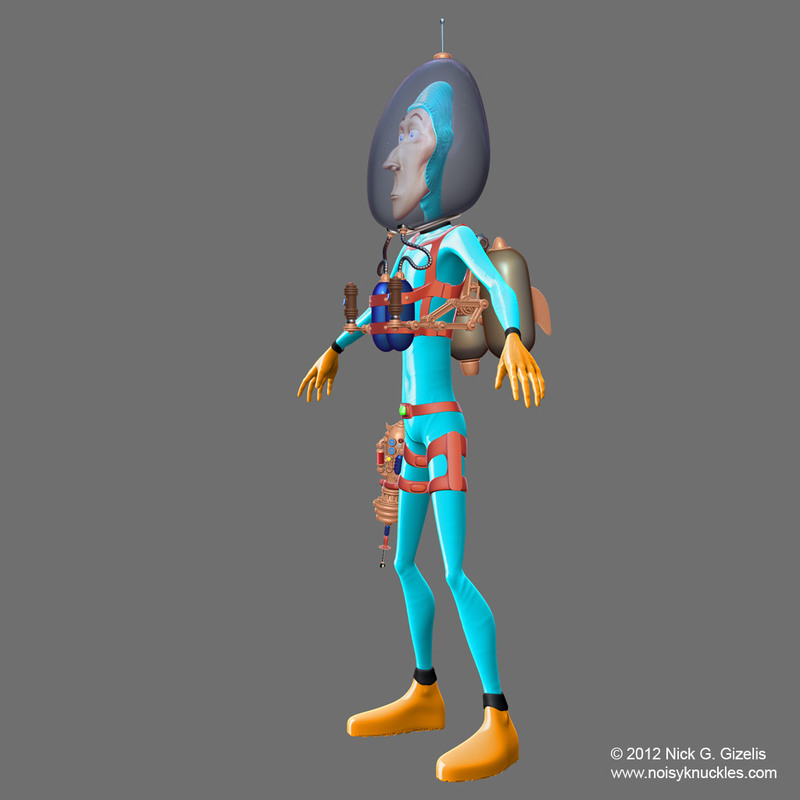 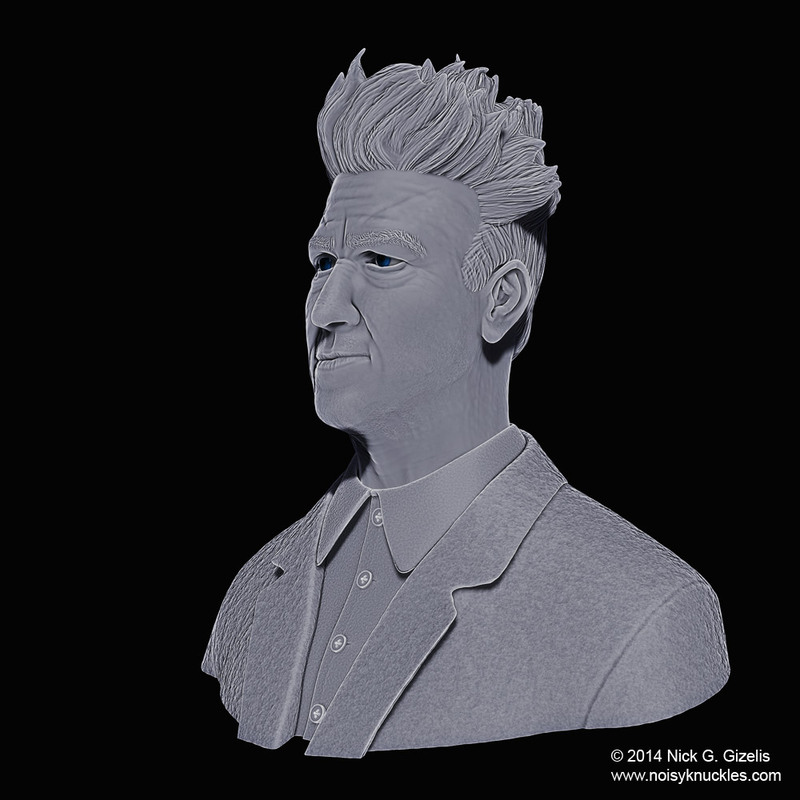 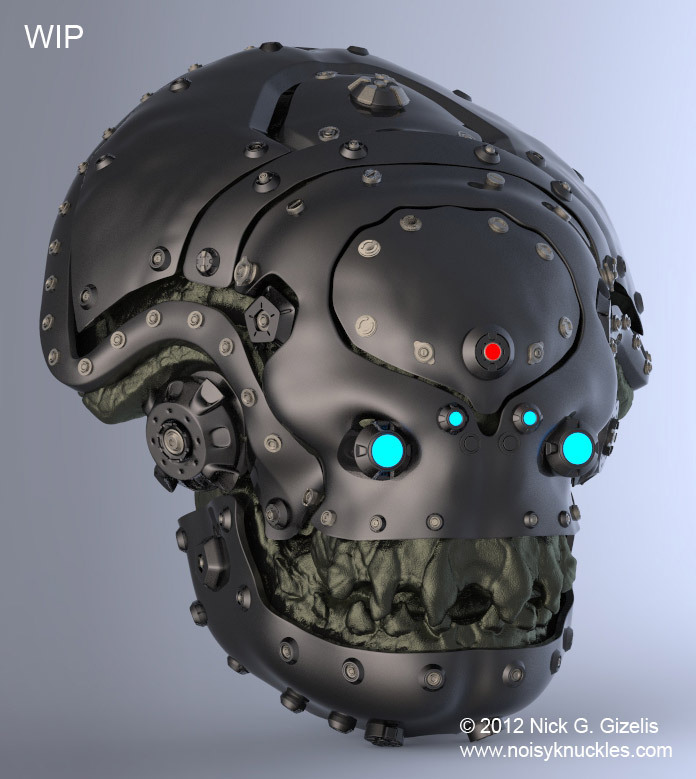 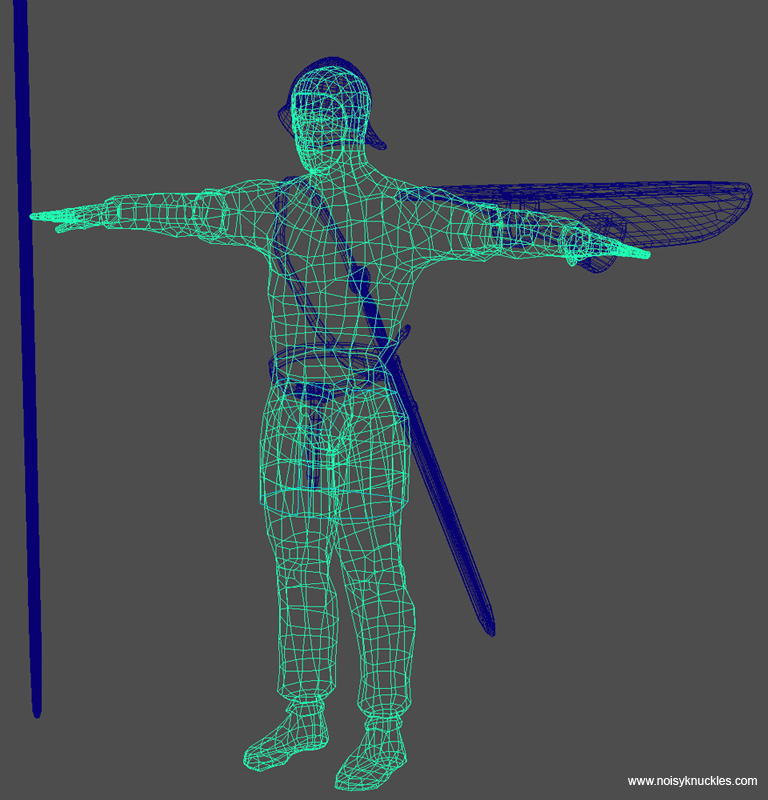 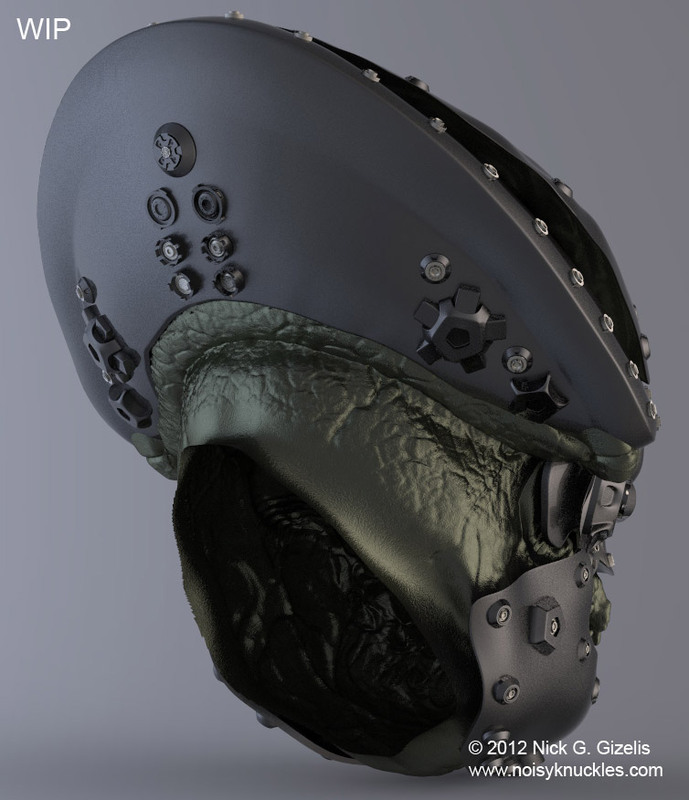 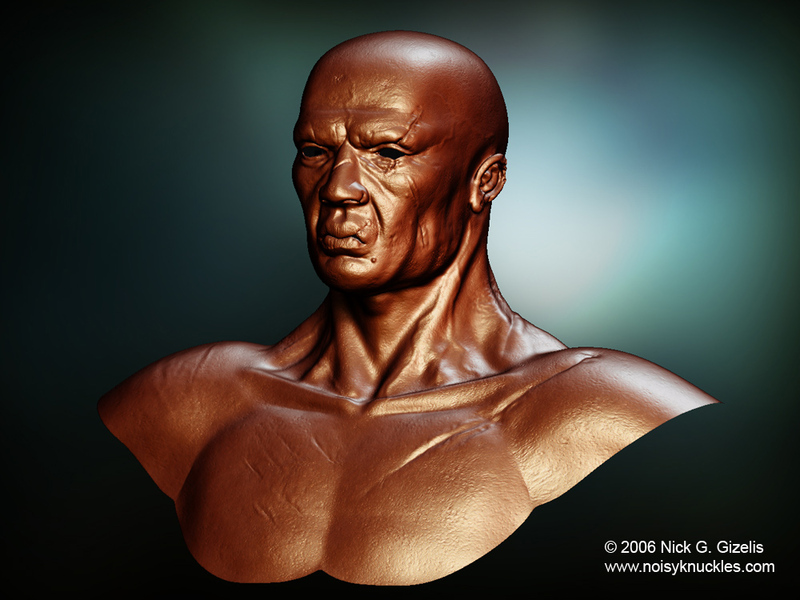 The final realtime character has 4220 triangles. 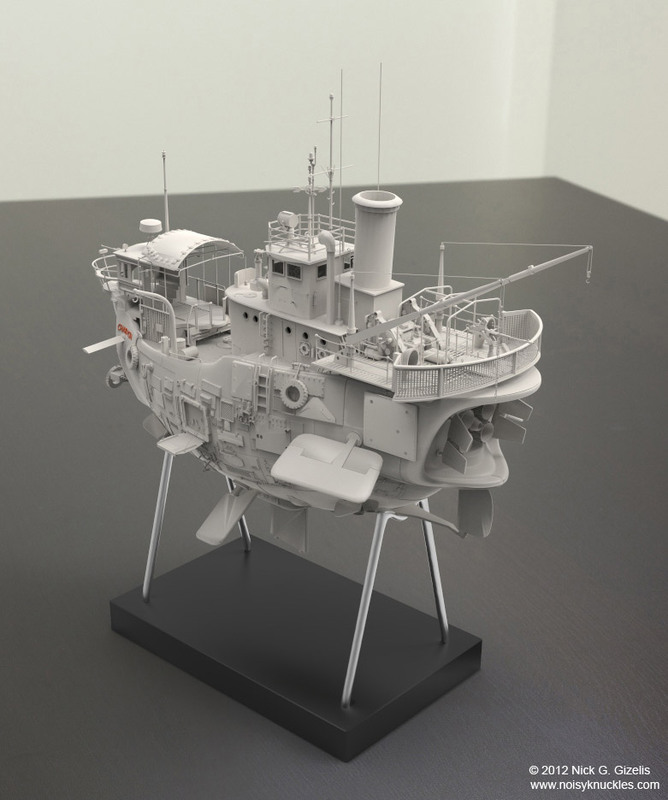 I used several parts from different 3d library models and assembled them together to construct my concept ship. 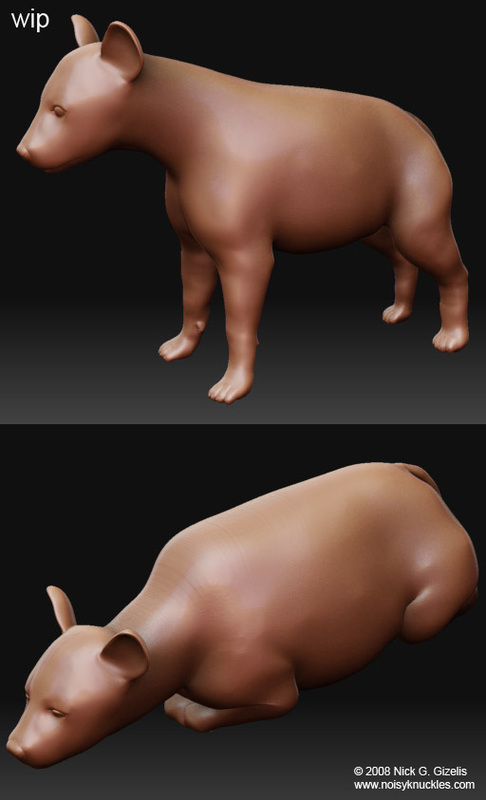 Using some of my models I started some tests on rendering them as if they were actual 3D prints. 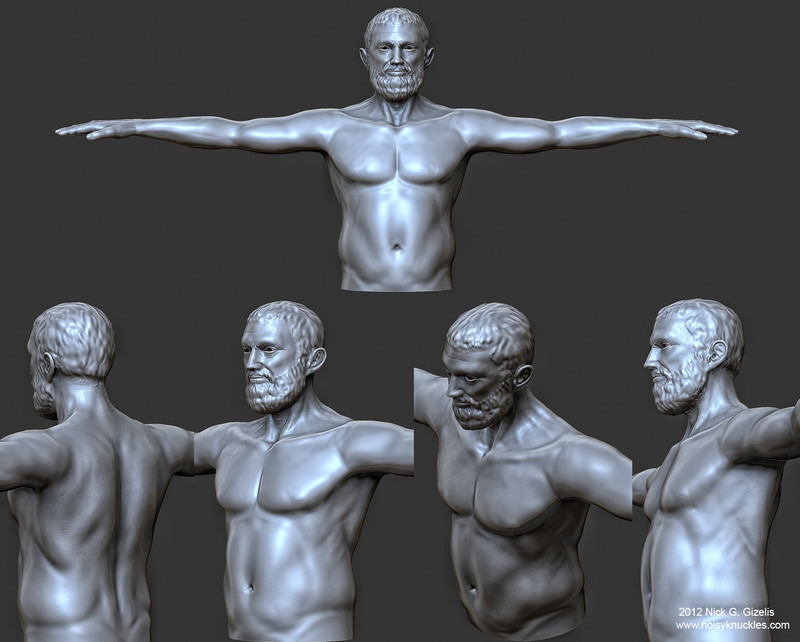 I will be adding my progress results here from time to time. 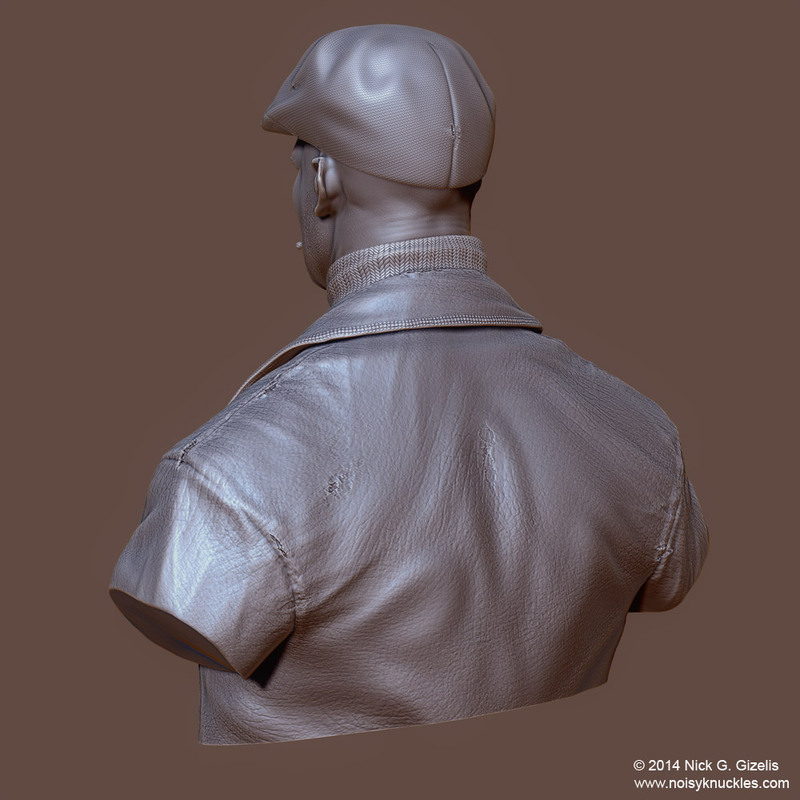 Character sculpting/detailing that I did for a realtime project. 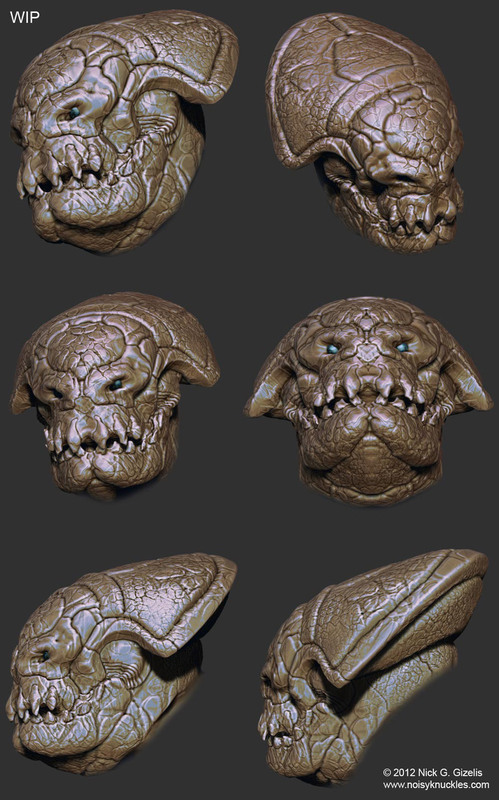 I was given low poly meshes to subdivide them into ZBrush, sculpt them and produce normal and cavity maps to be used on the realtime characters. 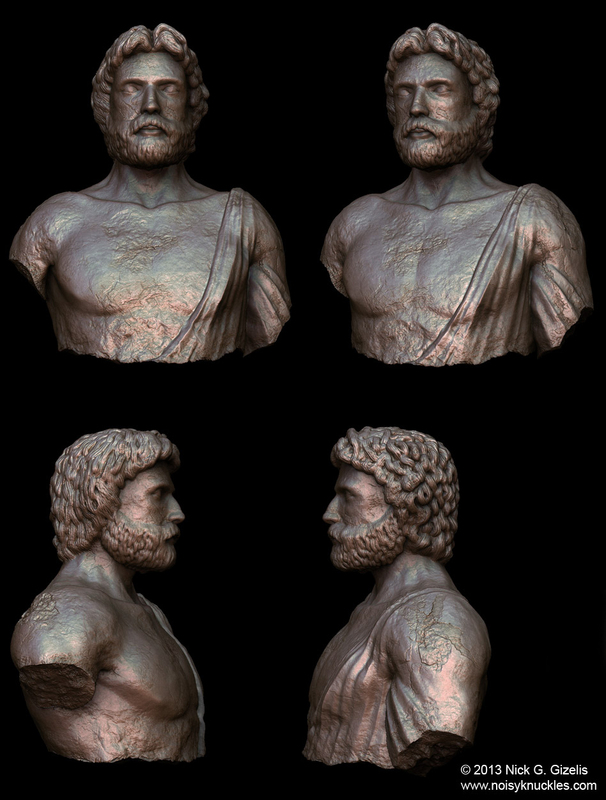 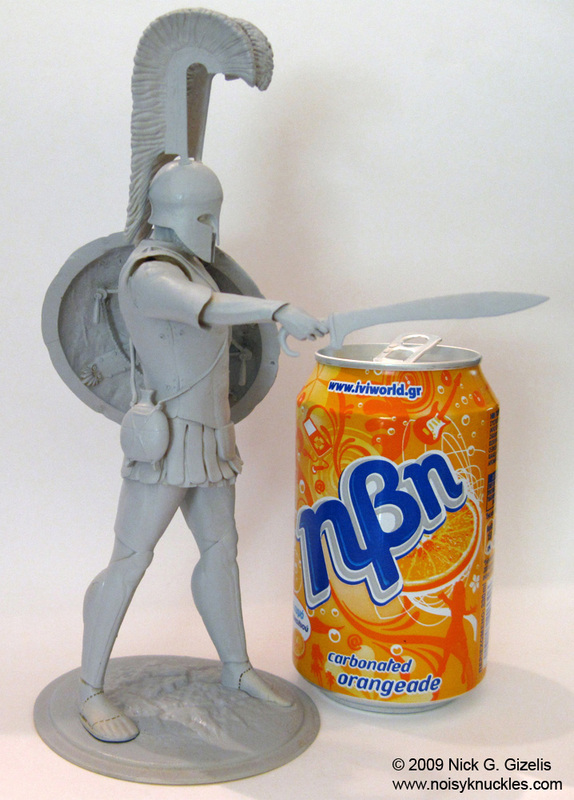 The models are cut in half because the characters' skin was only partially exposed, since they all were ancient Greek characters and wore robes. 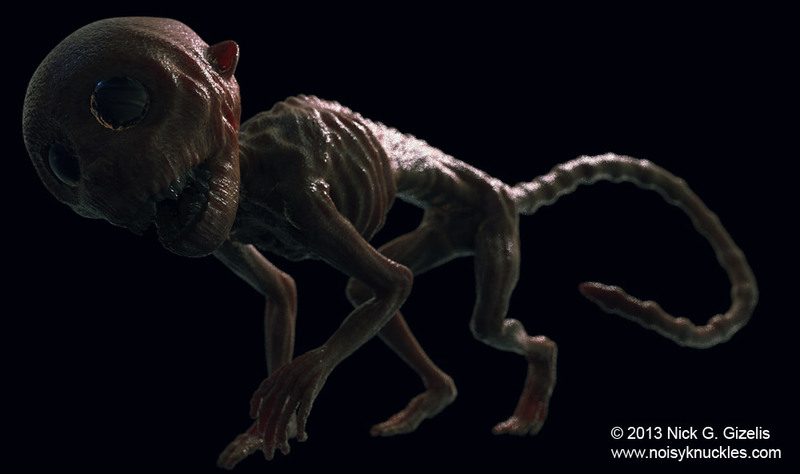 Meet Mr ZZITT! 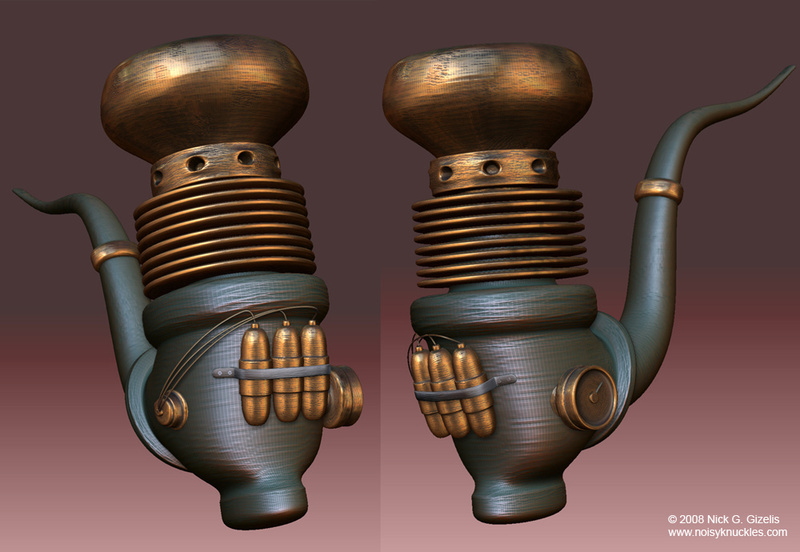 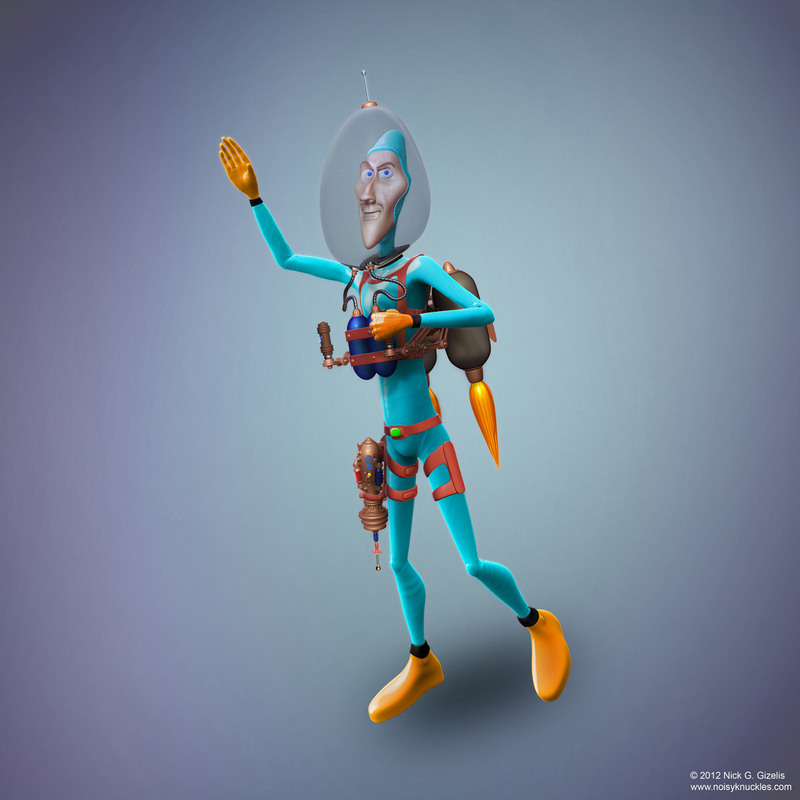 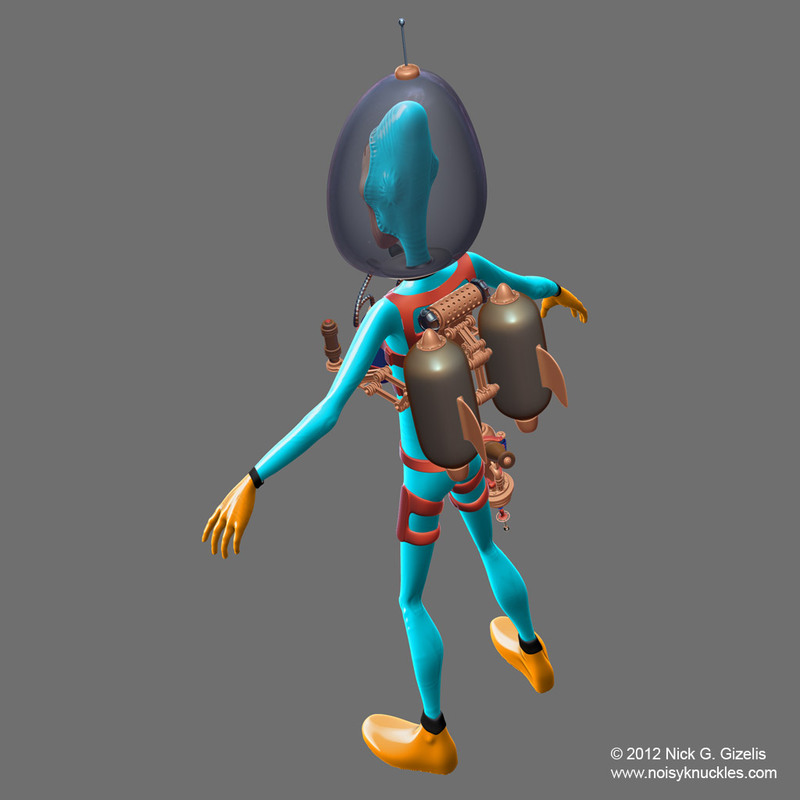 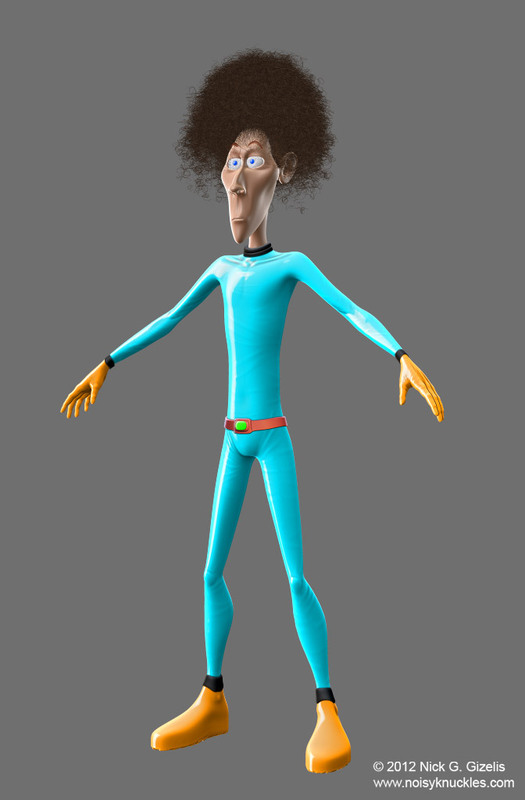 A stylized character I made with Softimage XSI, ZBrush and Photoshop. 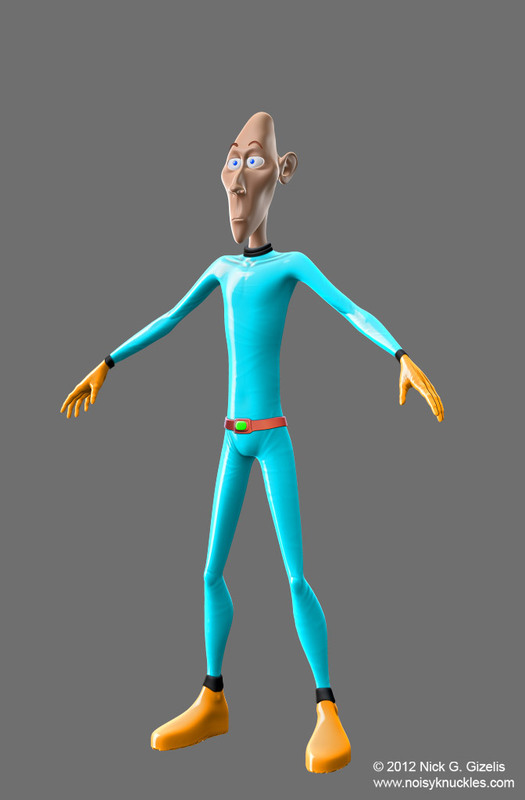 Update - Mr ZZITT got famous! 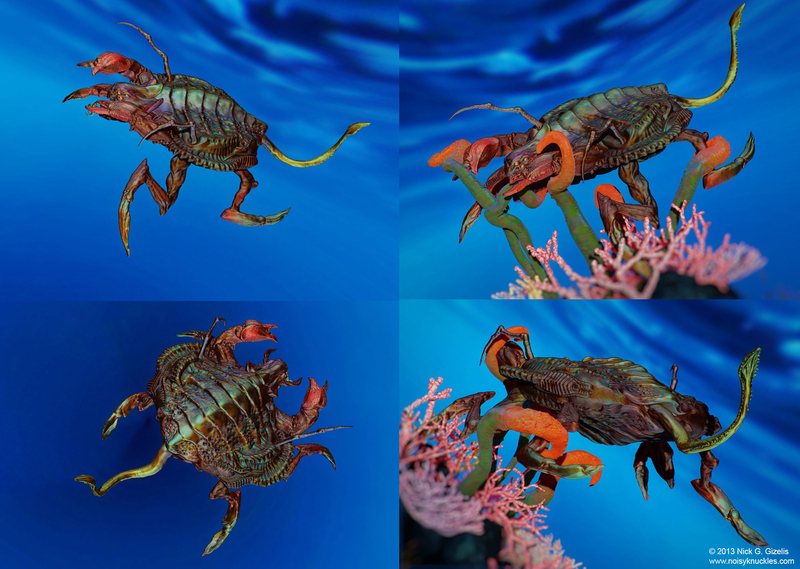 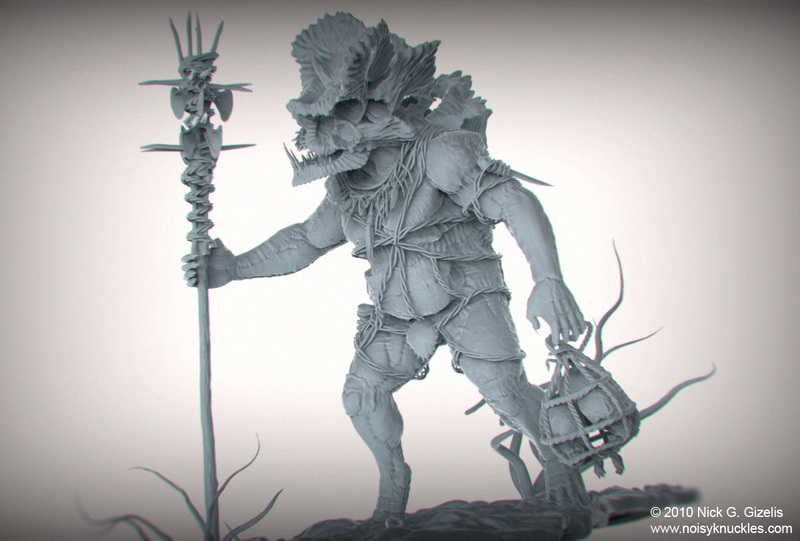 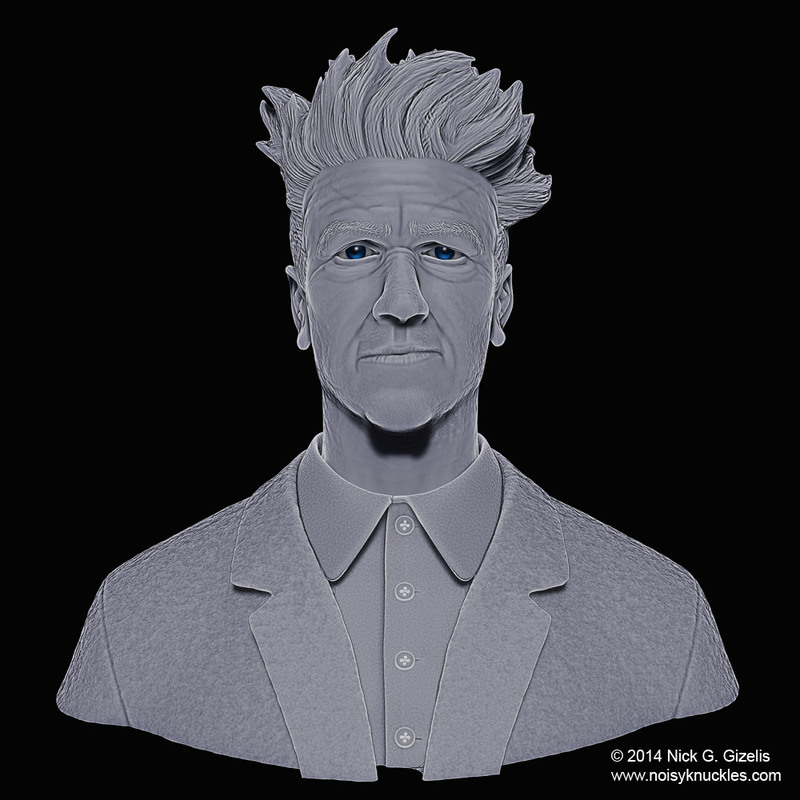 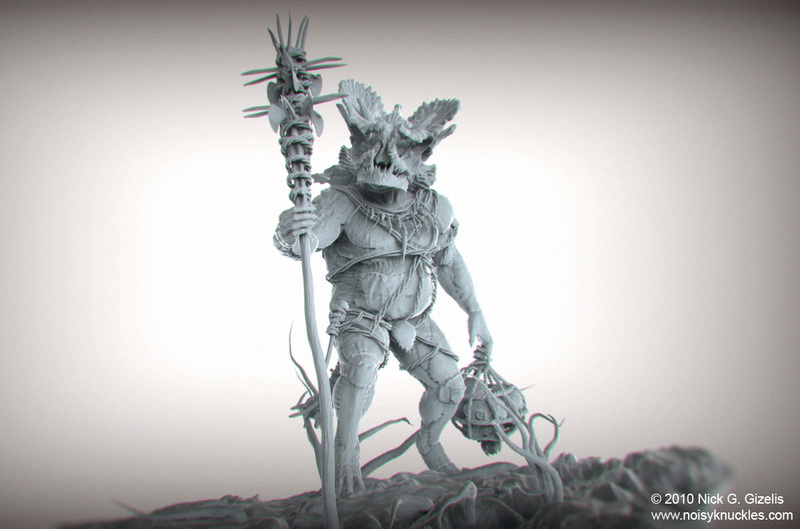 he was lucky enough to be included into Pixologic Turntable Gallery! 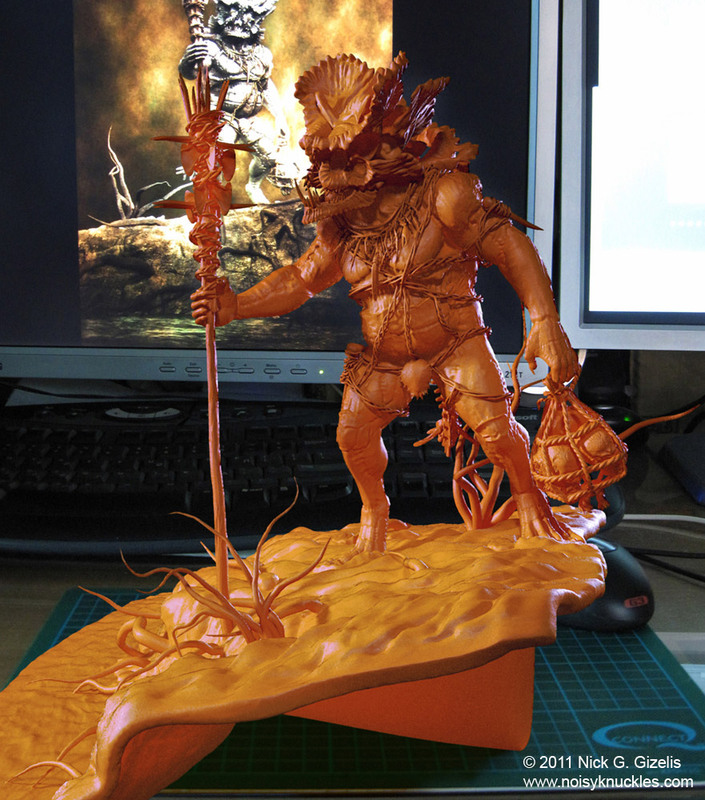 http://www.pixologic.com/turntable/ Thank you Pixologic! 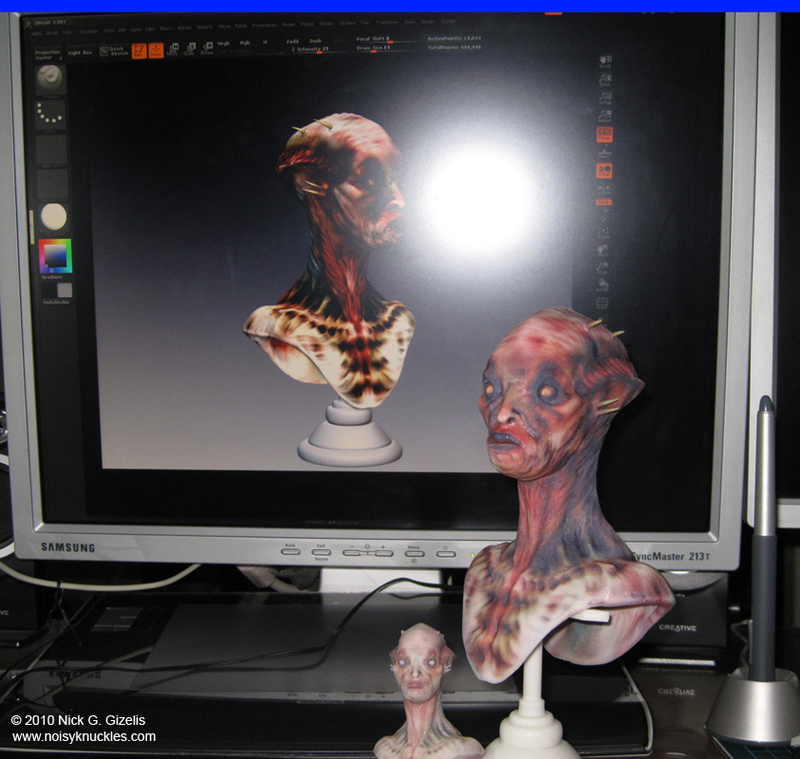 A "zombification" exercise. 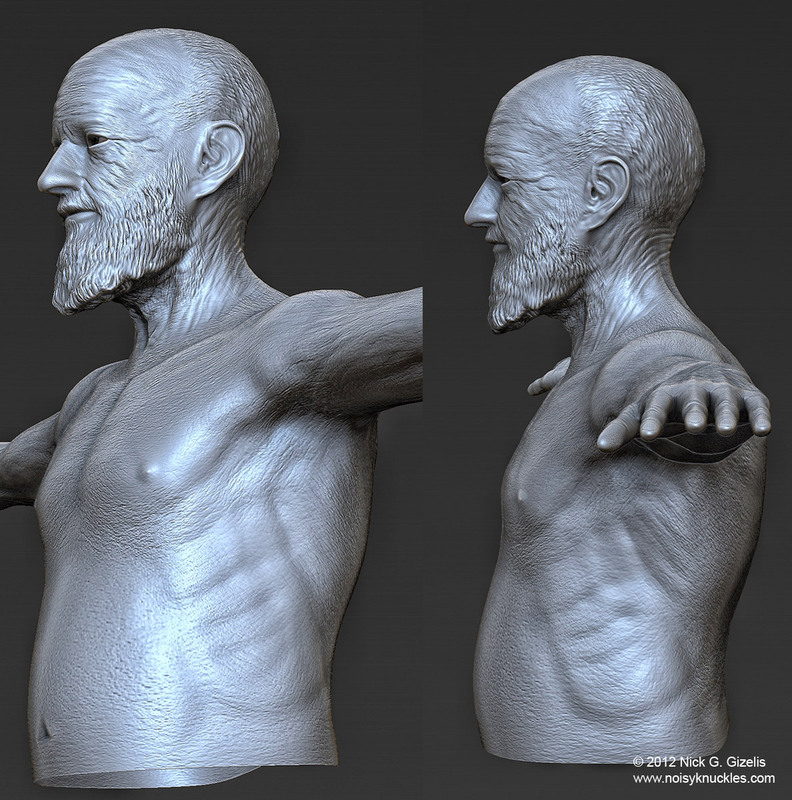 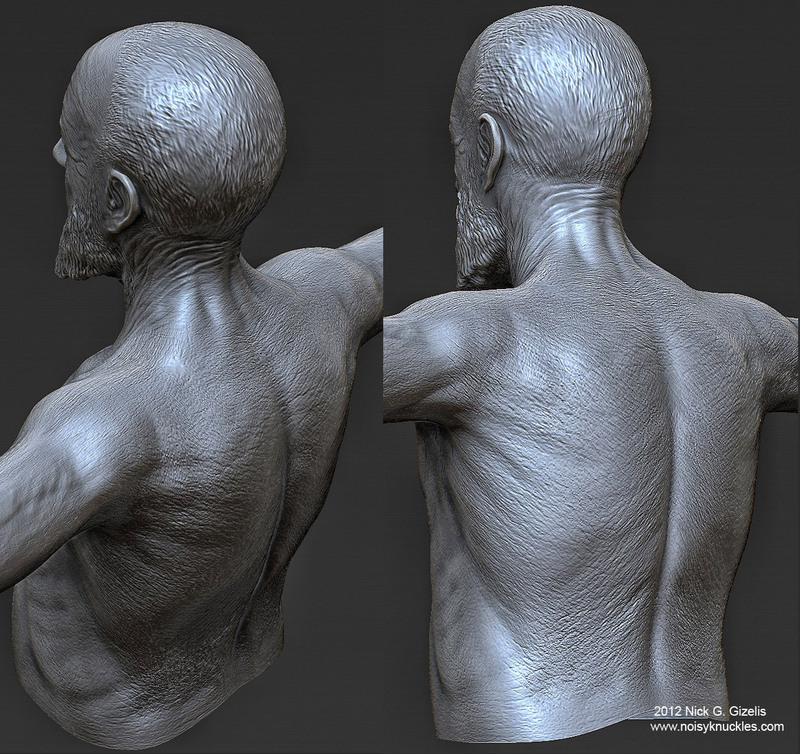 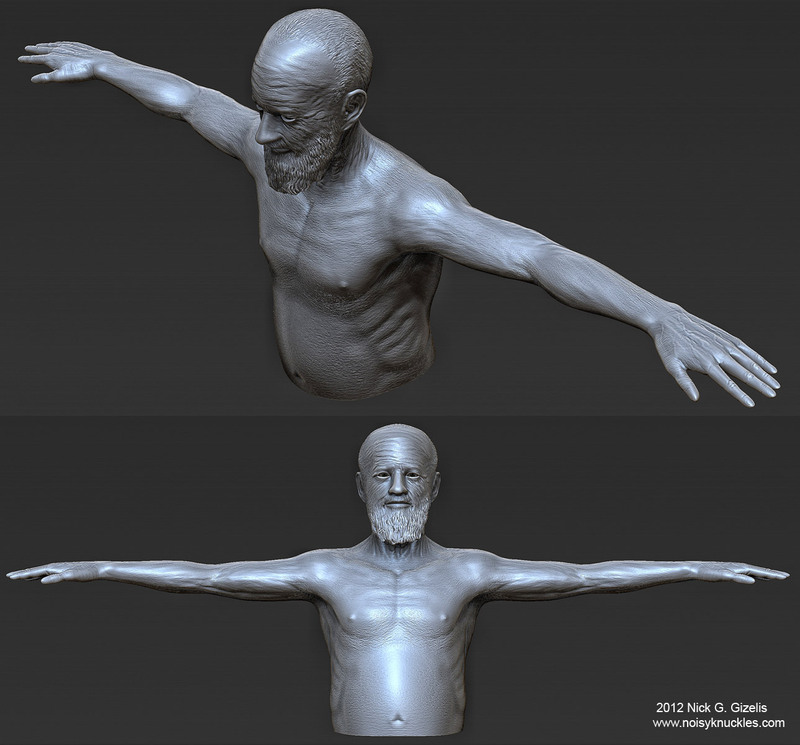 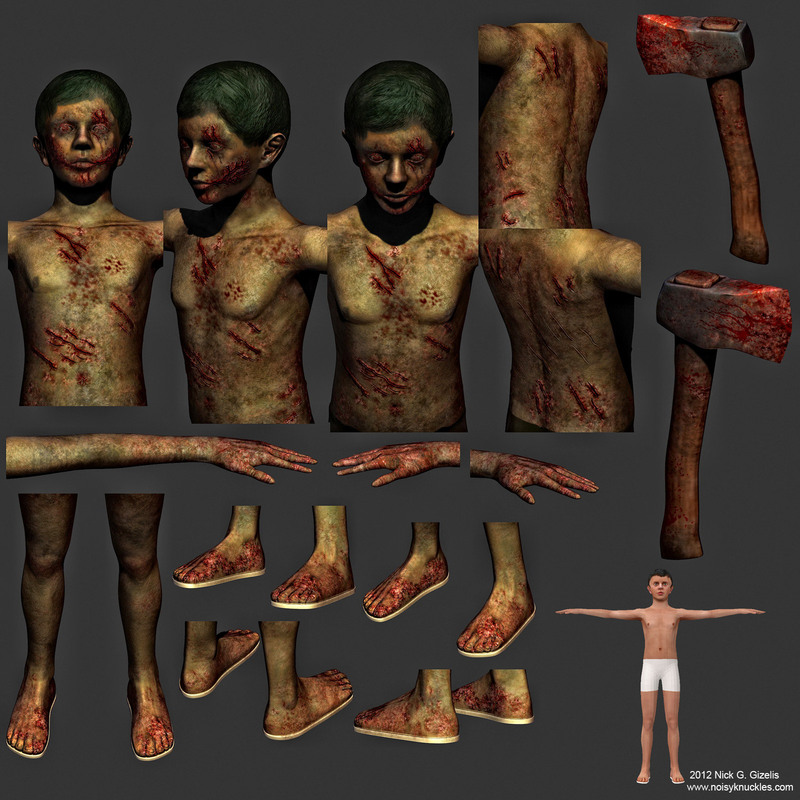 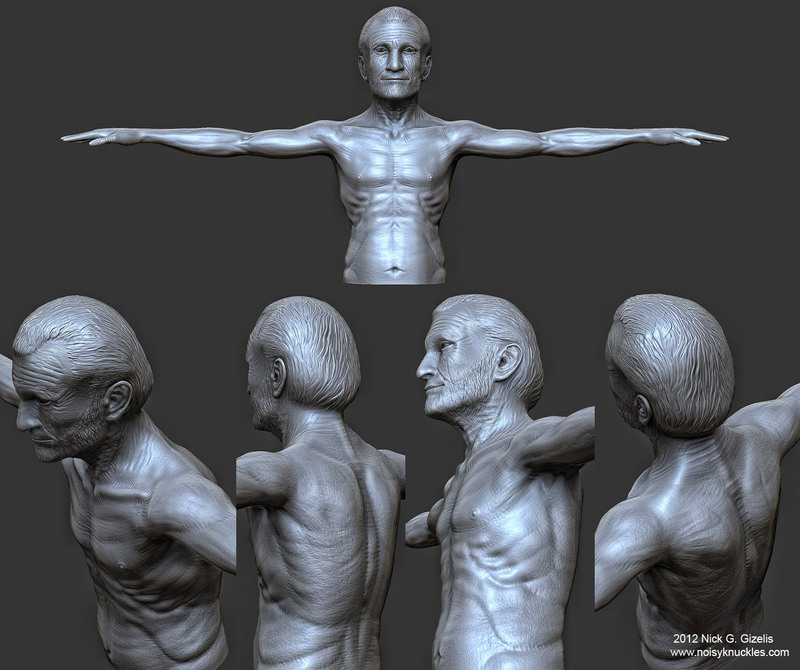 I received a healthy young 3d boy, as a low poly textured model (the one on the low right corner) by a colleague of mine, Andronikos Antonakakis, put the lad into ZBrush and here is the result. 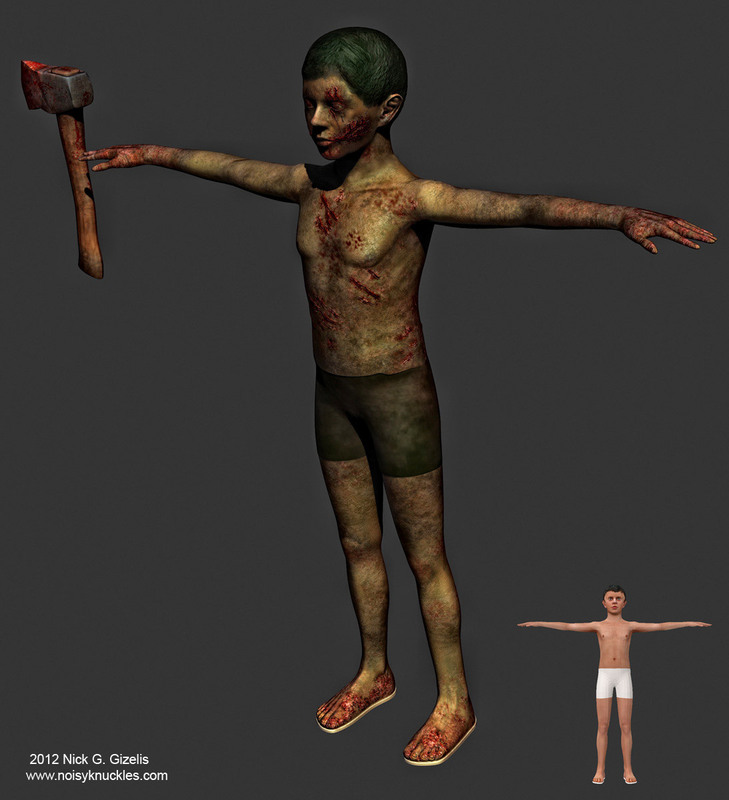 The realtime version of the zombie boy. 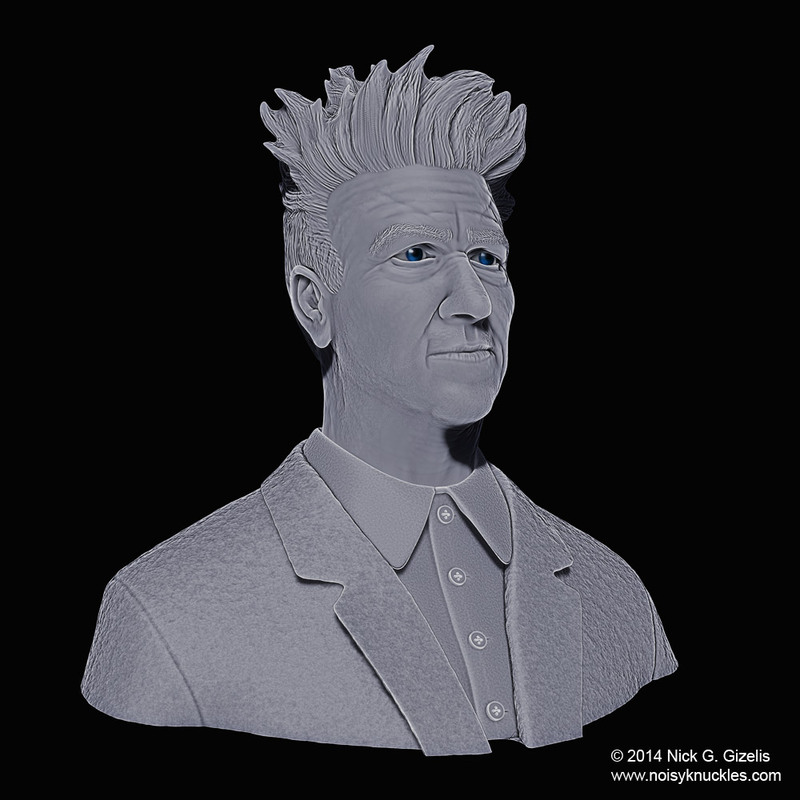 A bust I made using as reference photos of a sculpture made by Aris Kolokontes, http://www.myspace.com/boularis, an artist whose work I admire. 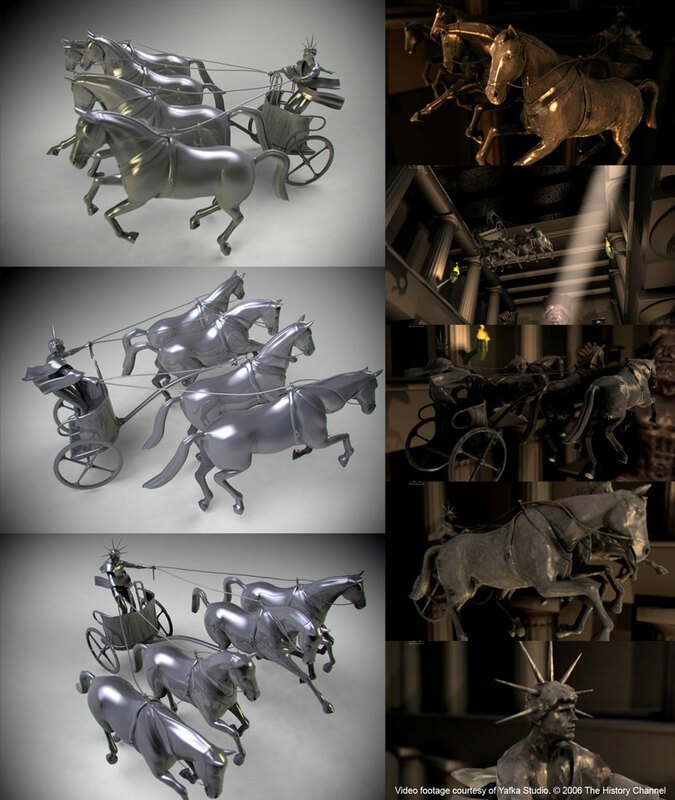 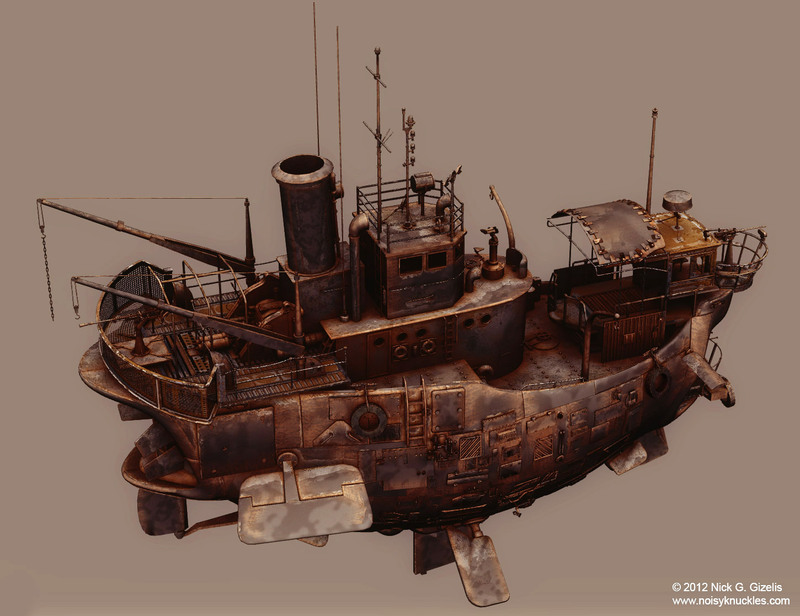 A revision on my submission to CGTalk's Steampunk Myths and Legends Challenge. 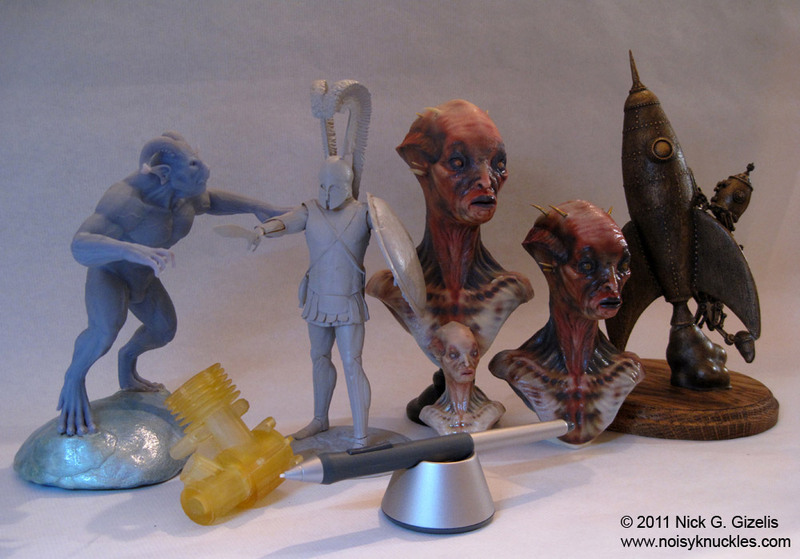 "Family photos" of my 3d prints collection so far, from 1993 till now, 2011. 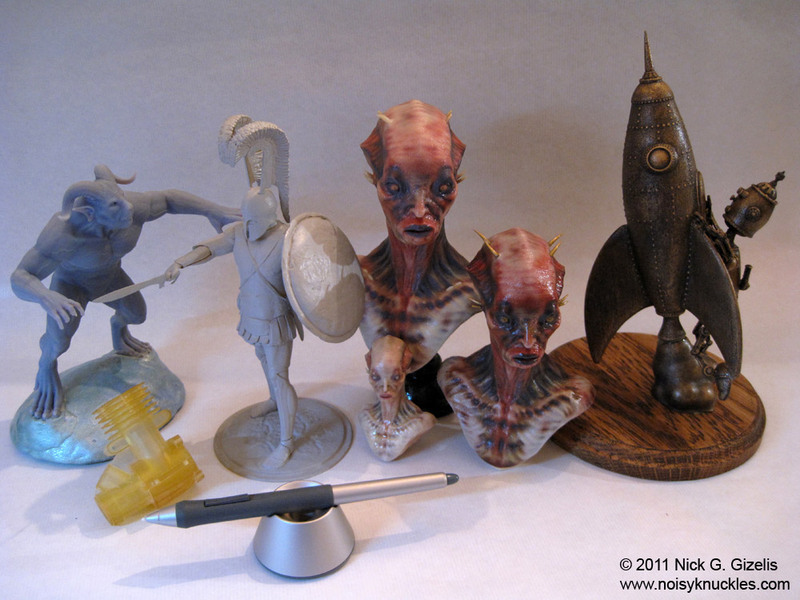 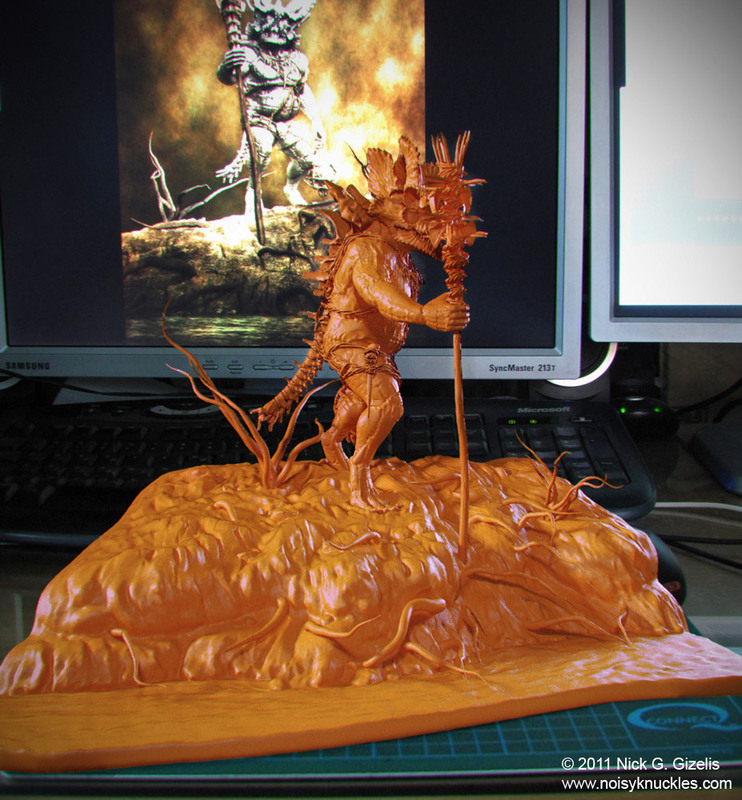 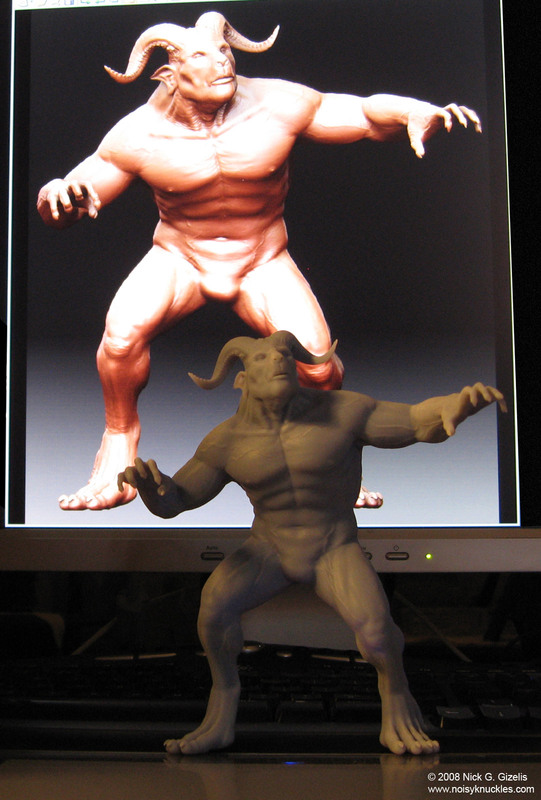 My first 3dprint for a character, using my Demon model, done with the help of Growit3D company. 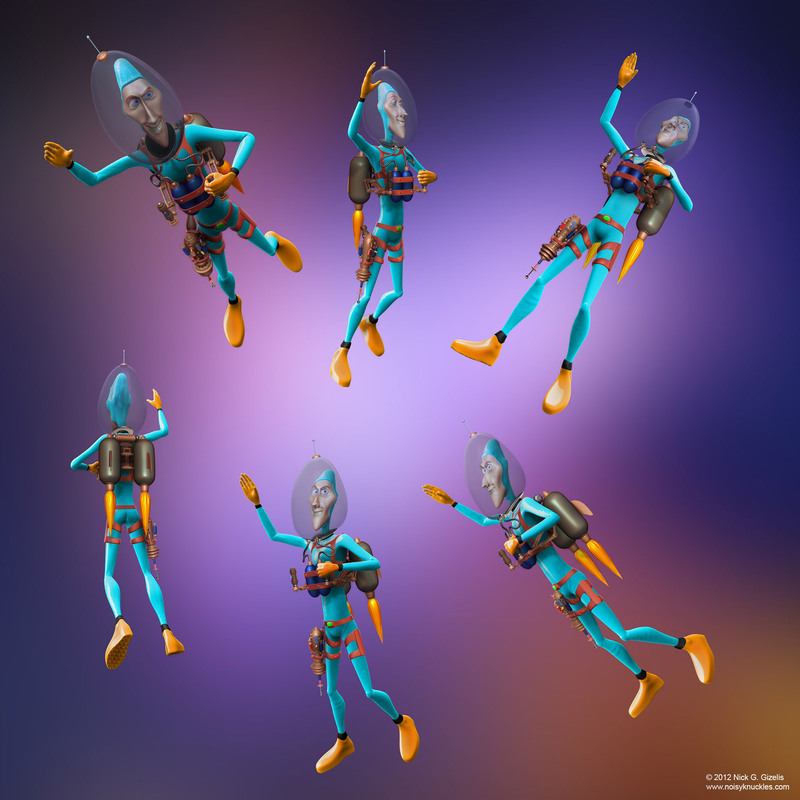 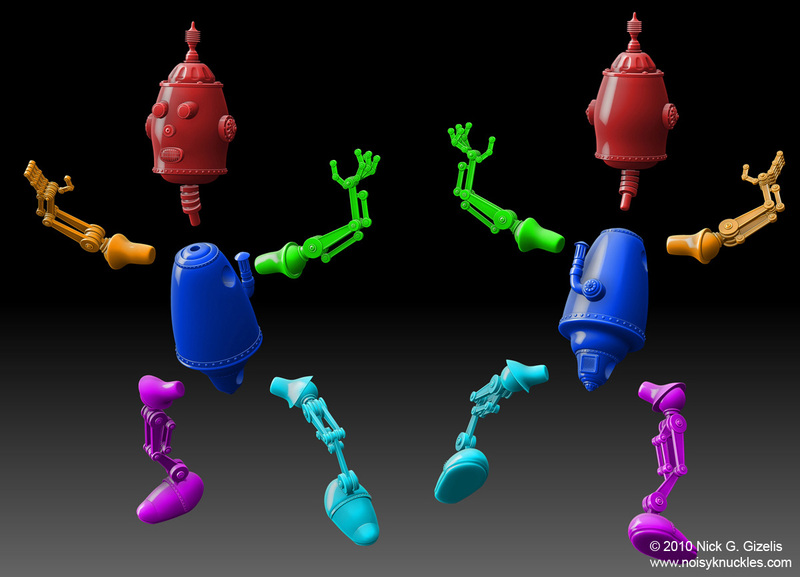 The renders show some skin variations of the character. 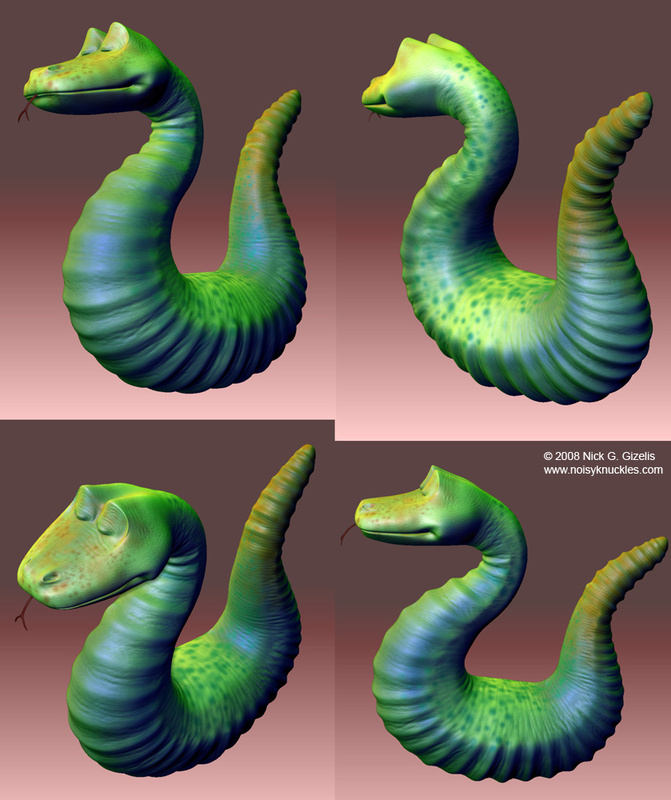 A cartoon model of a doctor and his pet rattle snake. 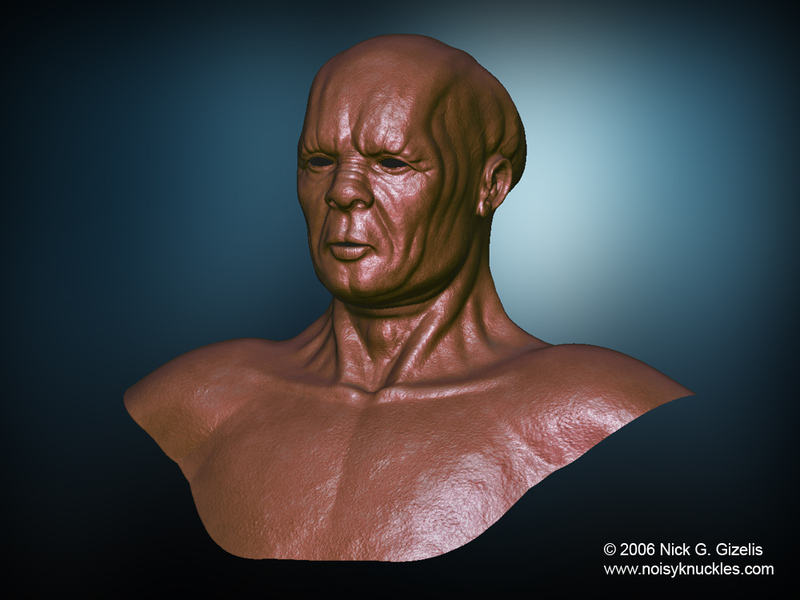 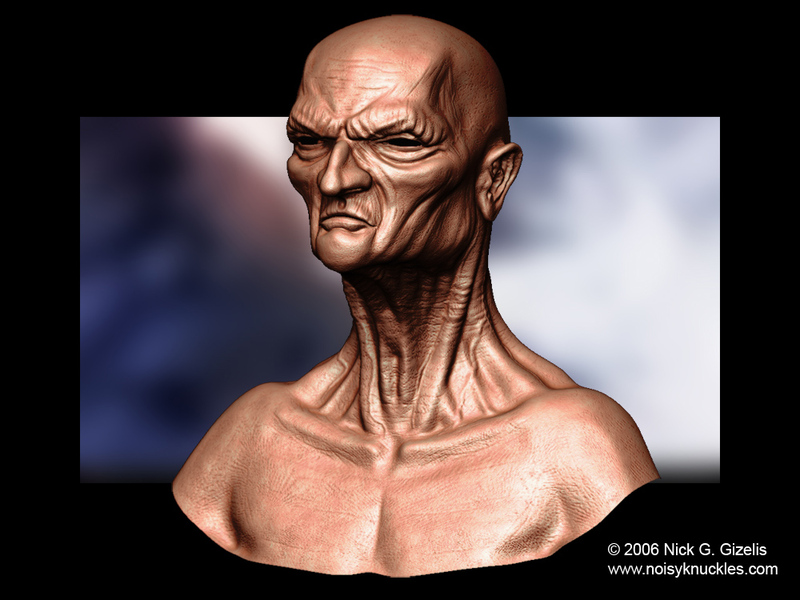 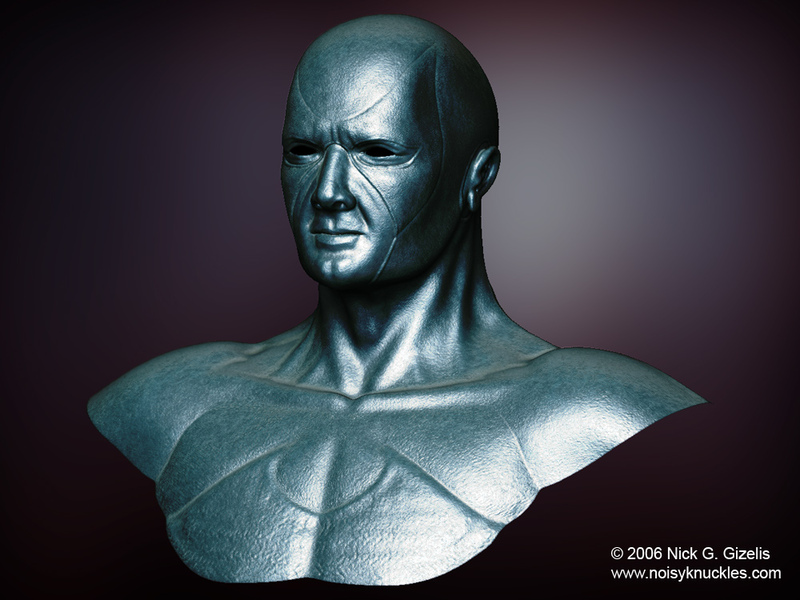 Softimage XSI for base models and posing and ZBrush for painting and rendering. 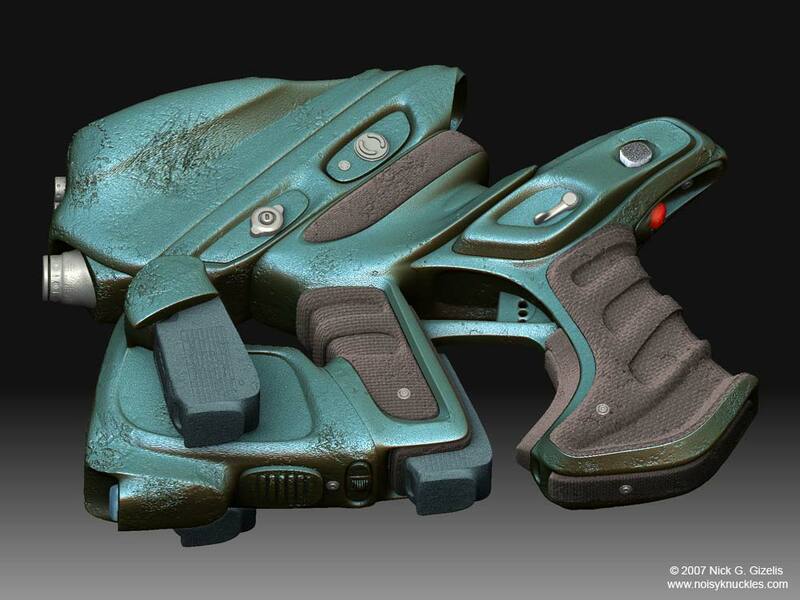 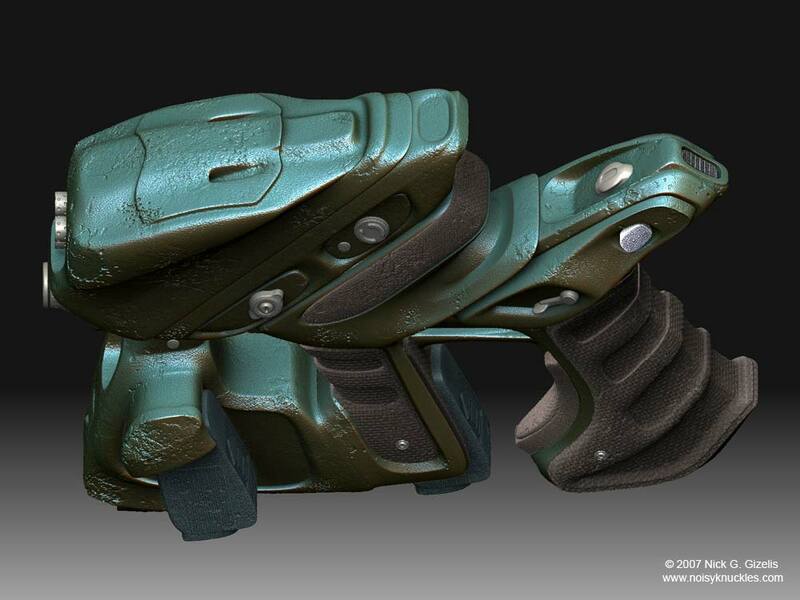 A 3d concept for a battle weathered futuristic handgun. 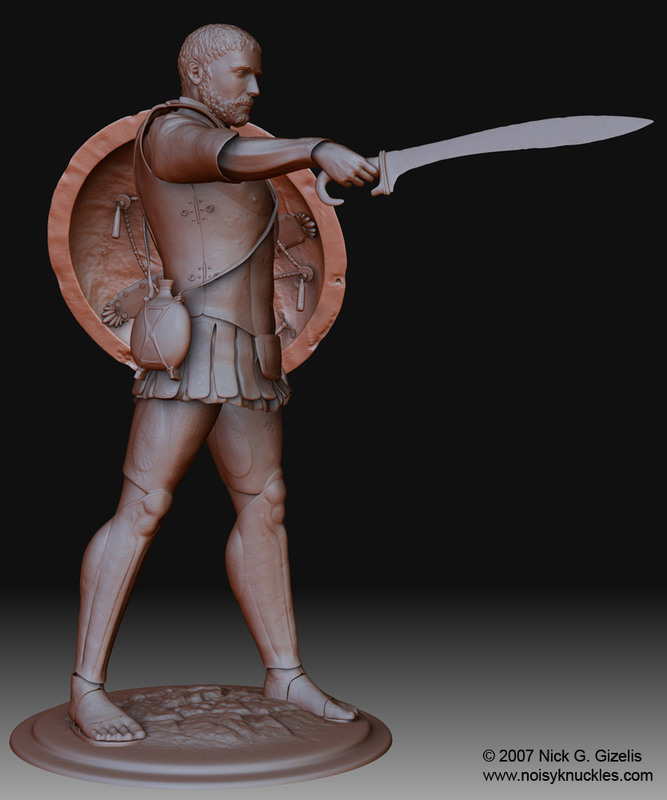 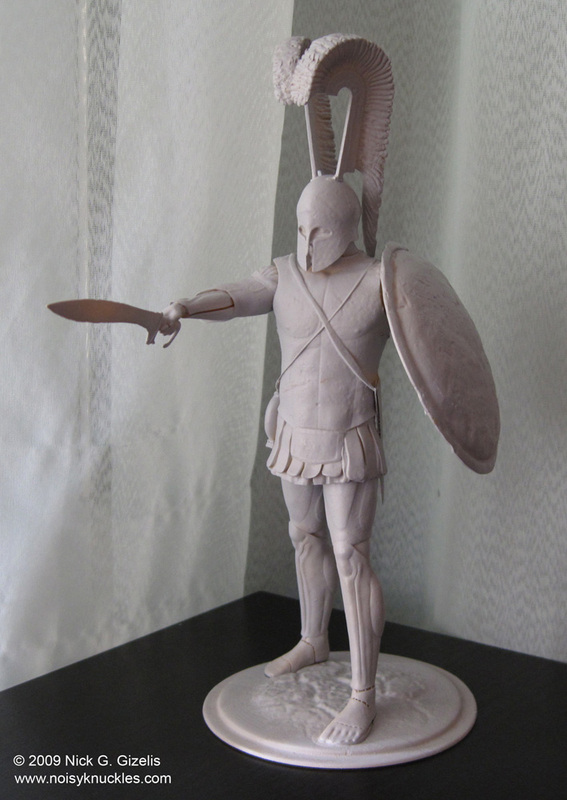 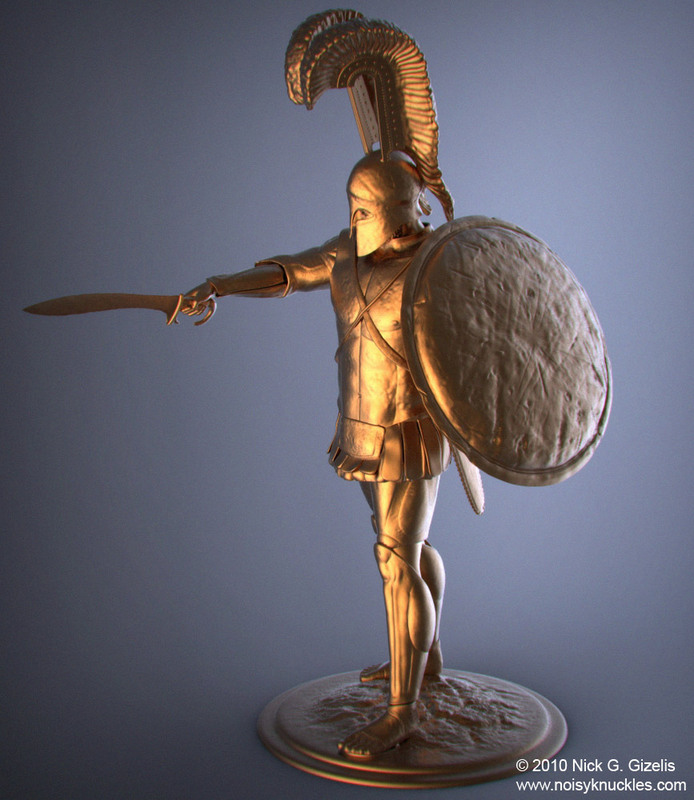 An ancient greek hoplite soldier in heavy armour, about 5th century B.C. 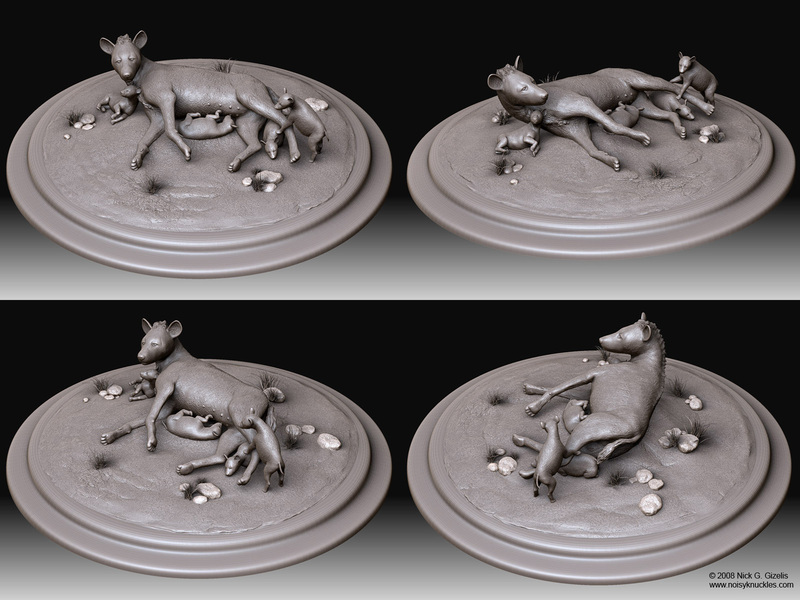 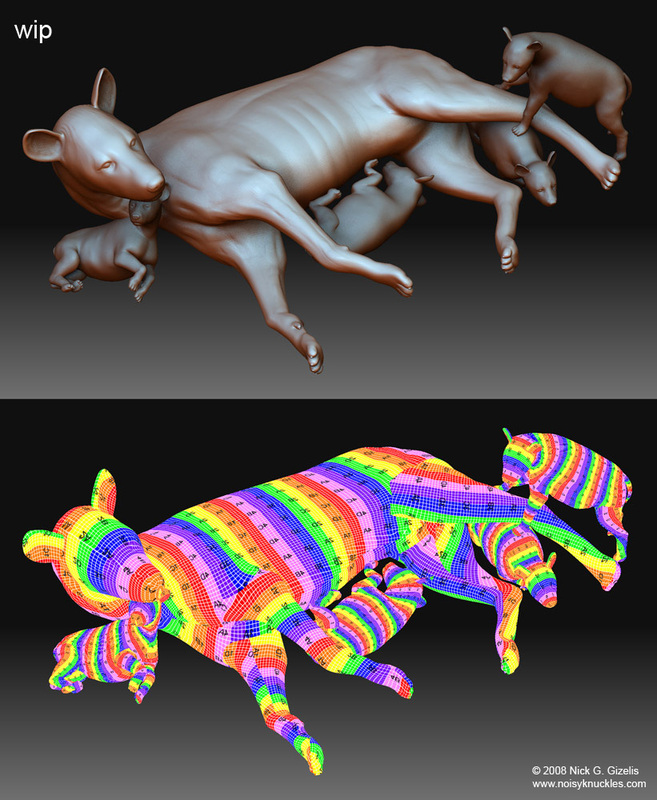 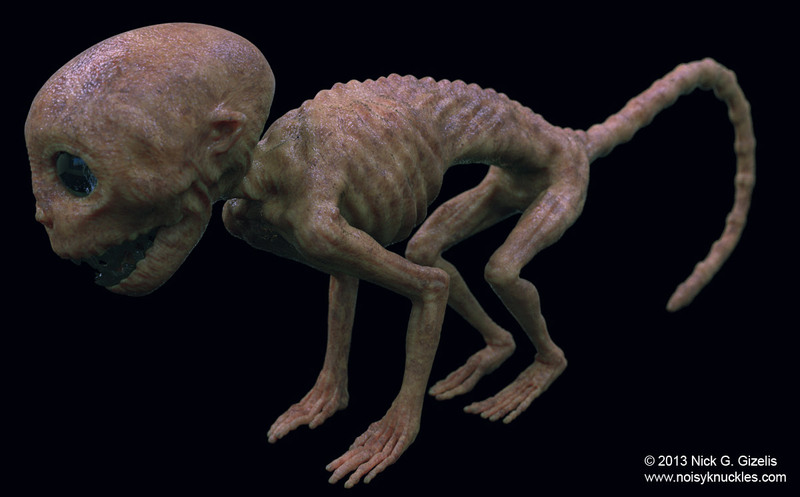 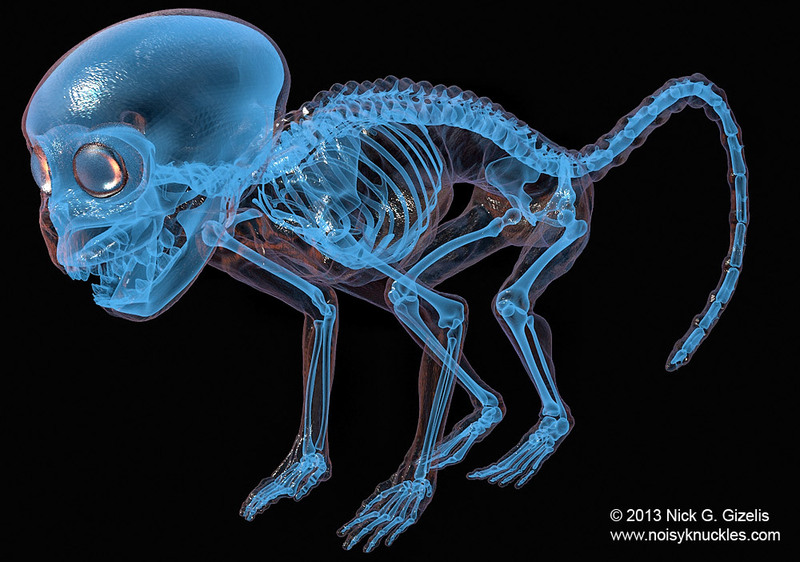 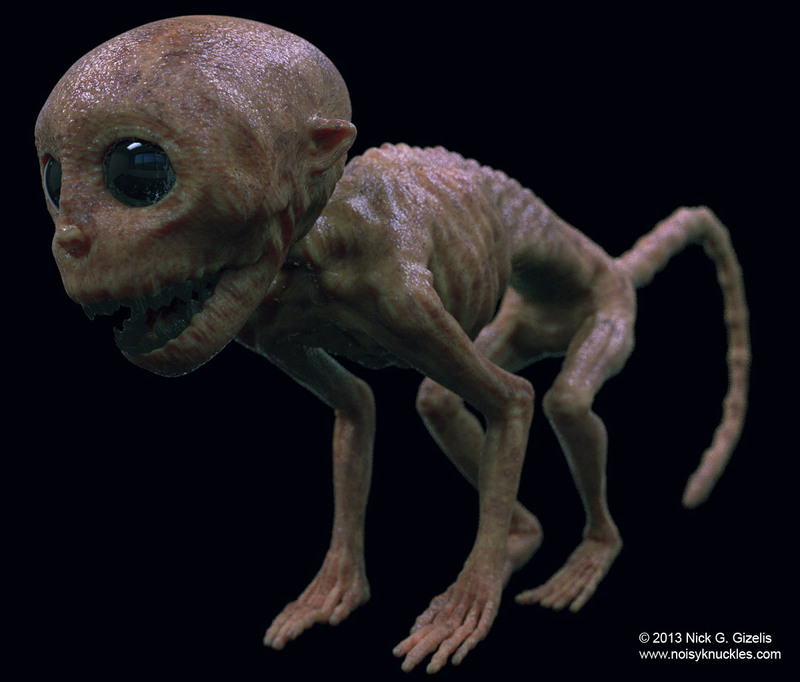 Some rework on my submission for 3D Sculpting Workshop - Animal in Repose of CGTalk. 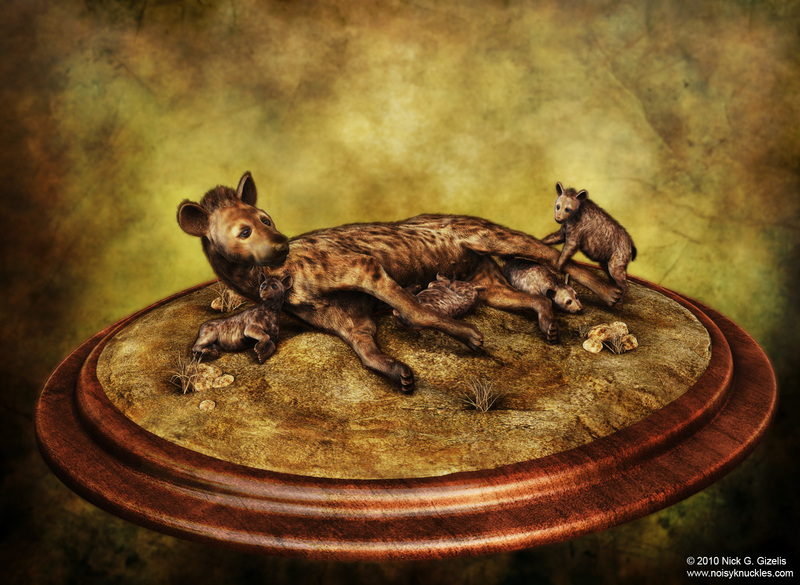 A spotted hyena with her cubs. 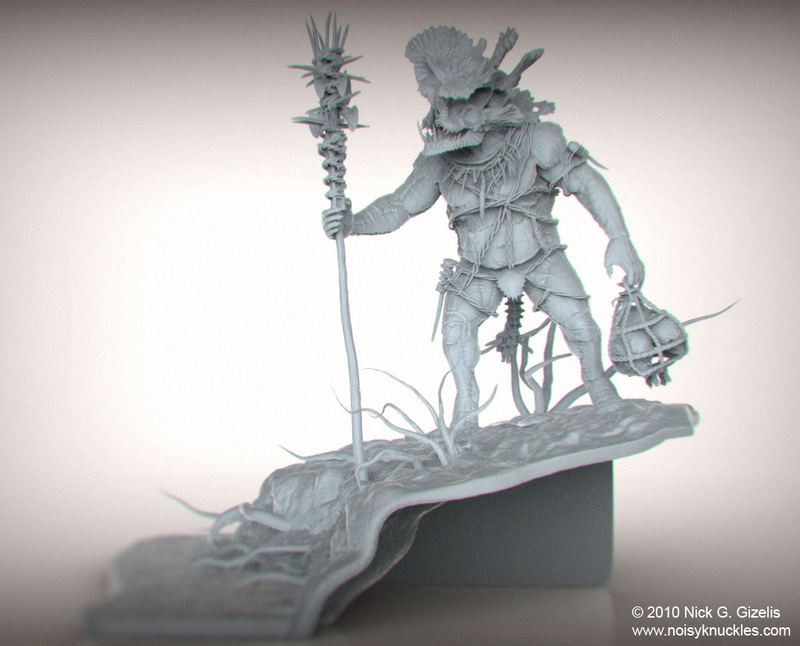 Mutants of the temple renders. 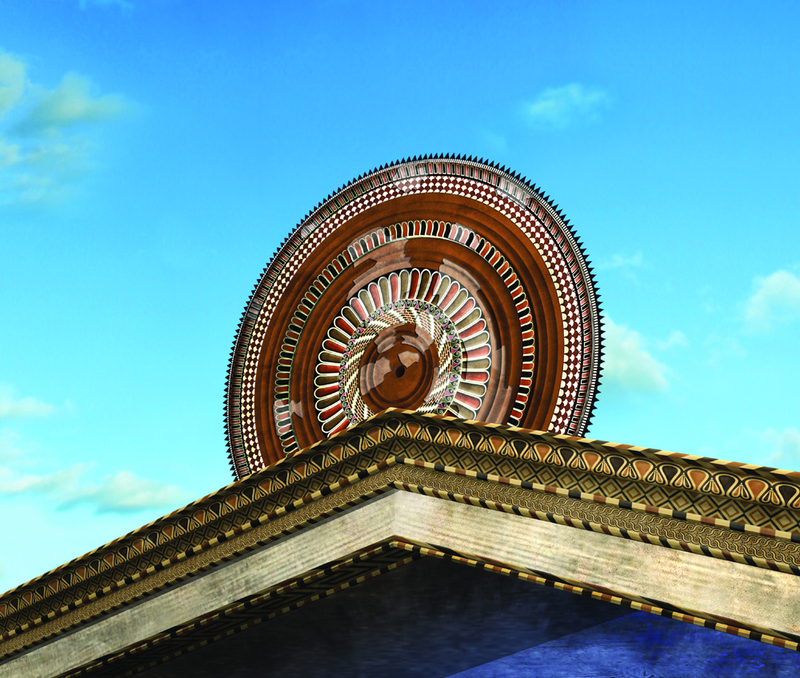 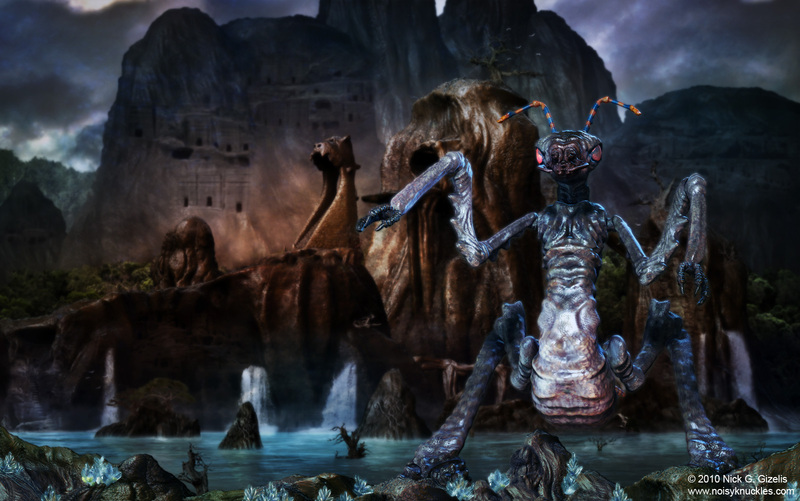 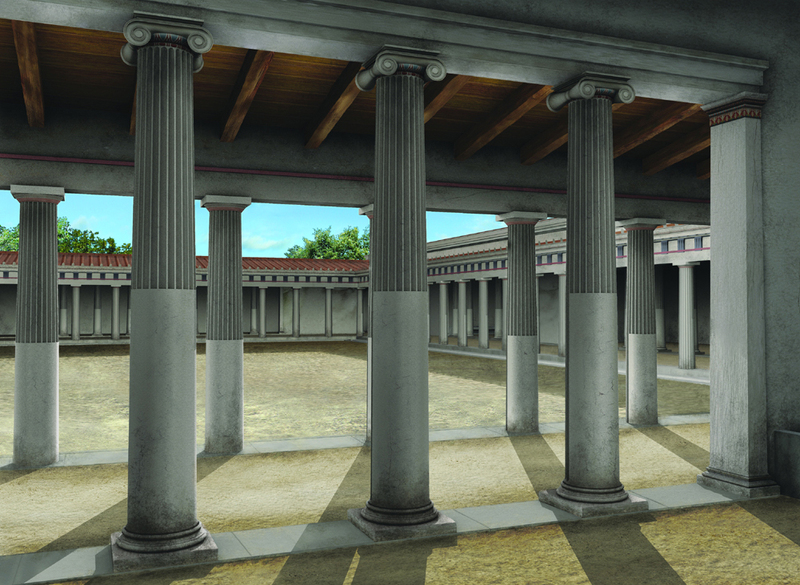 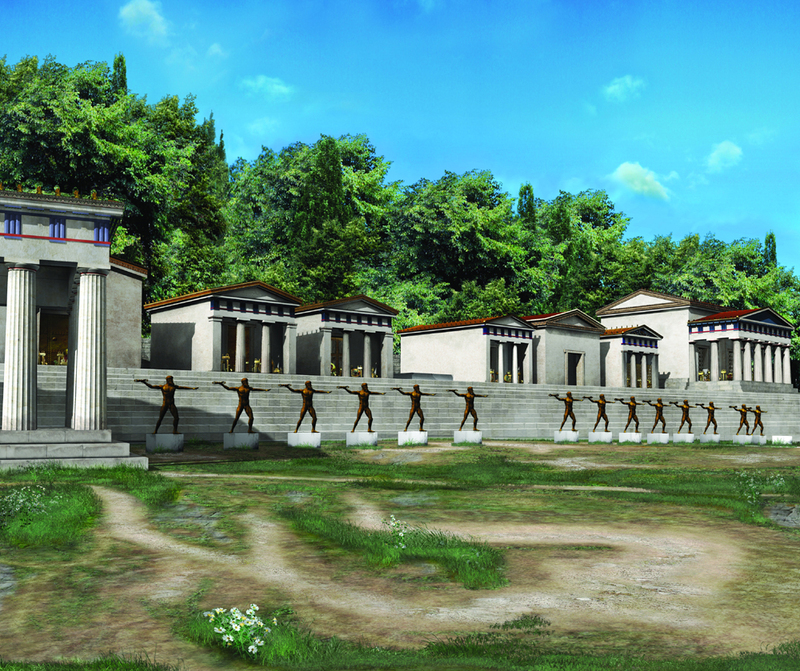 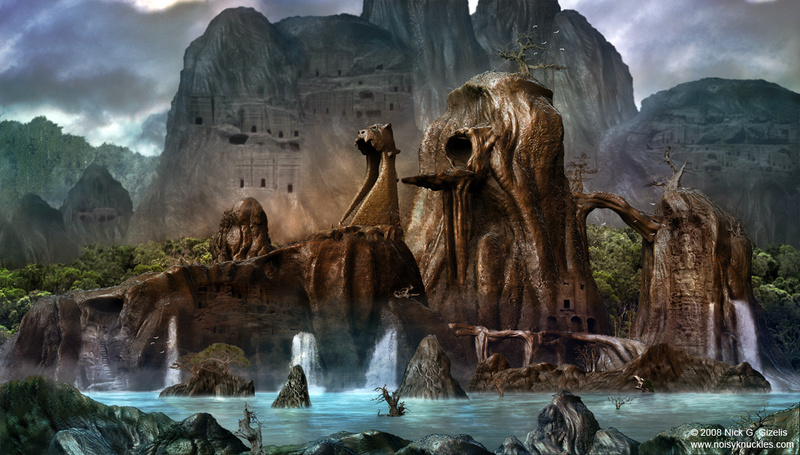 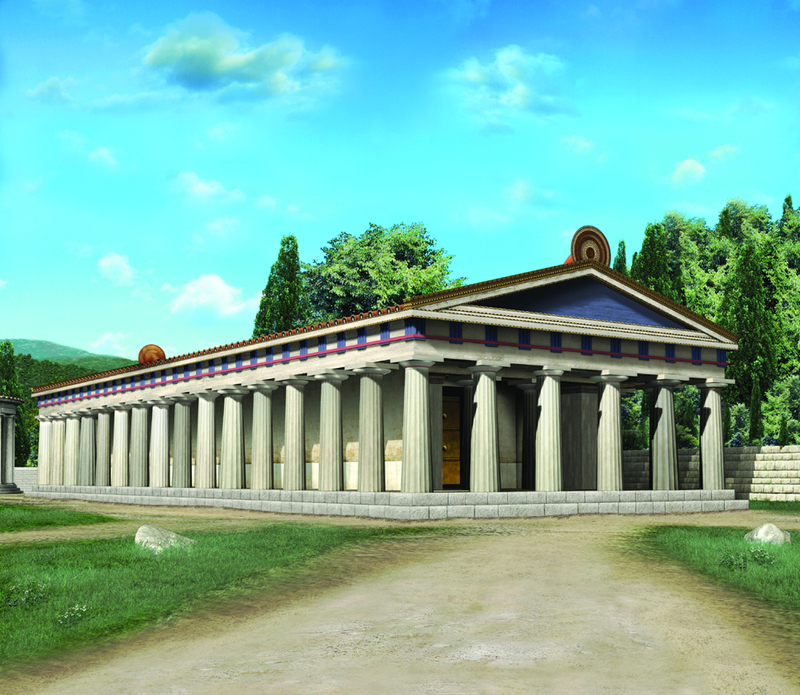 Work for a personal project on a matte painting with 3d, 2d and photo elements. 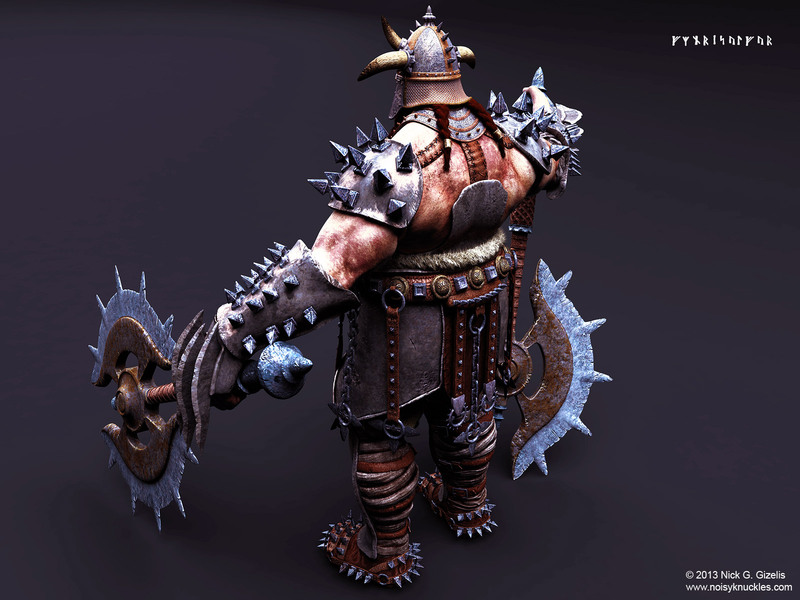 My submission to CGSculpt.org's Battle Boss Challenge. 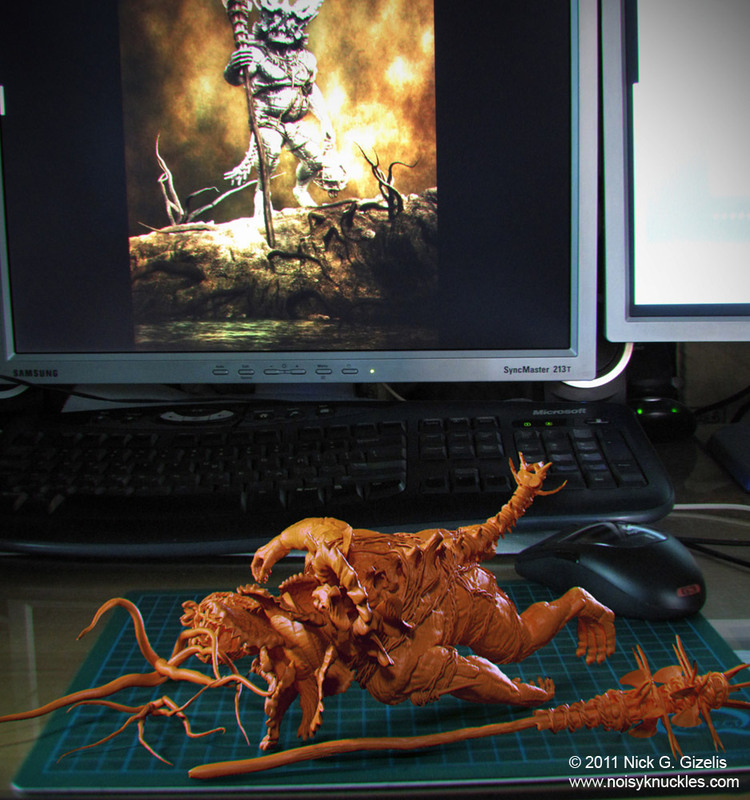 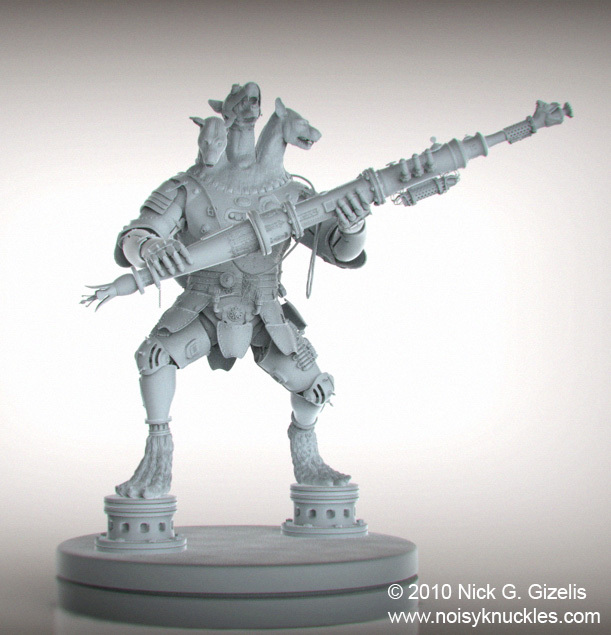 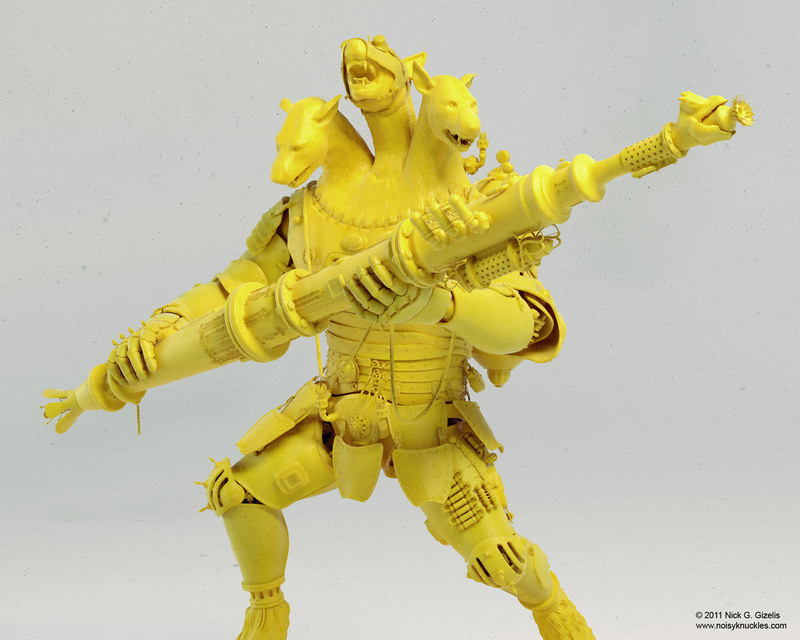 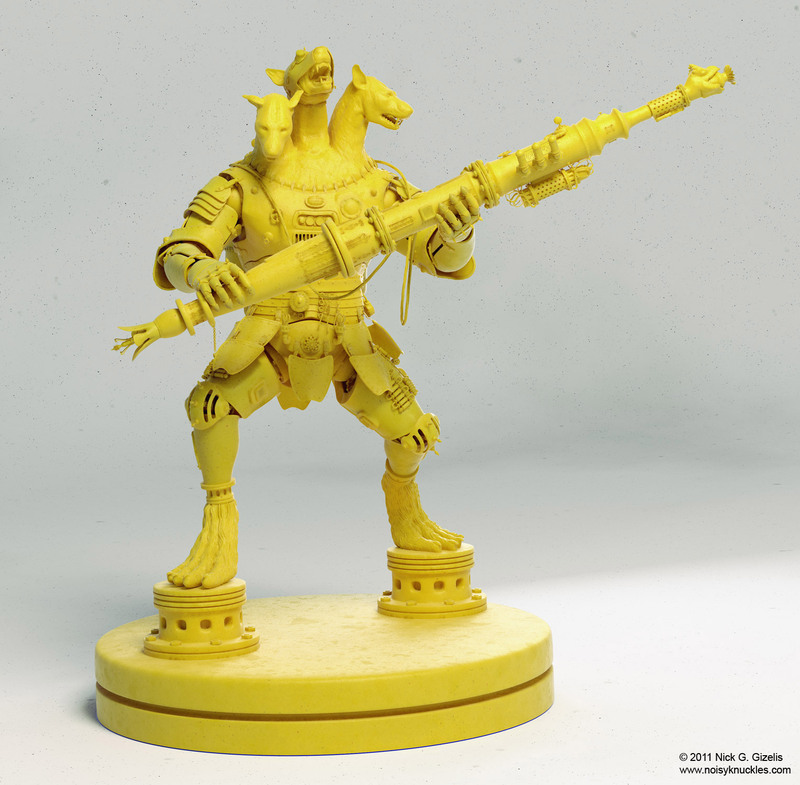 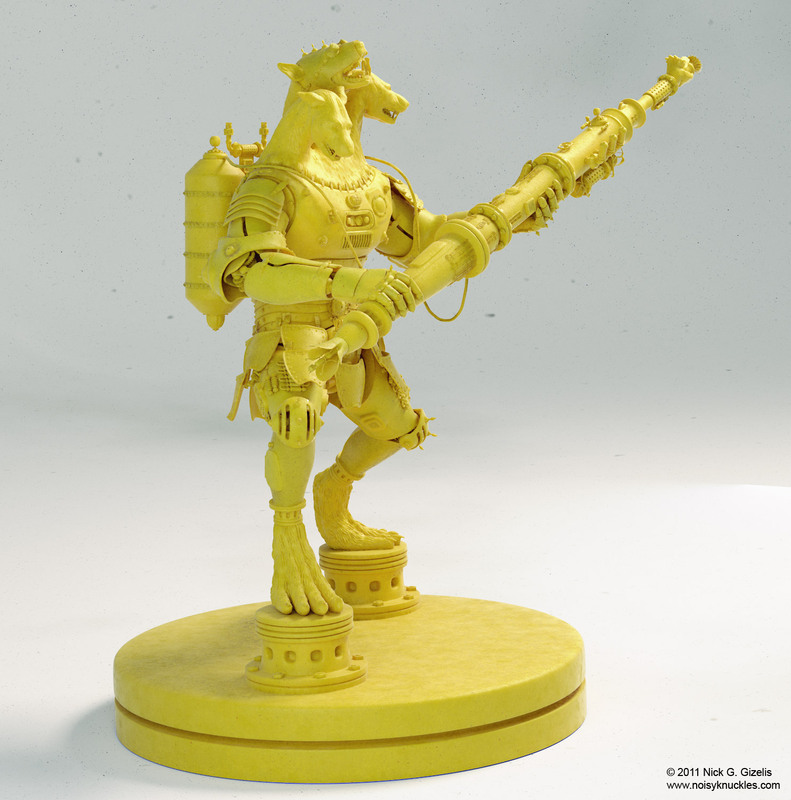 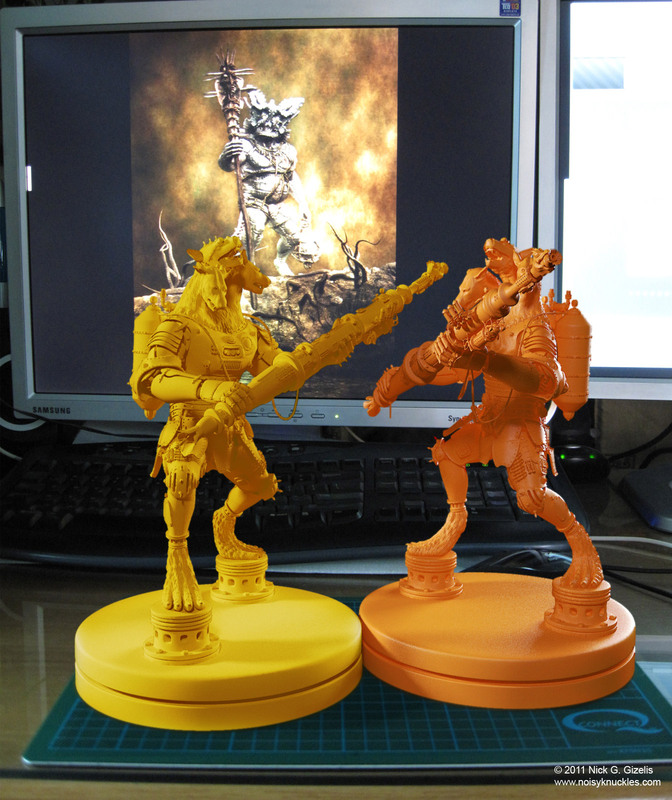 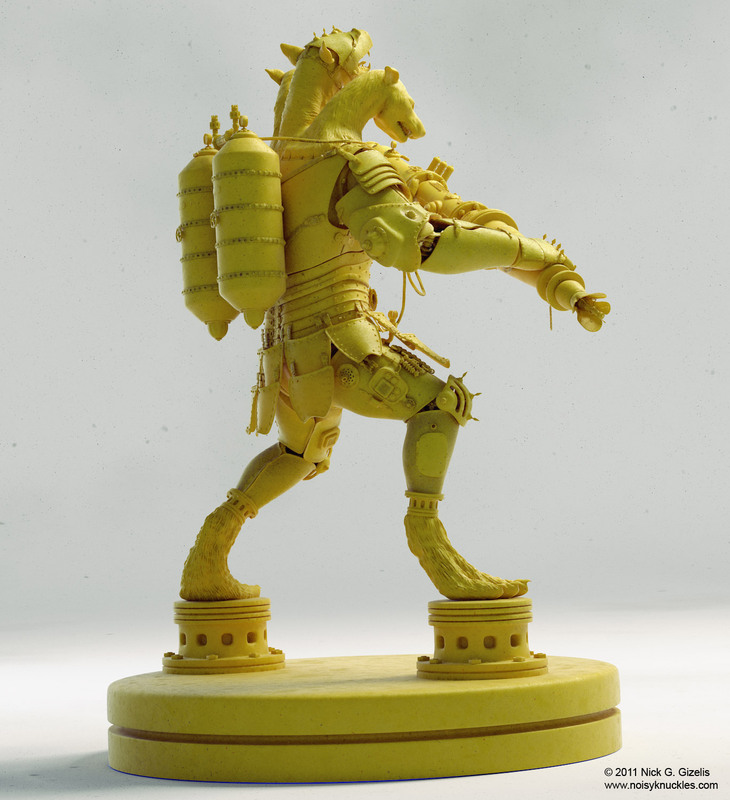 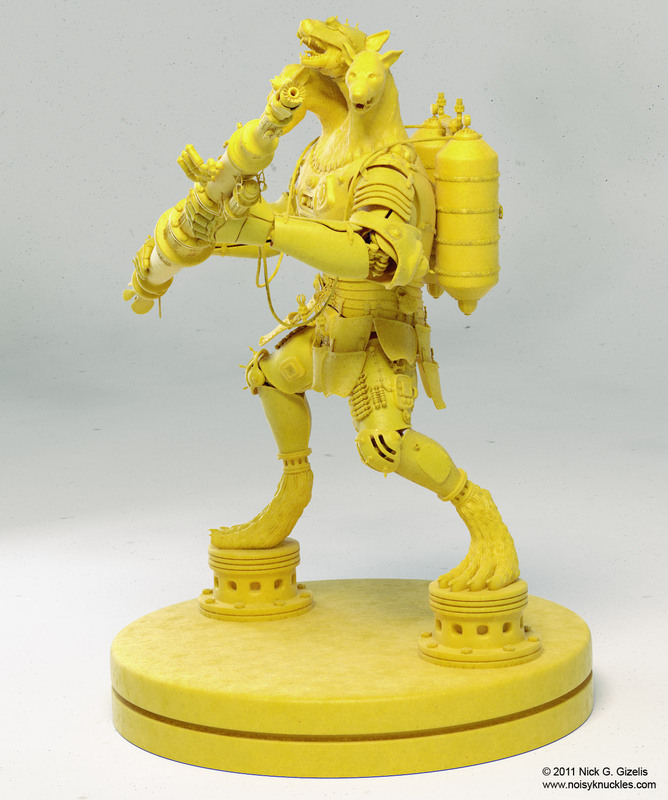 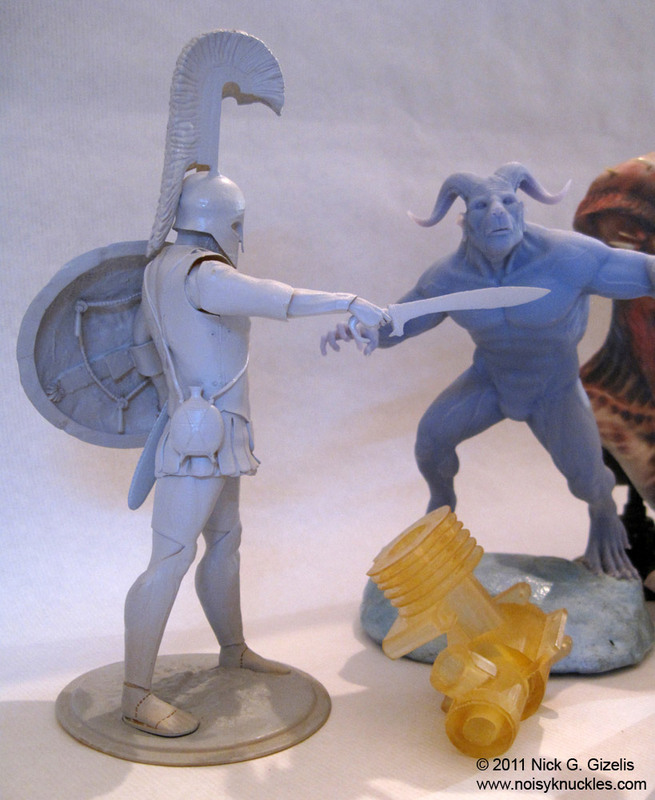 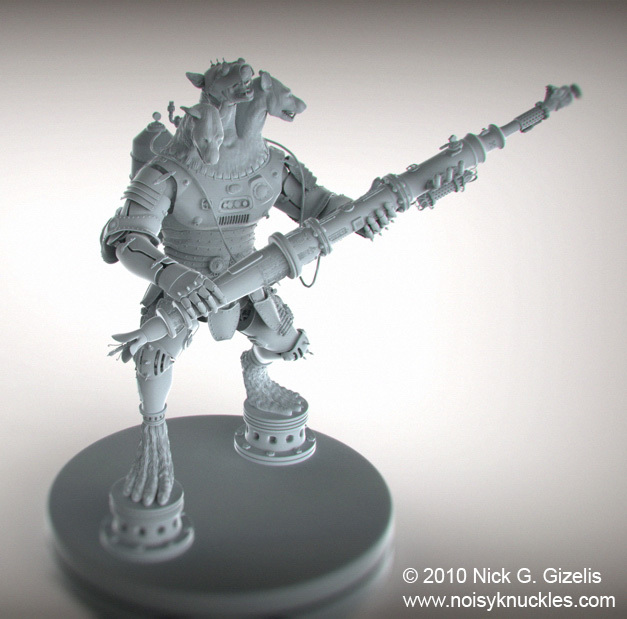 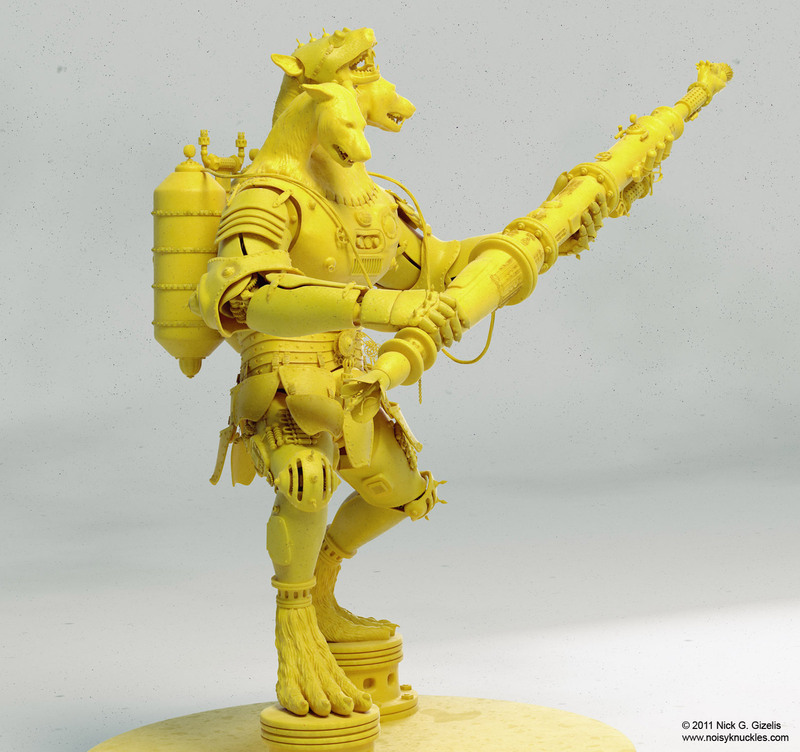 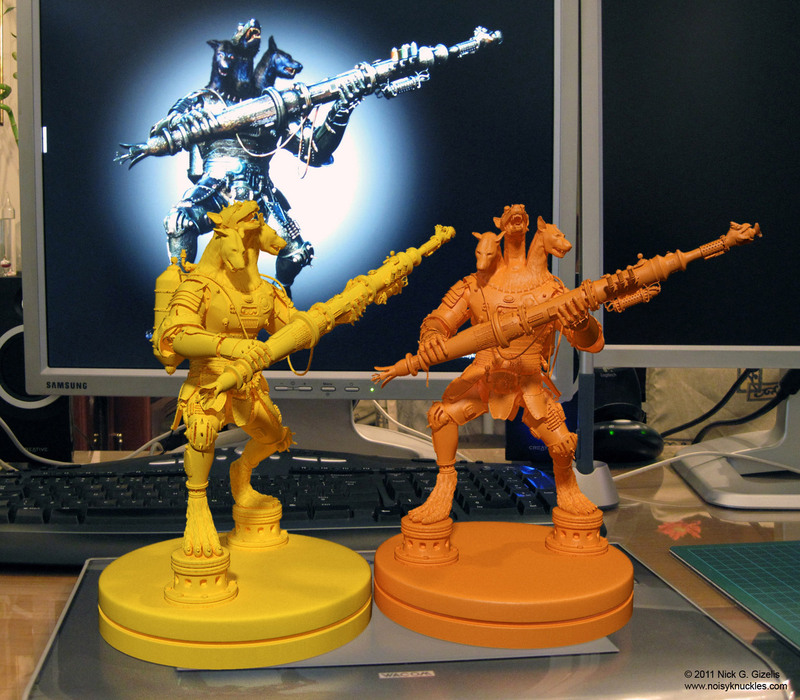 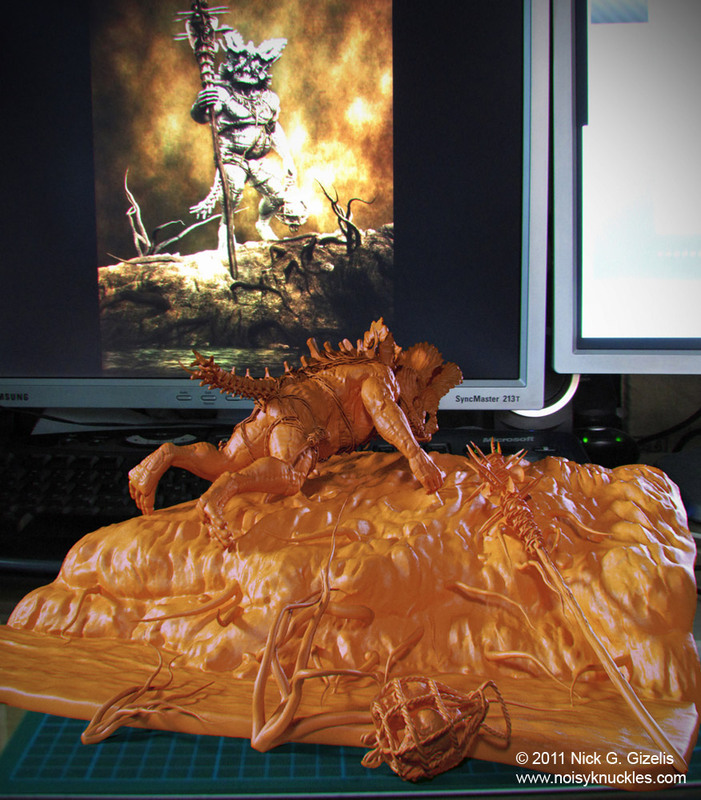 The aim of the challenge was to sculpt a 3dprint - ready Battle Boss character. 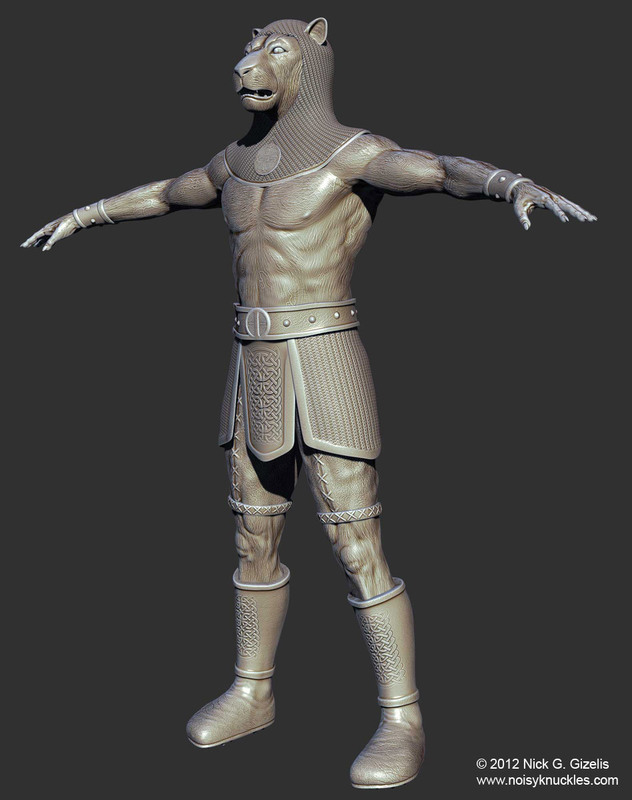 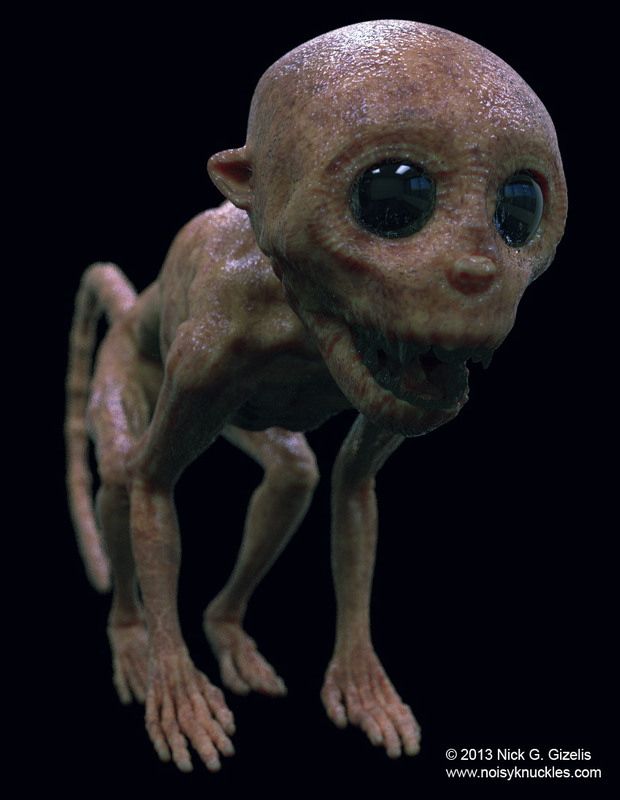 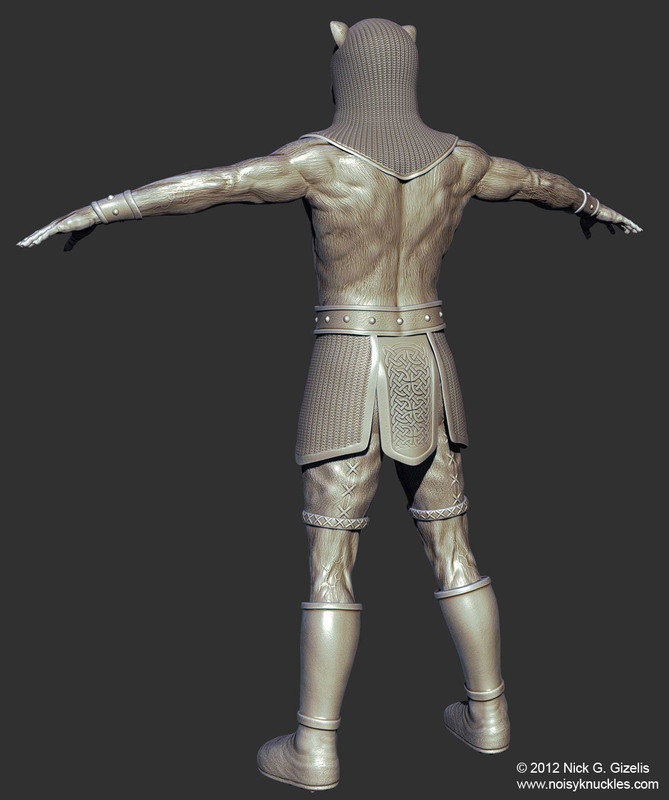 Only sculpt was needed, no textures or UVs. 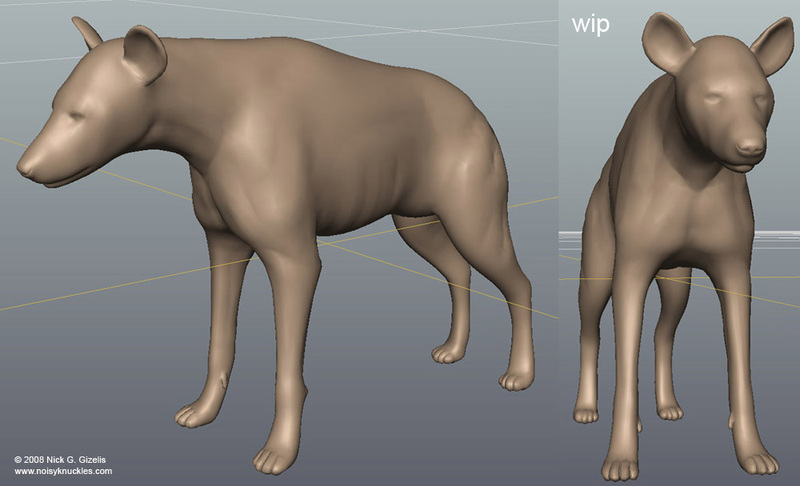 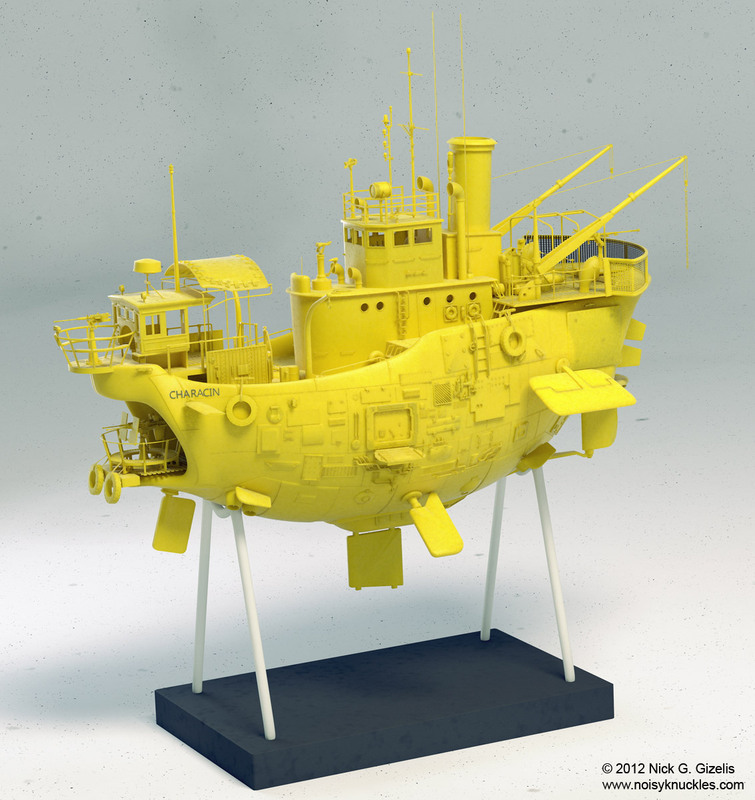 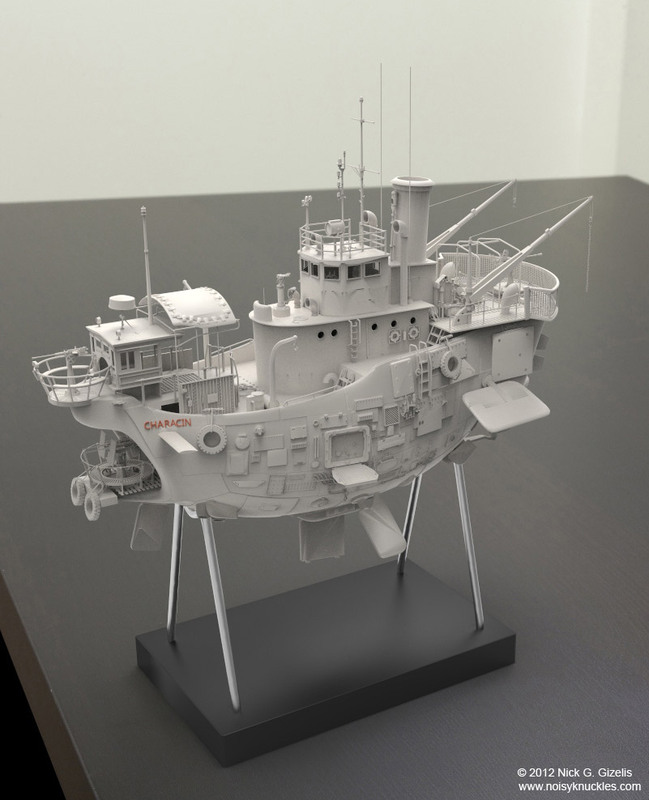 The model is ready for 3d print. 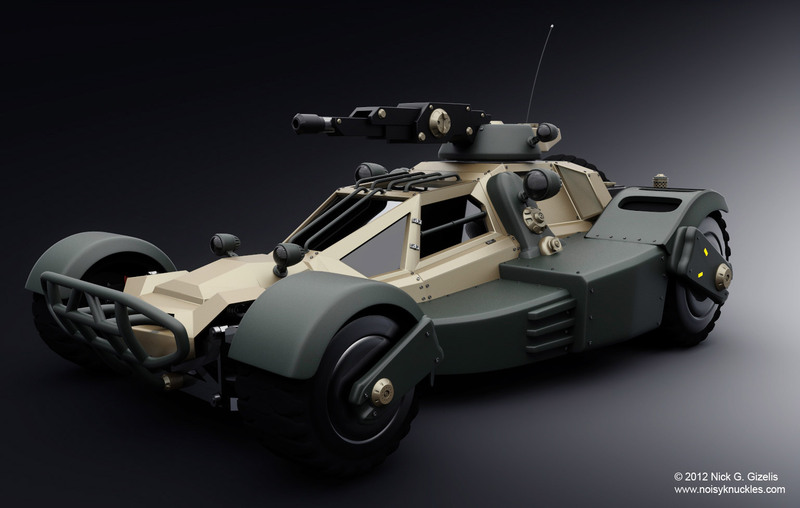 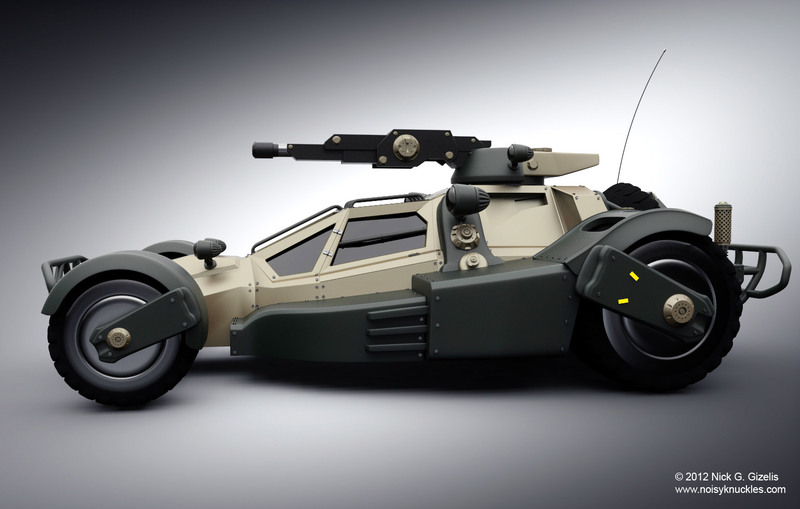 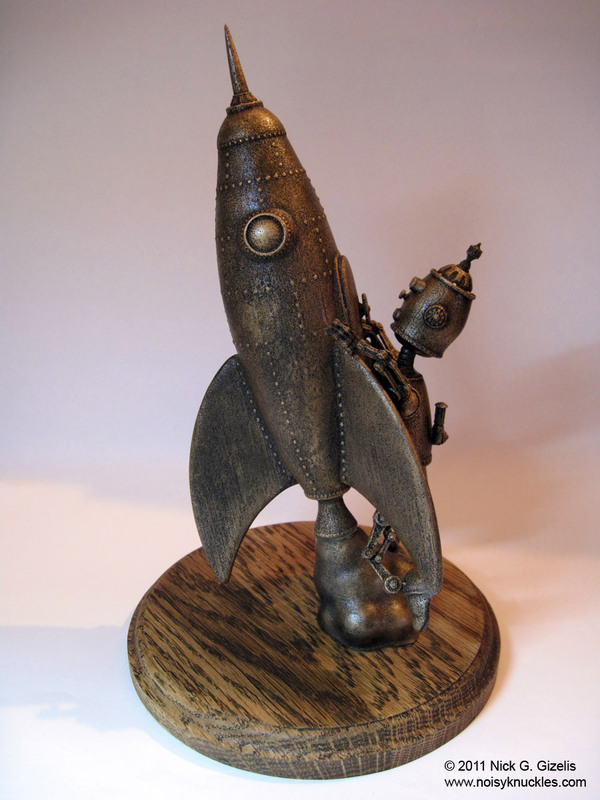 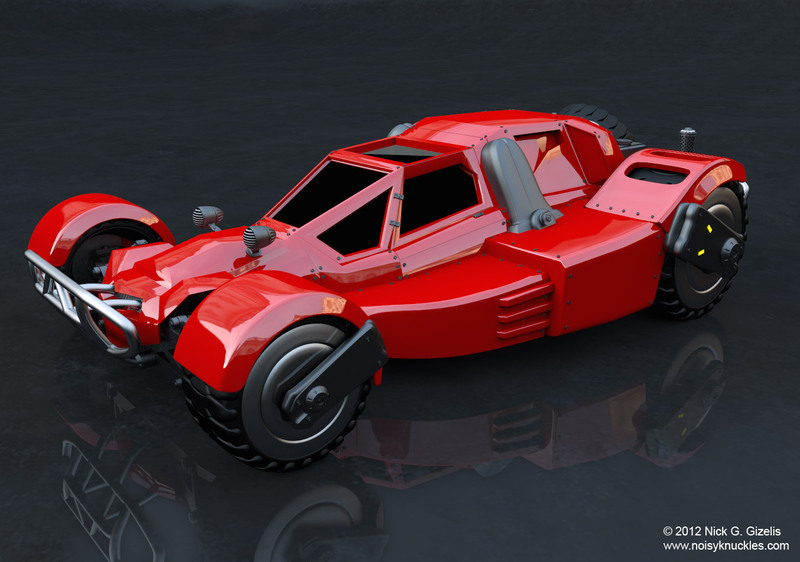 My submission to 3DTalk.gr challenge "From here to there"
to model a 3d vehicle that can be 3dprinted. 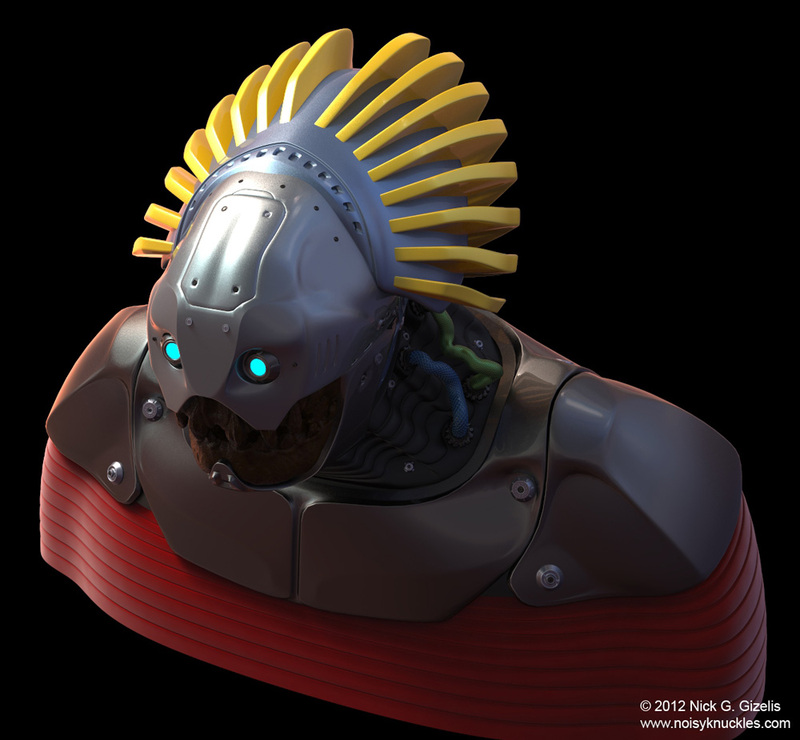 Project : Ancient Discoveries - Machines of the Gods, by History Channel.